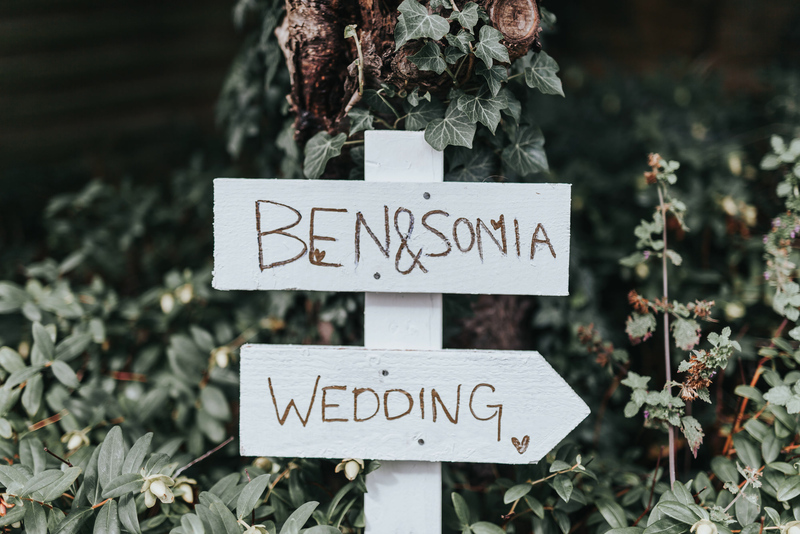 Ben & Sonia actually found me through a wedding competition I ran a couple of years ago, back when I was in the first couple of years of business. 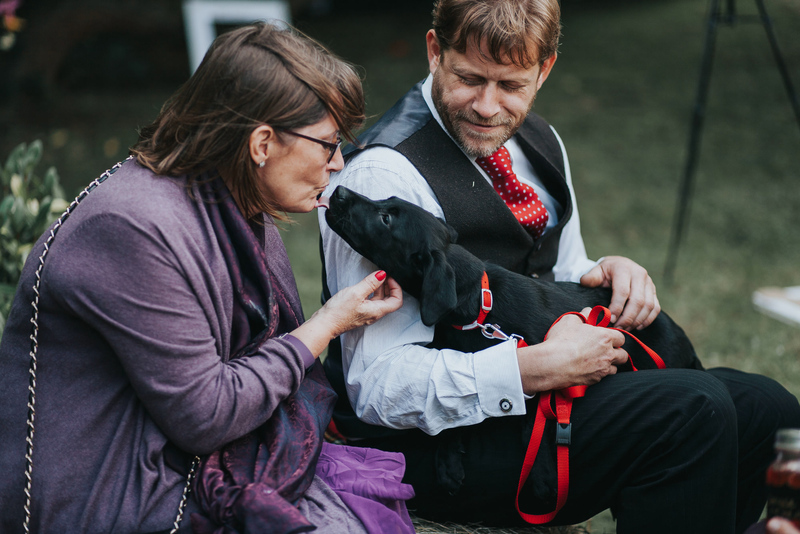 They were one of two winners, and we became fast friends. 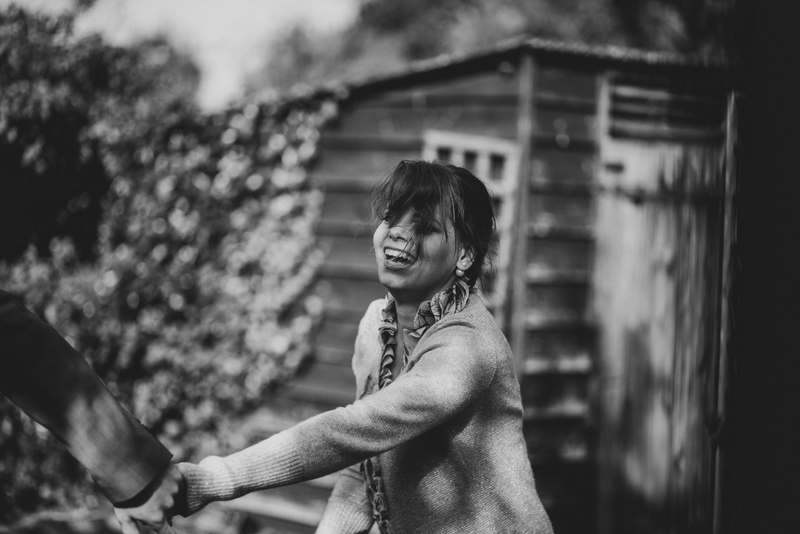 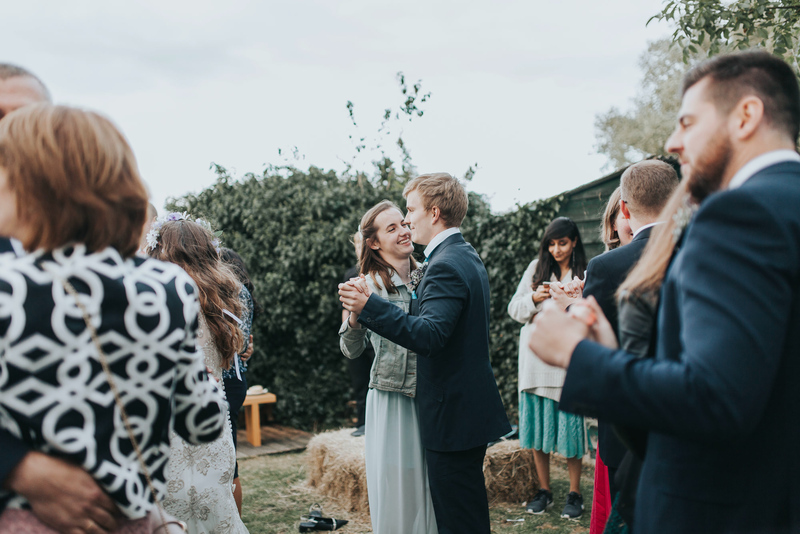 I was lucky enough to photograph their engagement in Brighton, and now I’ve captured their diy backyard wedding too. 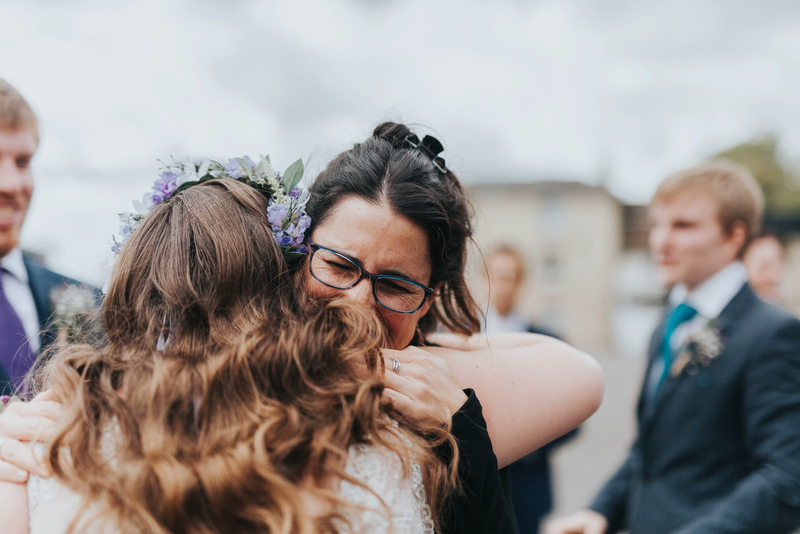 Being included in these moments, able to experience these emotions and seeing all the planning that goes into them means so much to me. 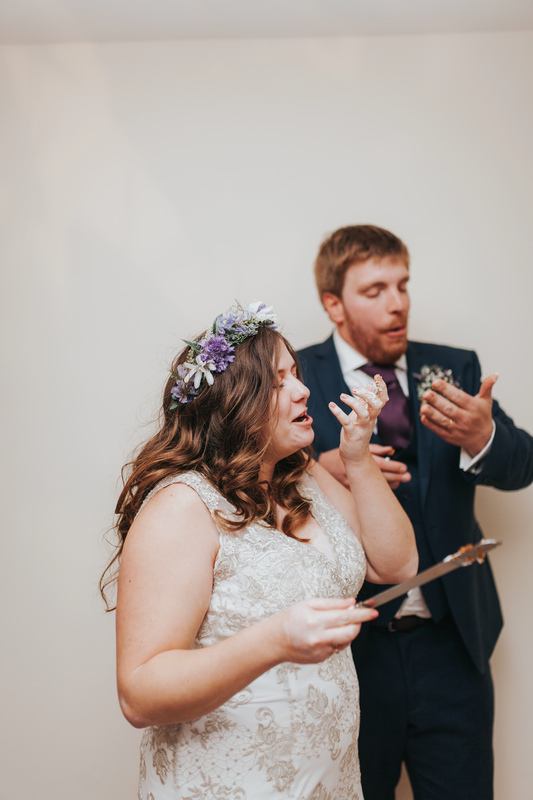 You want to see emotion? 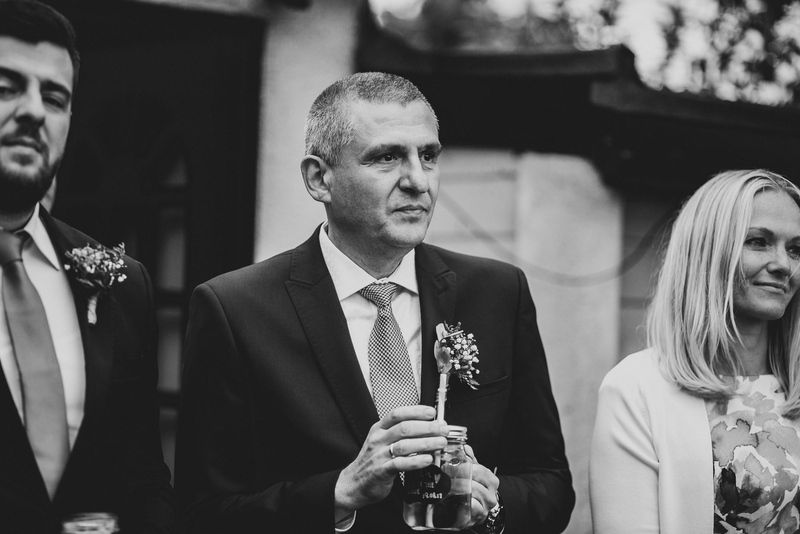 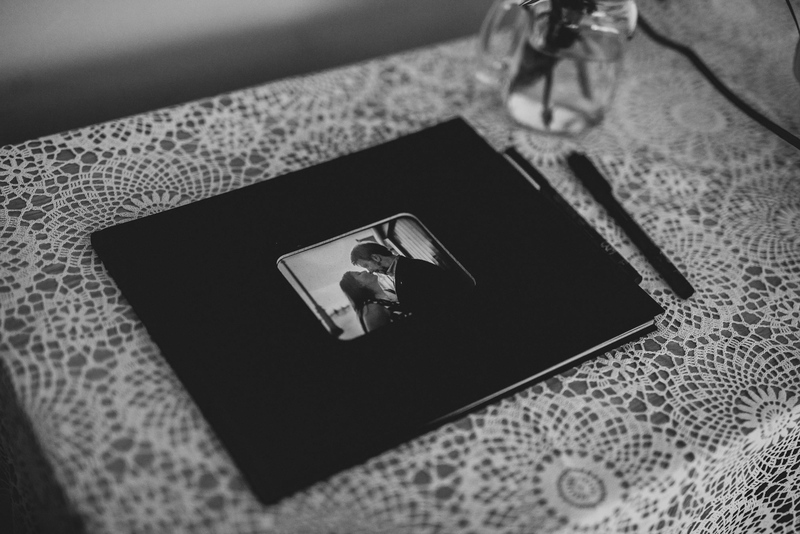 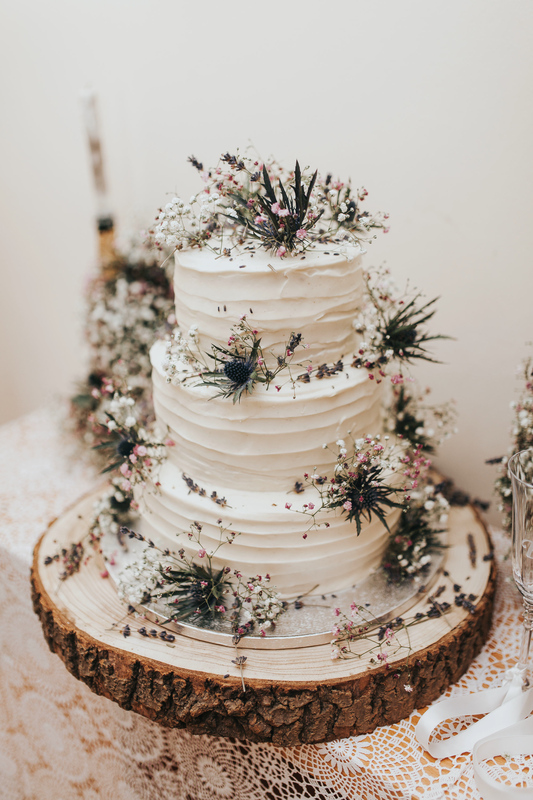 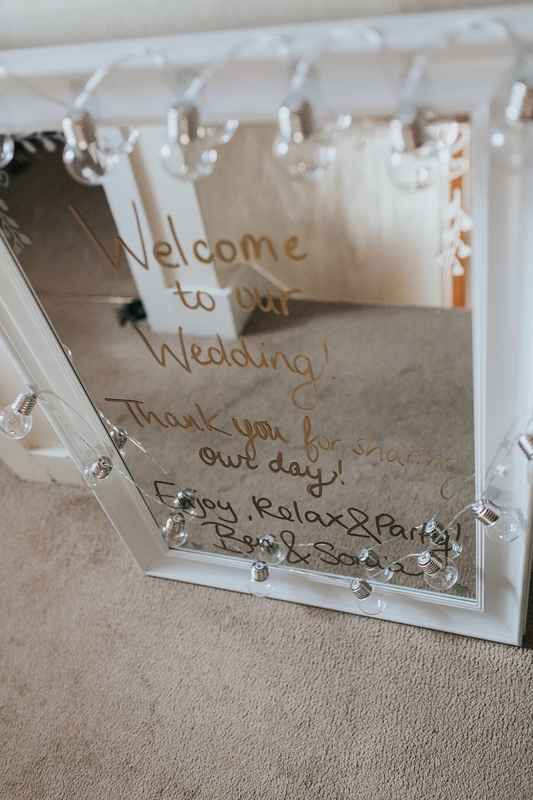 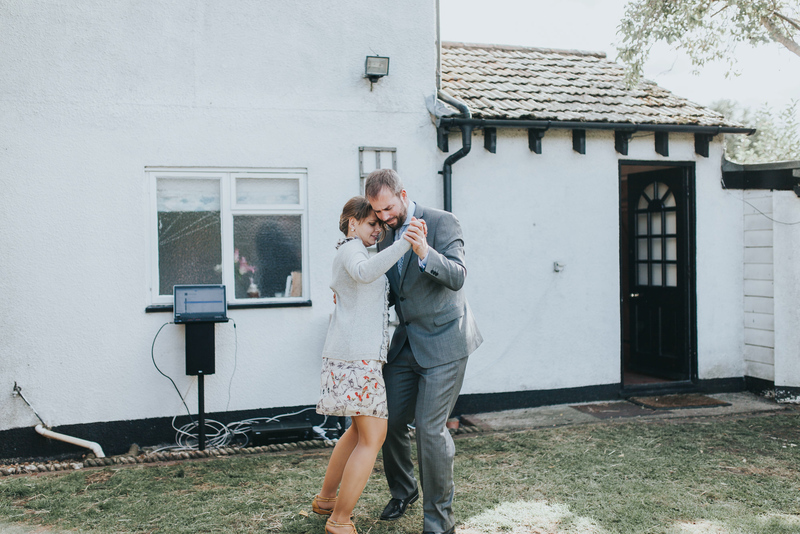 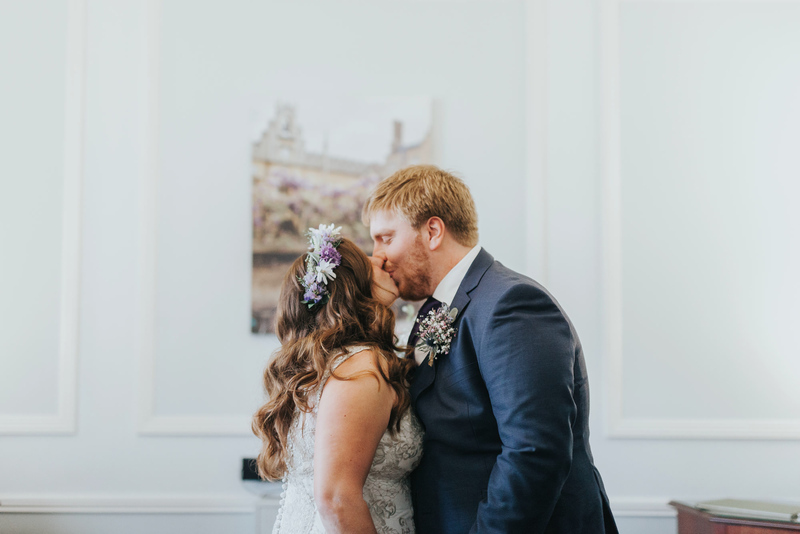 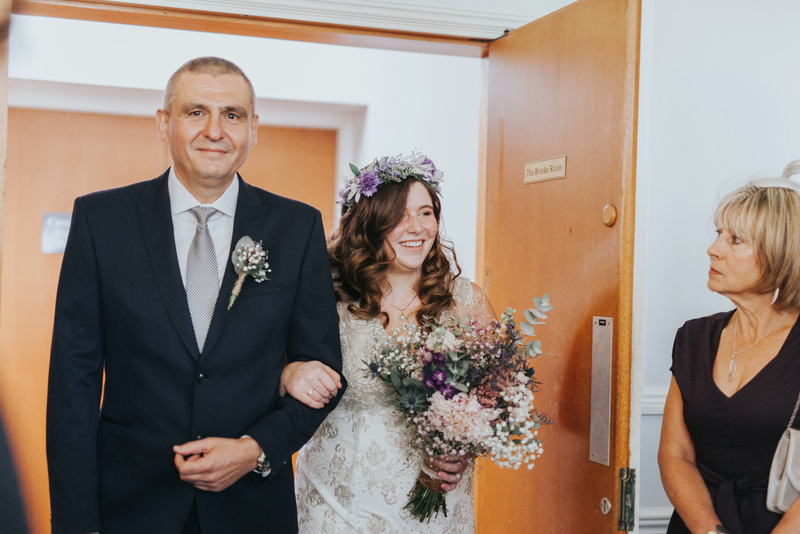 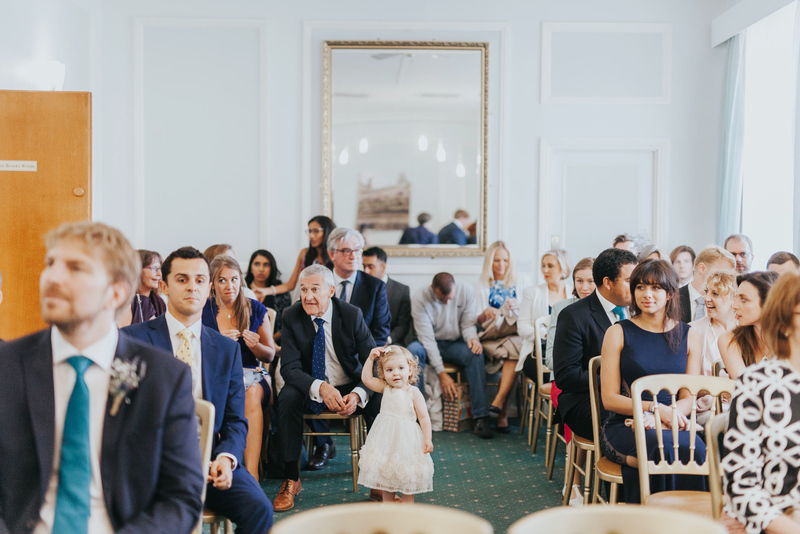 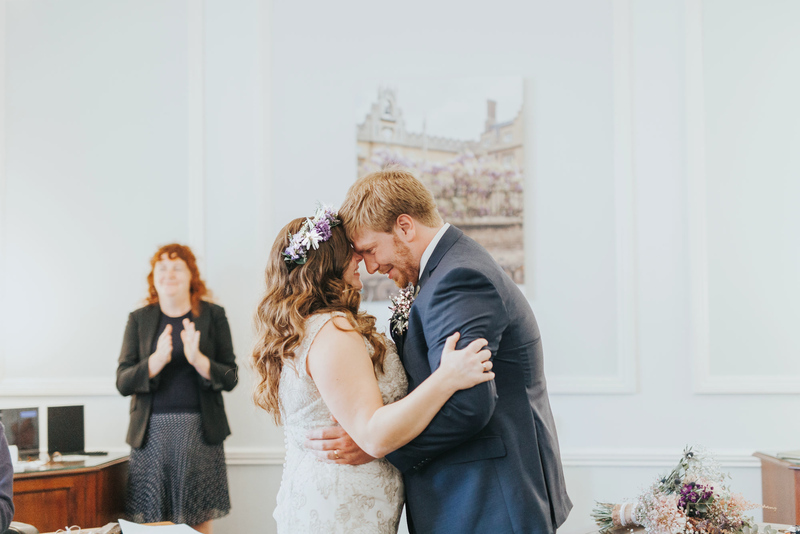 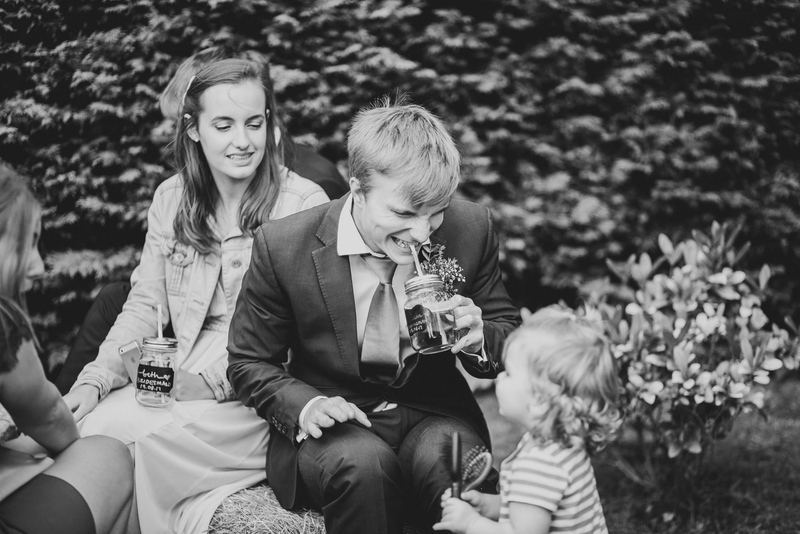 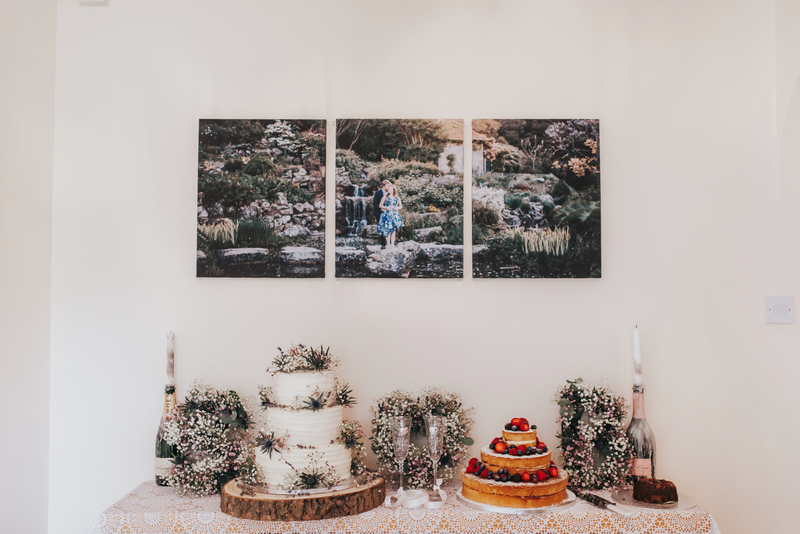 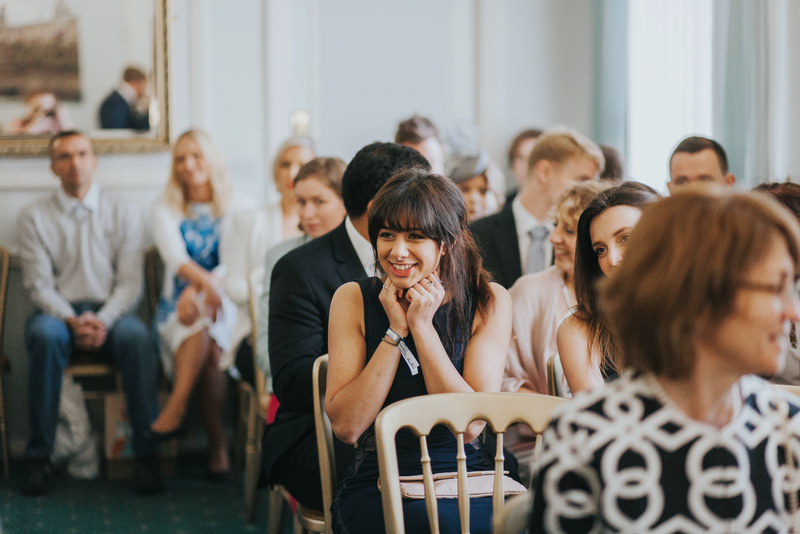 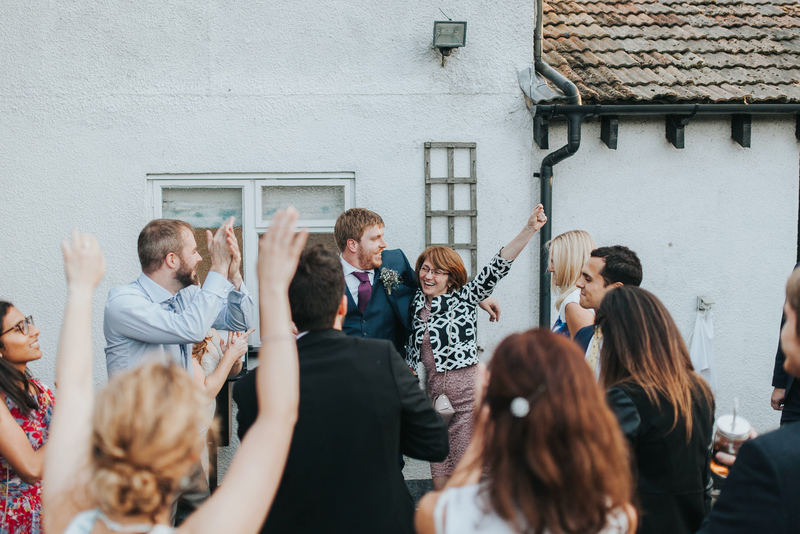 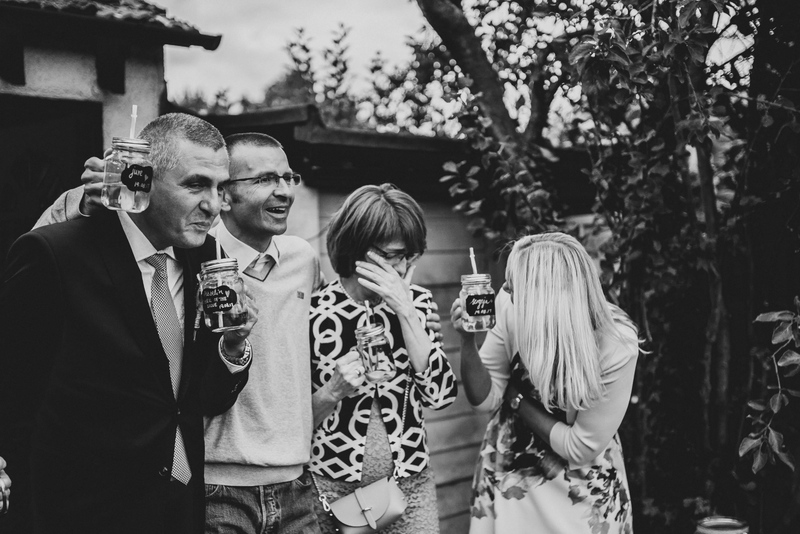 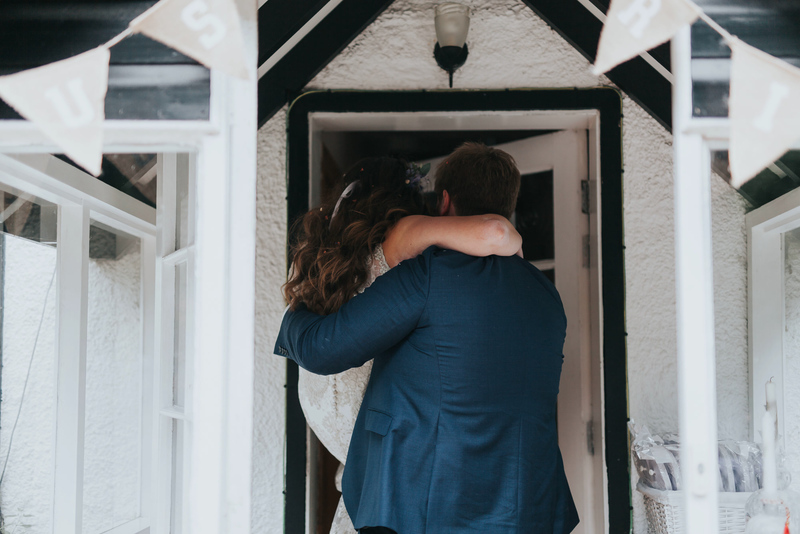 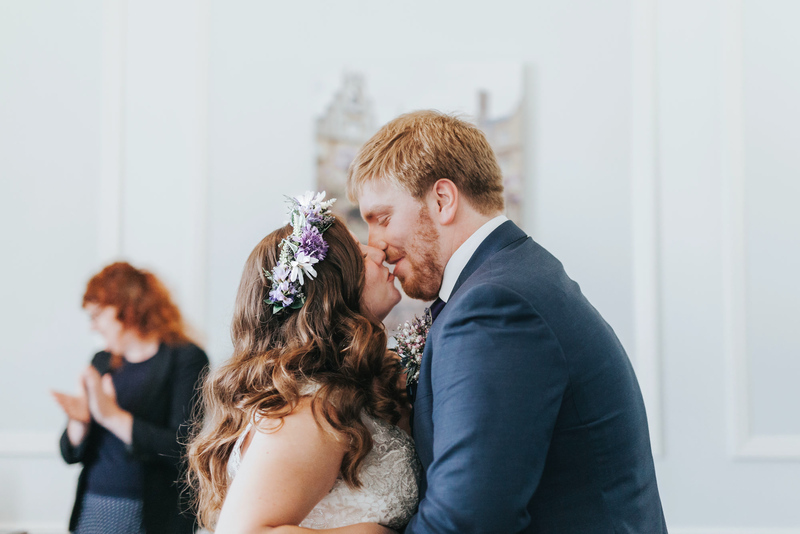 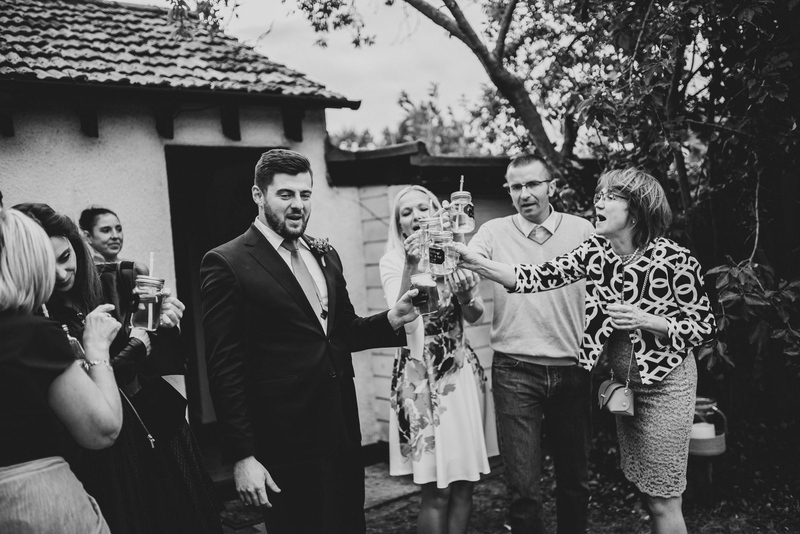 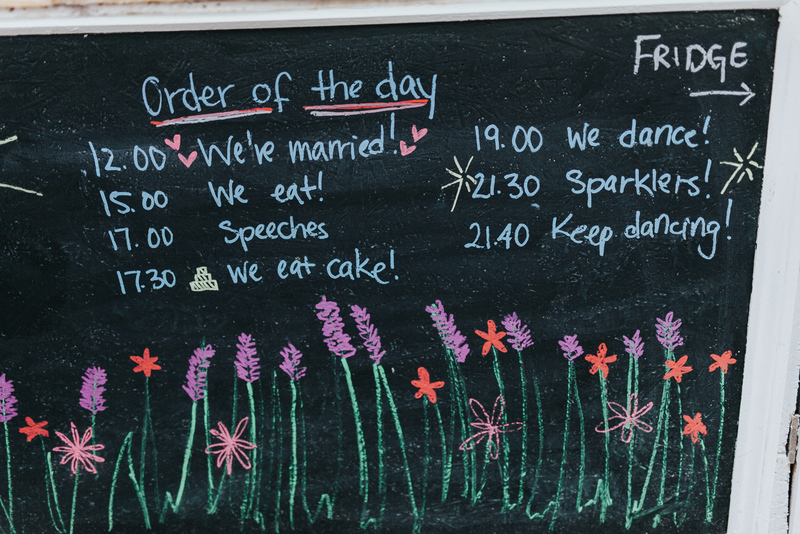 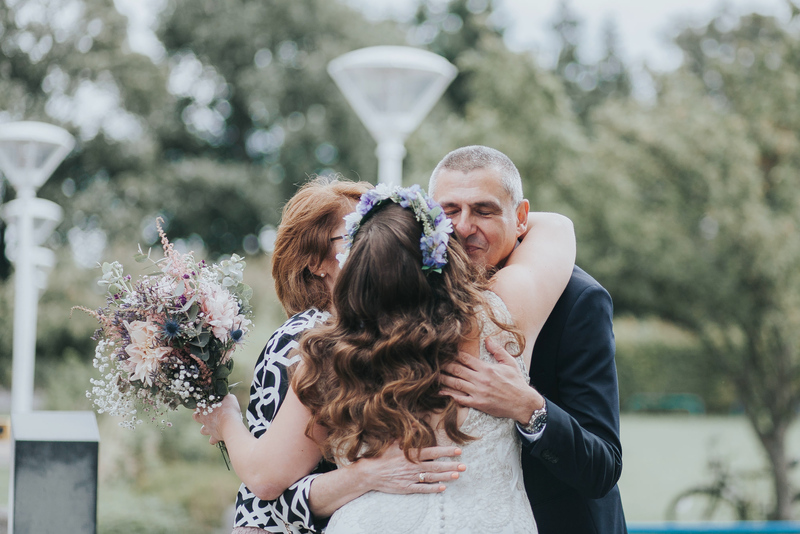 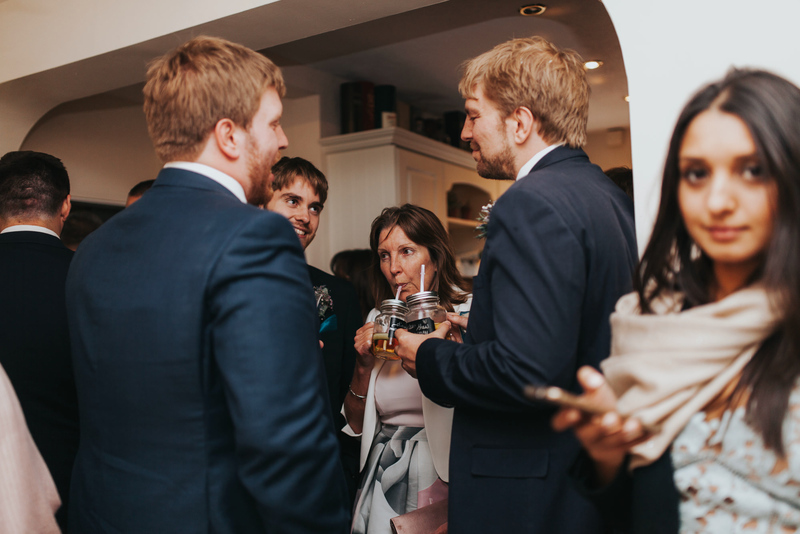 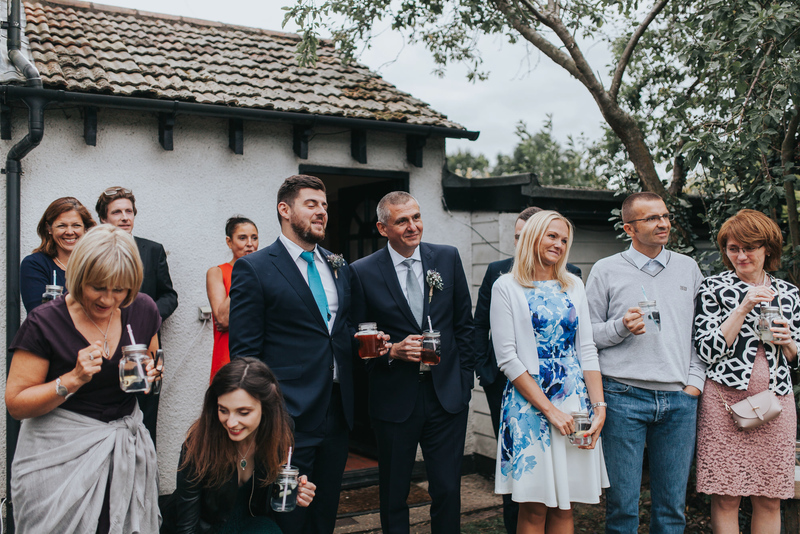 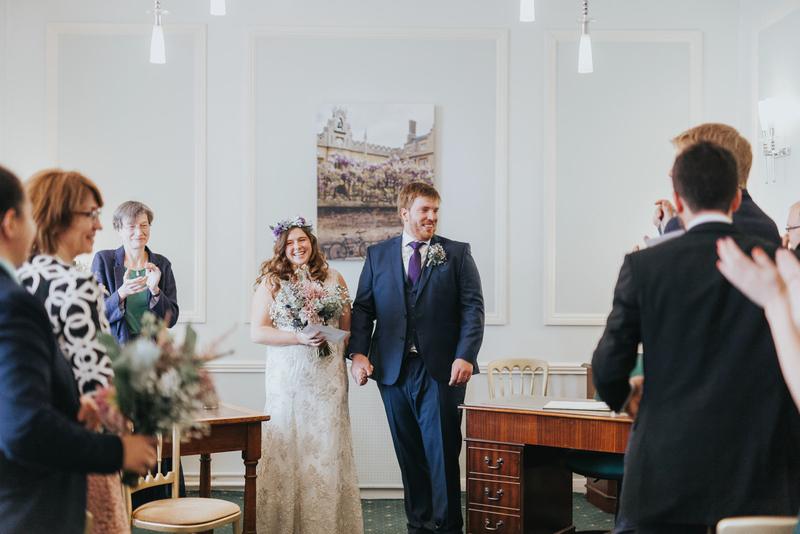 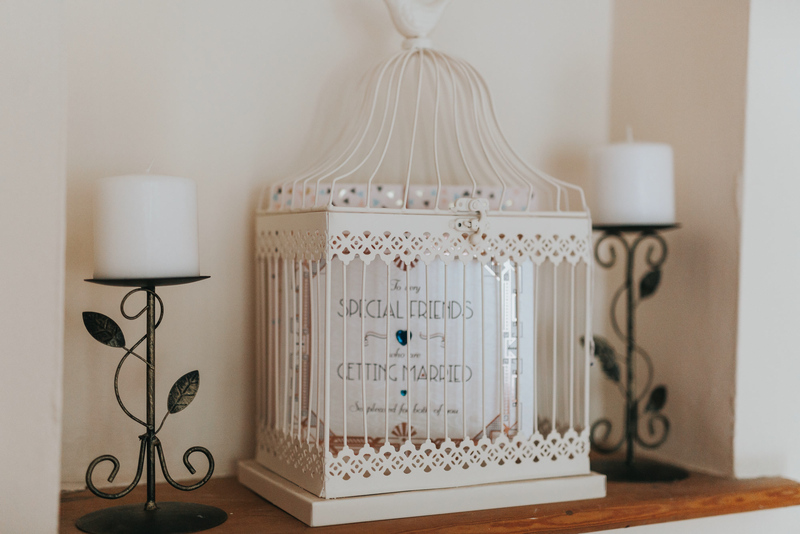 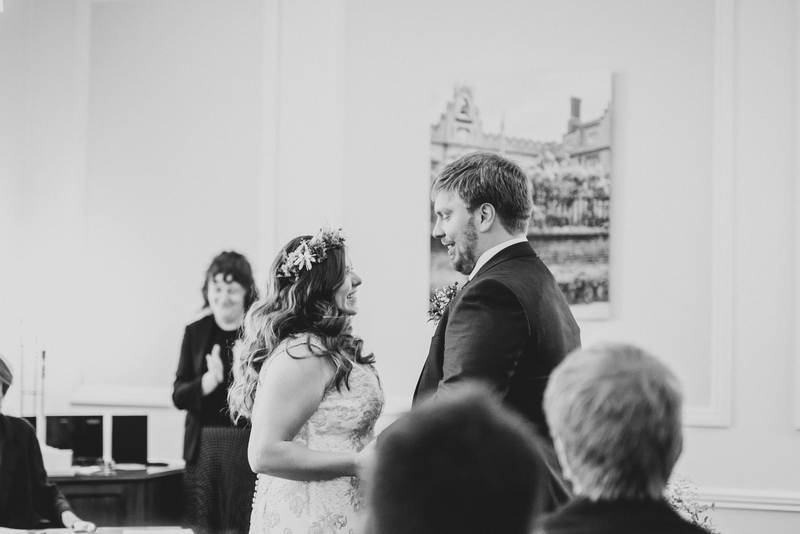 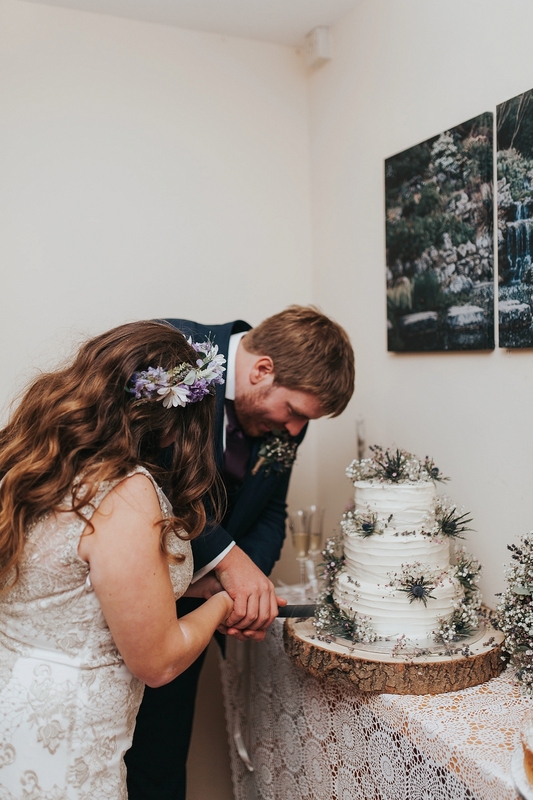 There is so much wonderful emotion, and I couldn’t ask for a more relaxed wedding – in their own house! 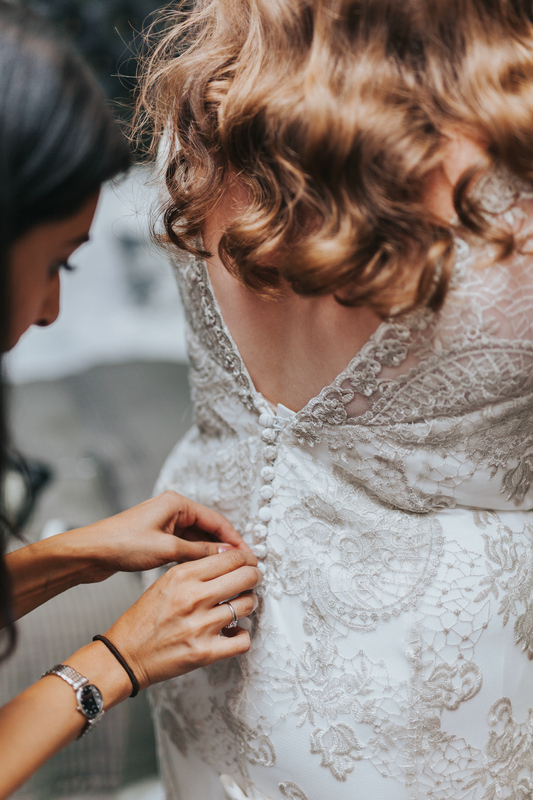 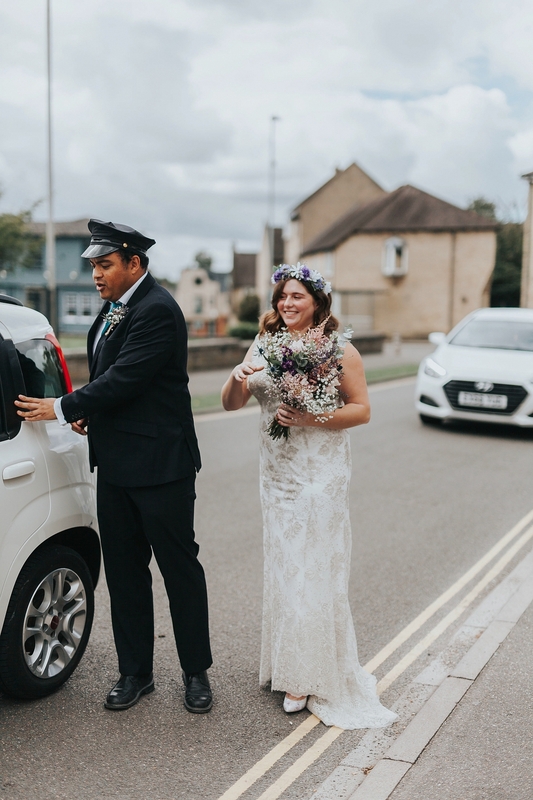 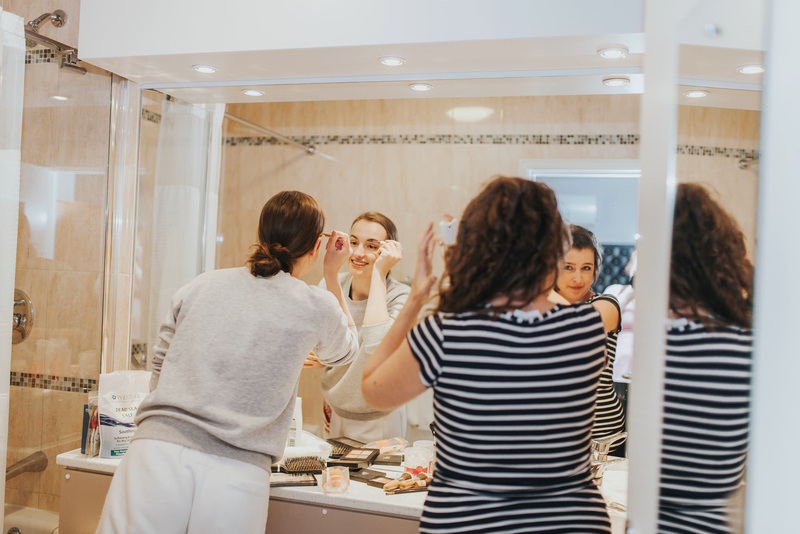 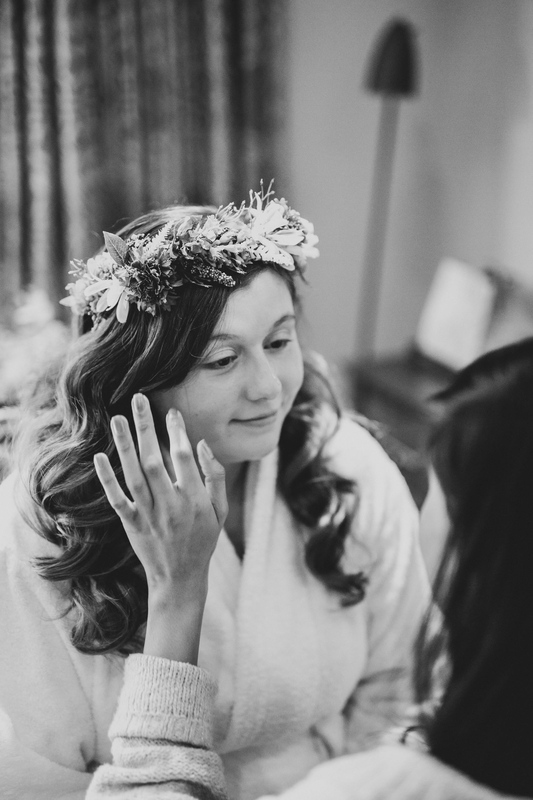 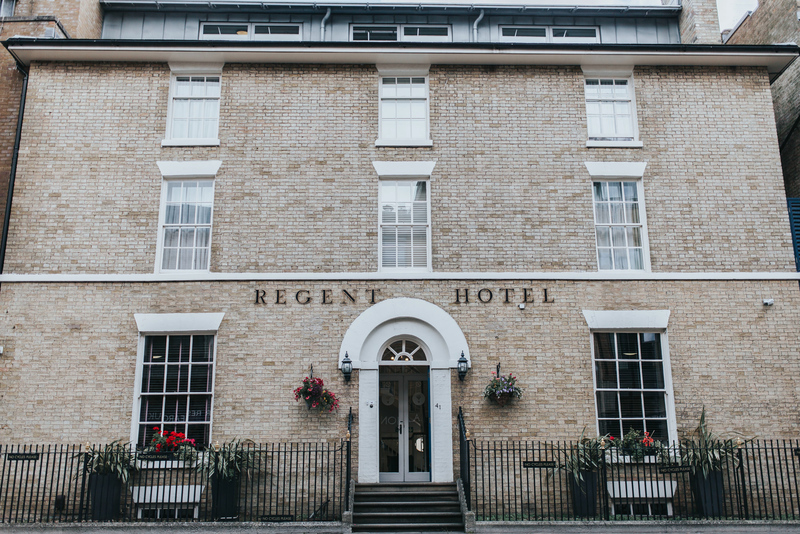 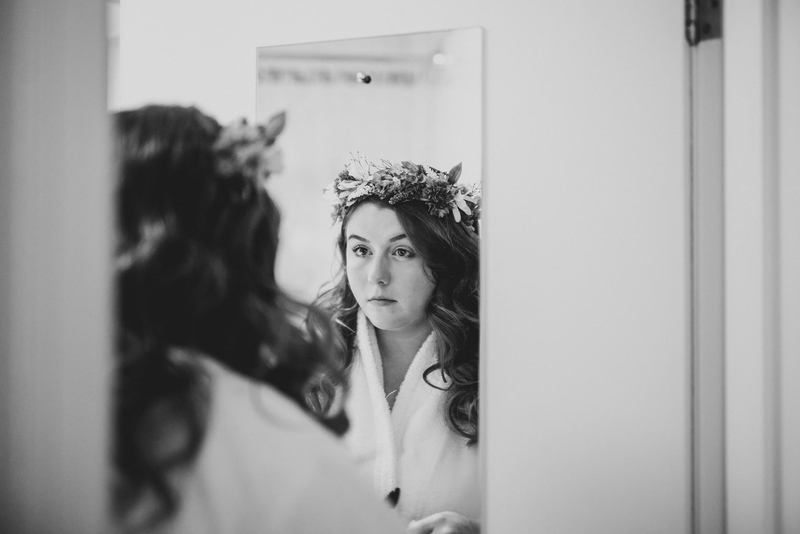 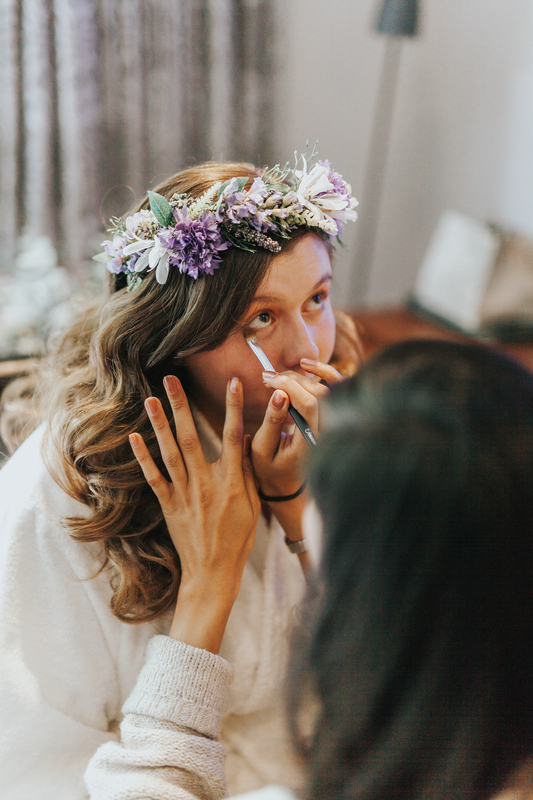 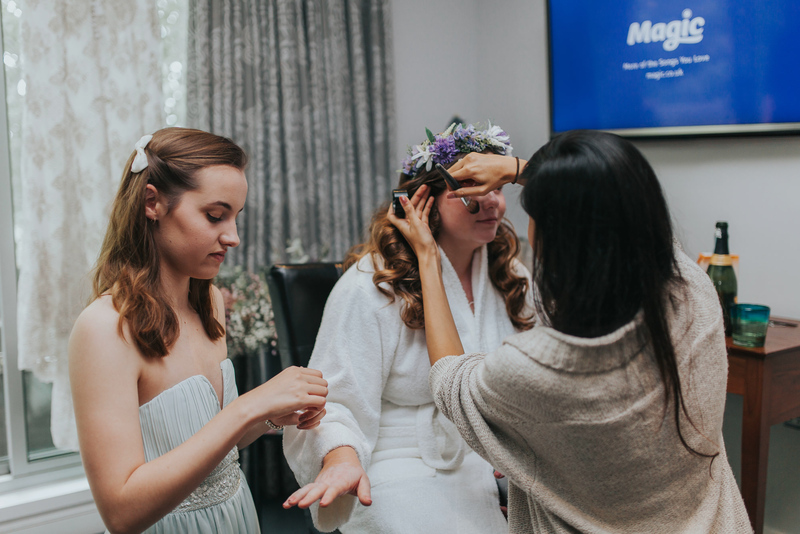 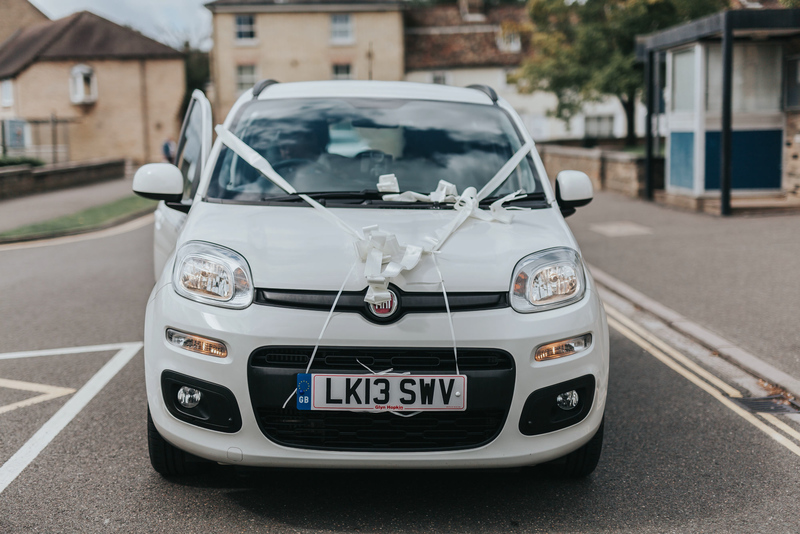 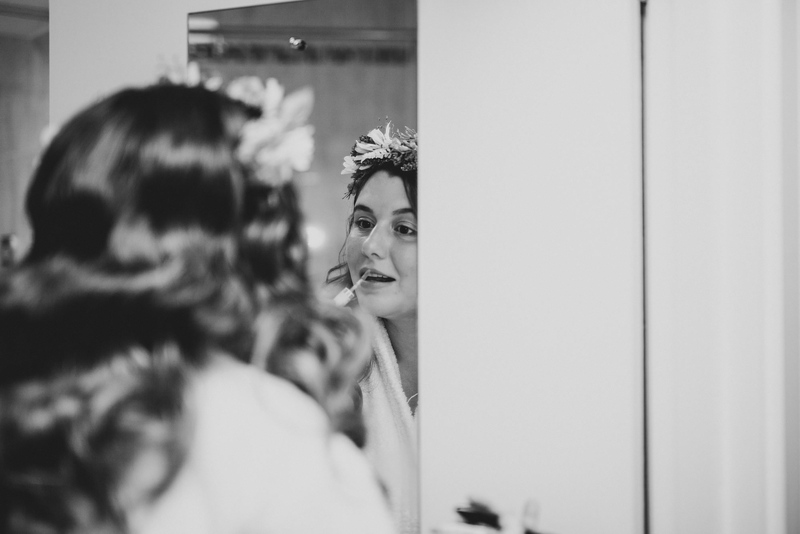 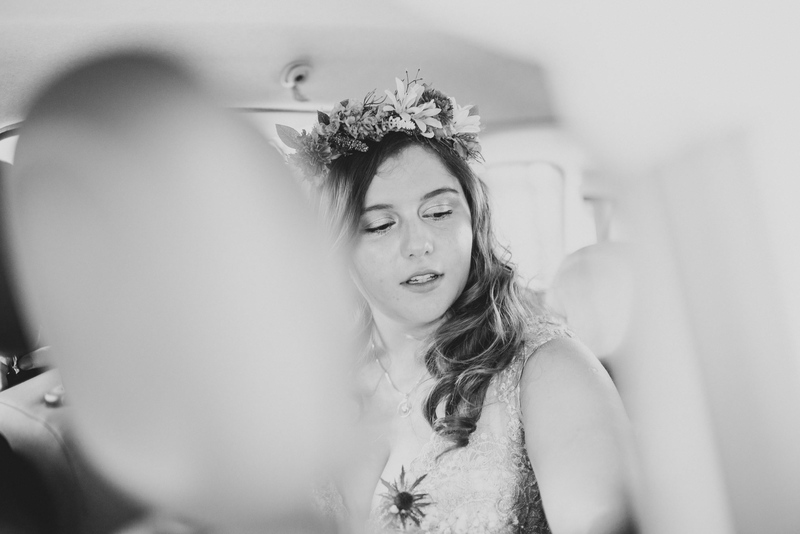 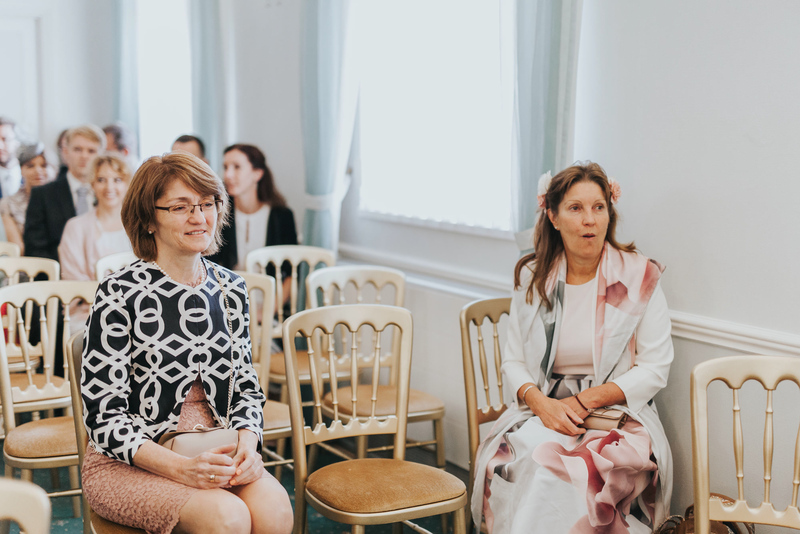 We started the day with bridal preparations in The Regent Hotel with Sonia and her bridesmaids & friends, before making our way over to Cambridge Registry Office (Shire Hall) in Sonia & Ben’s little yellow Fiat Panda – their wedding car! 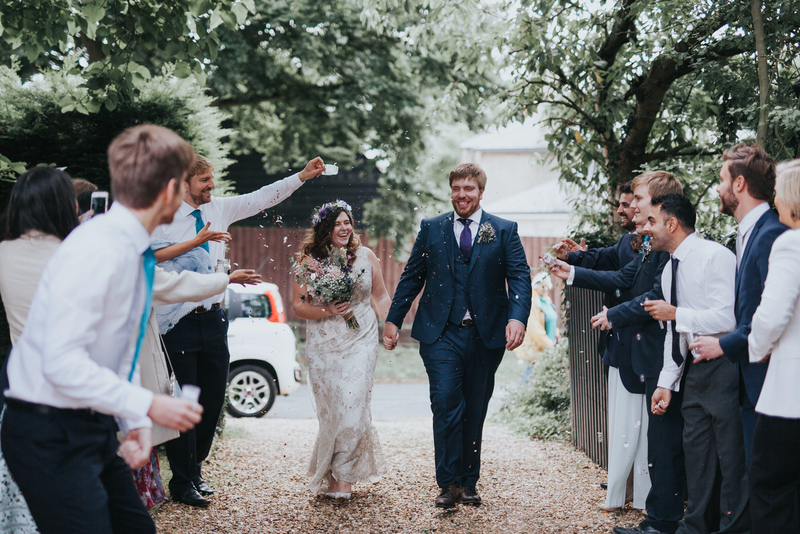 After a short ceremony with their family and friends, we had our new Mr & Mrs Shaw! 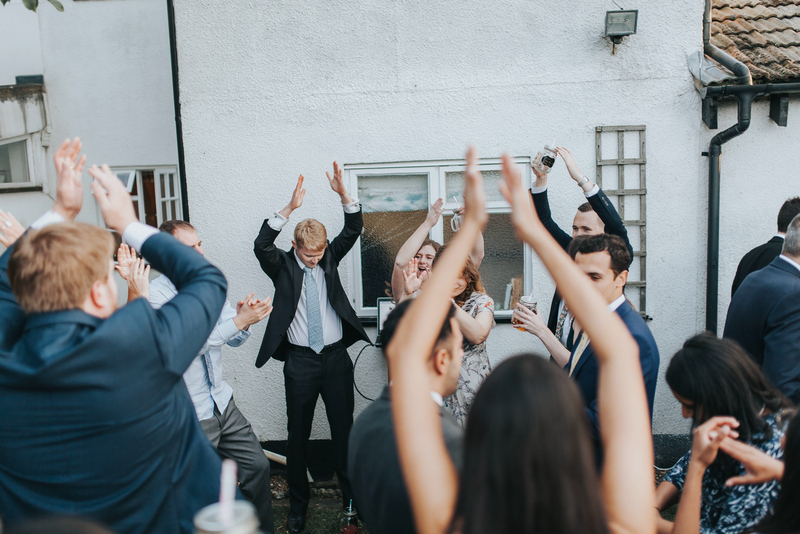 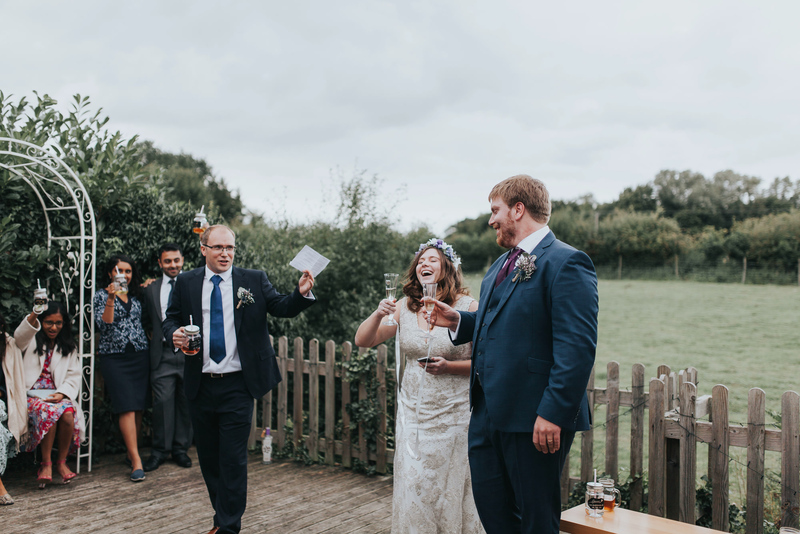 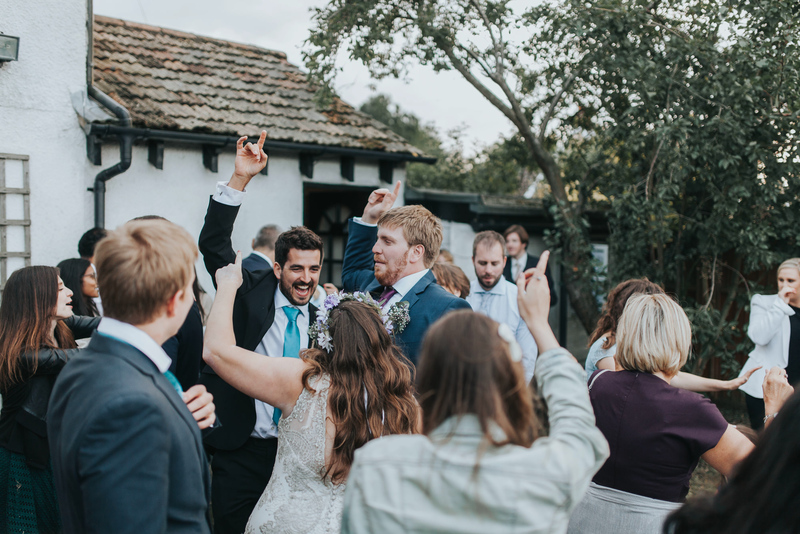 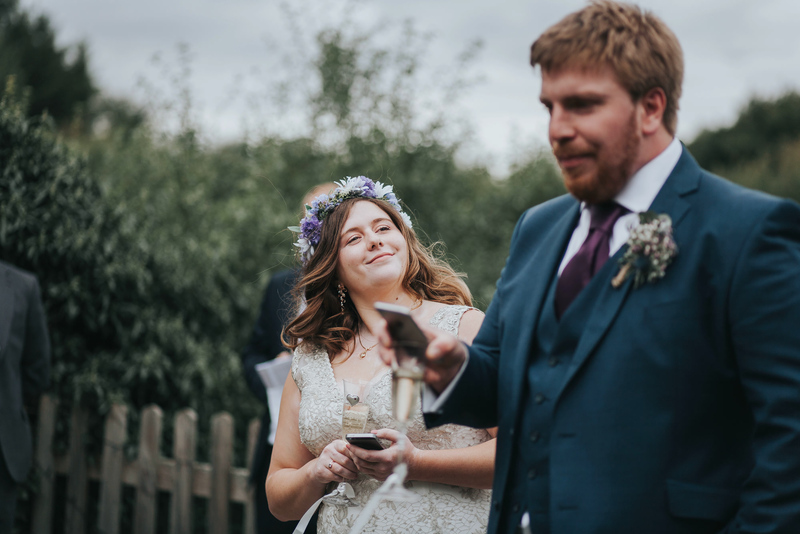 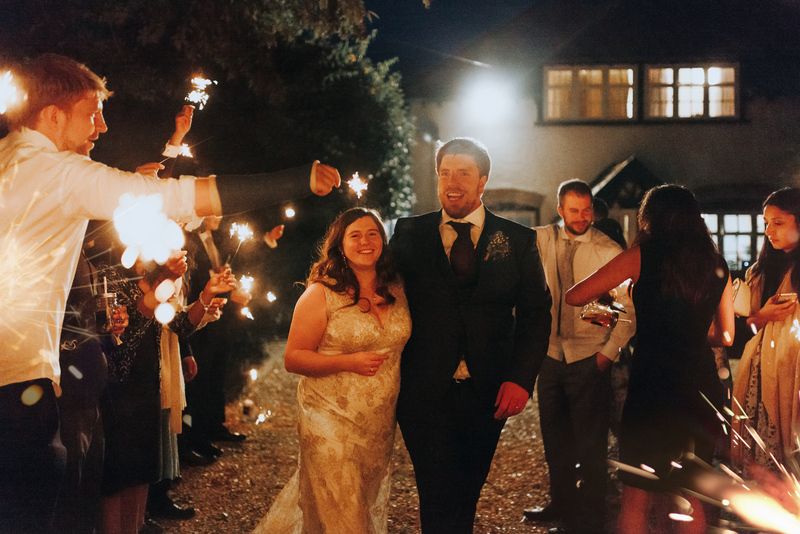 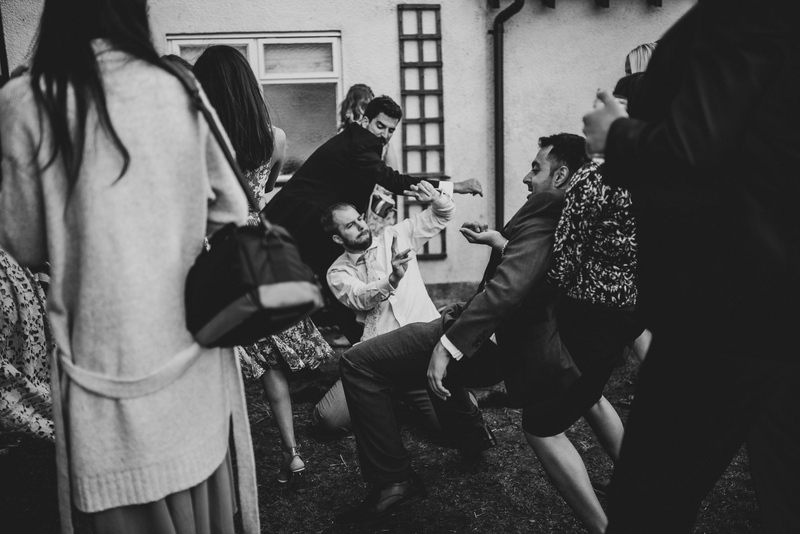 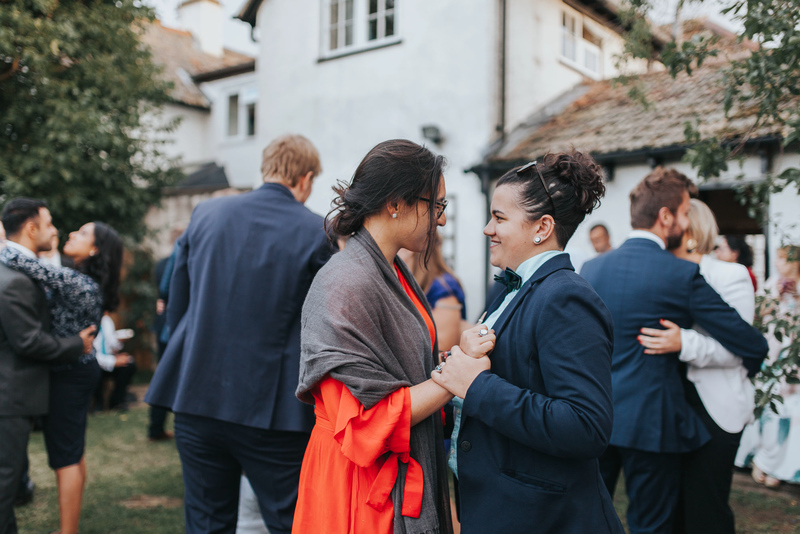 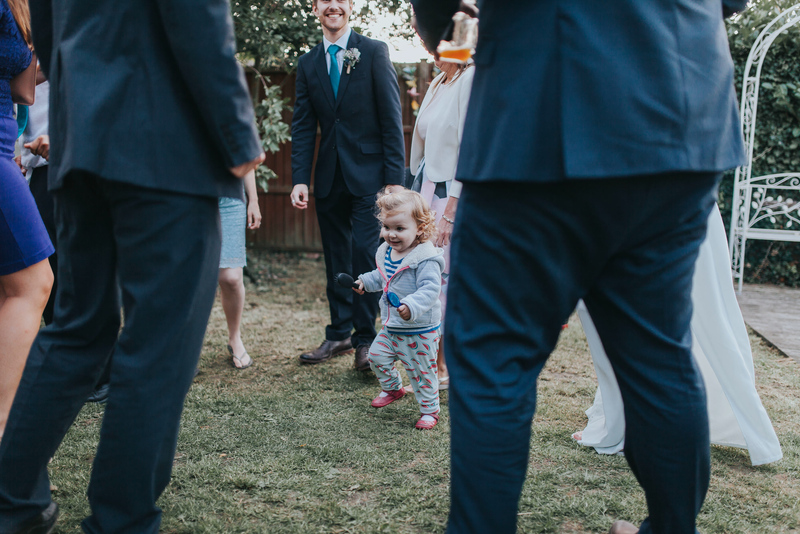 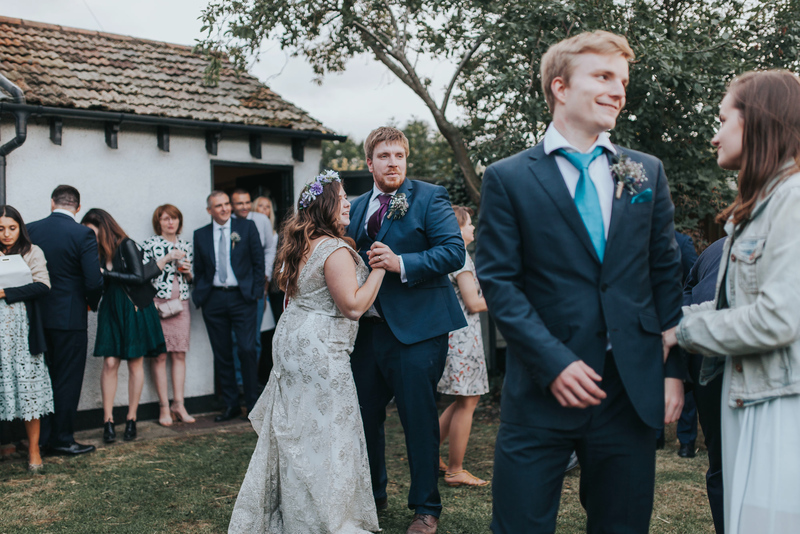 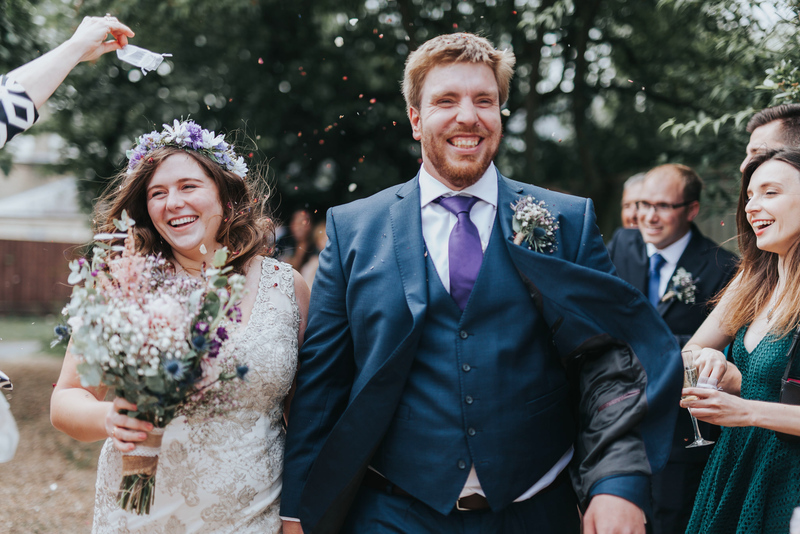 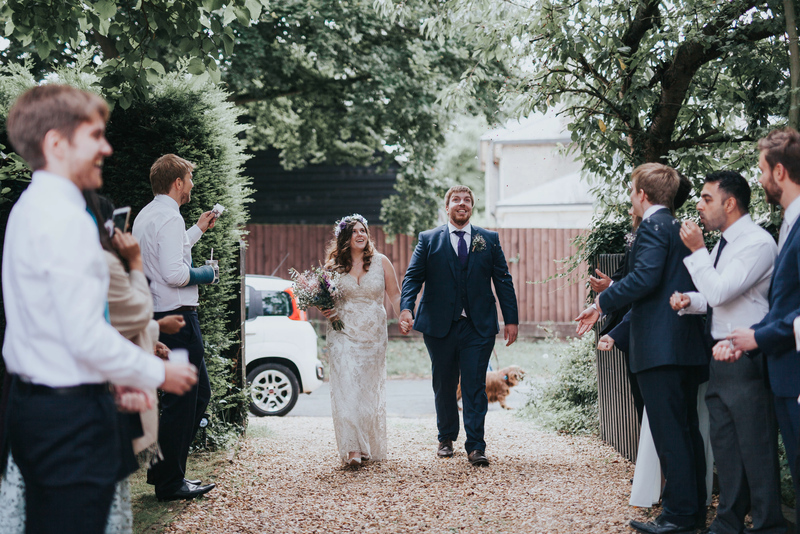 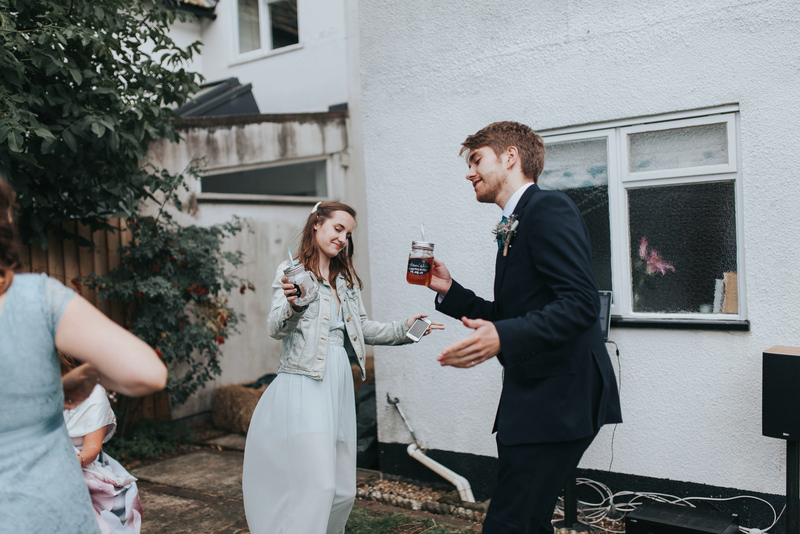 We walked back to their house for their backyard wedding, to be greeted by a traditional confetti entrance, followed by Ben carrying Sonia into the threshhold! 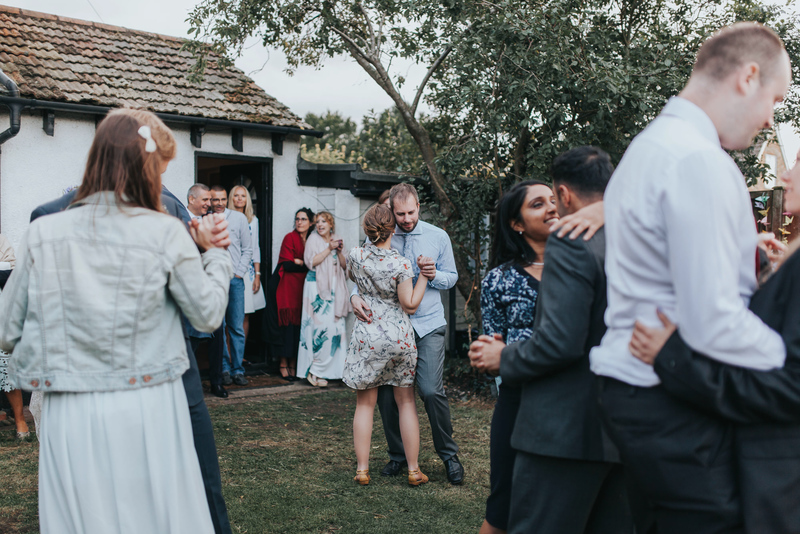 We then spend a relaxed evening amongst their friends and family, admiring how they had transformed their house entirely. 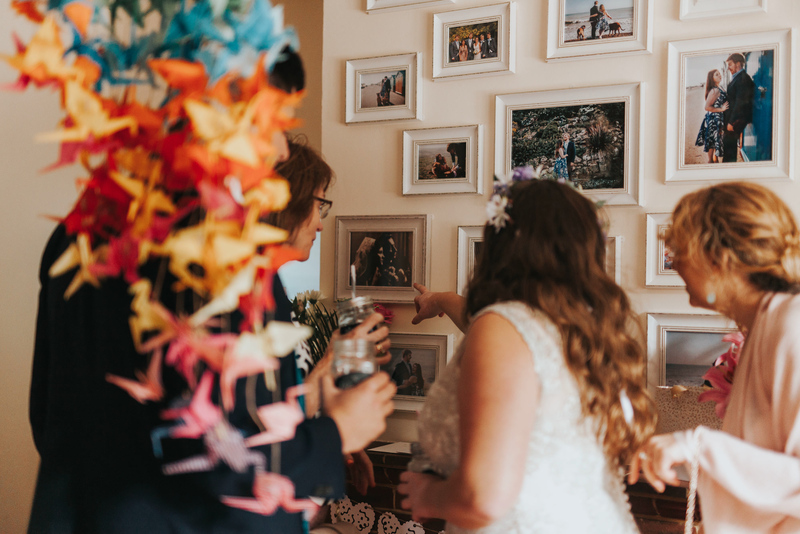 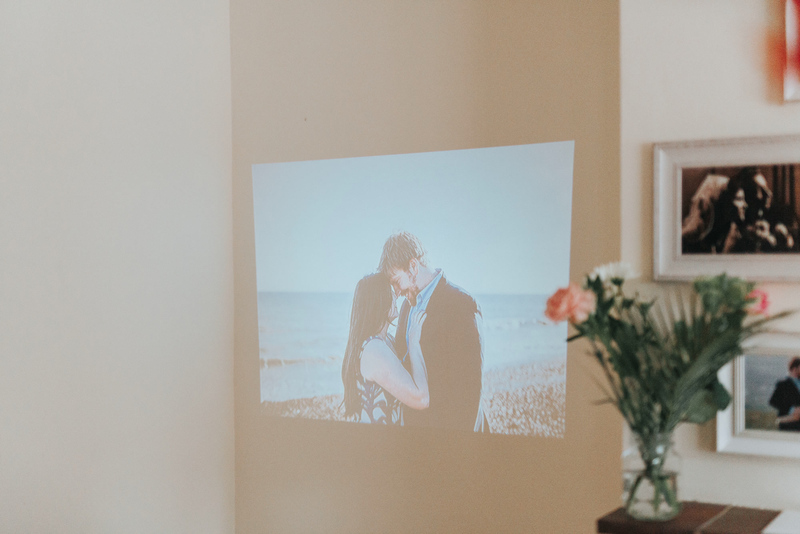 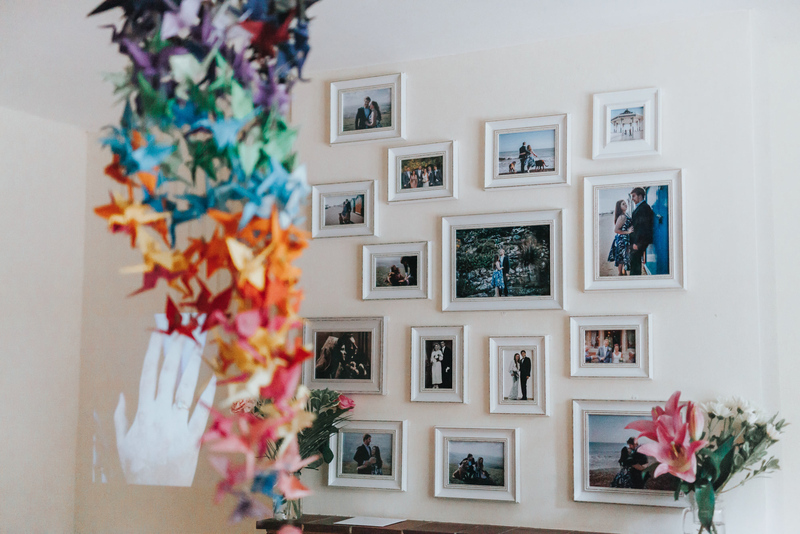 They even… (and I’m still gobsmacked and honoured about this) featured a gallery wall of the engagement photos I took for them, complete with a projector slide, for people to look at! 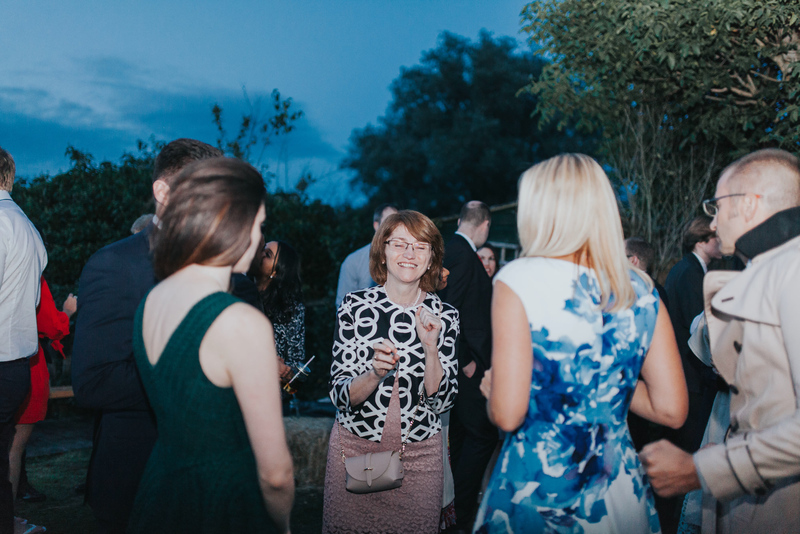 Here I am at a wedding, feeling like my work is on art exhibition! 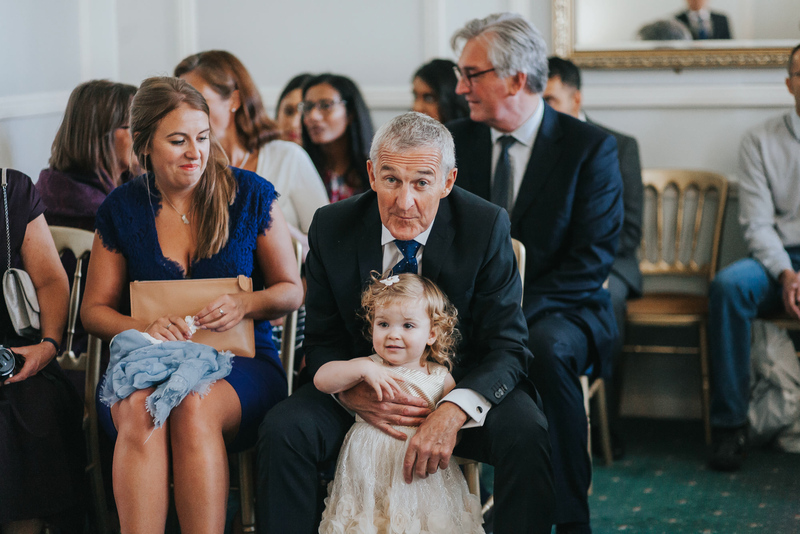 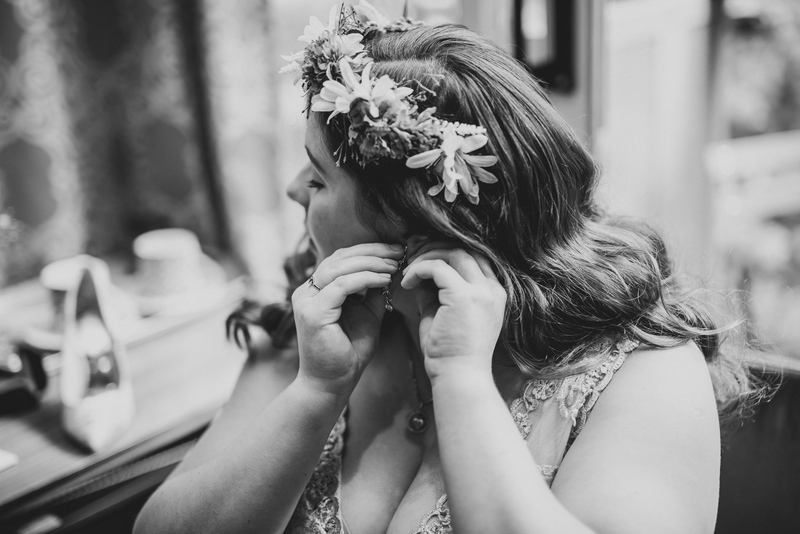 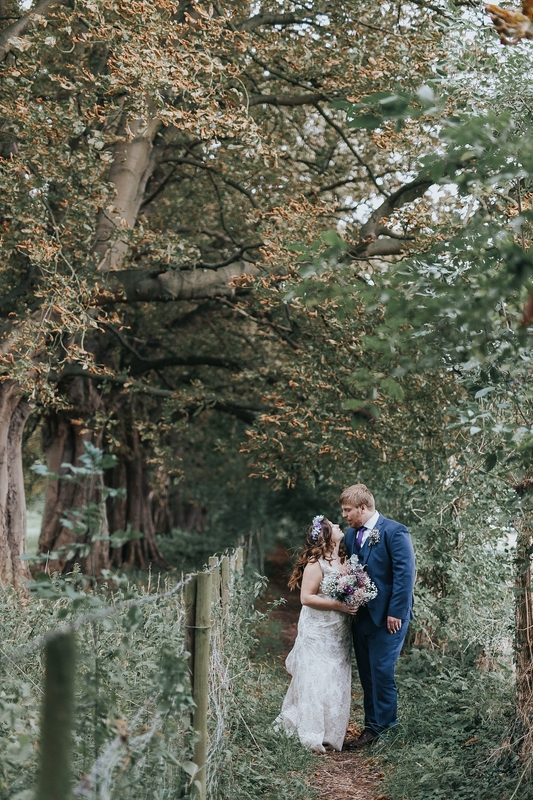 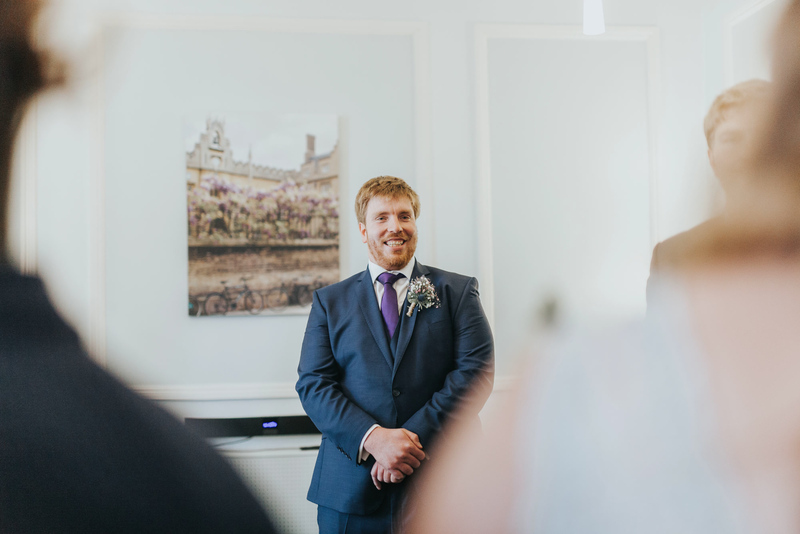 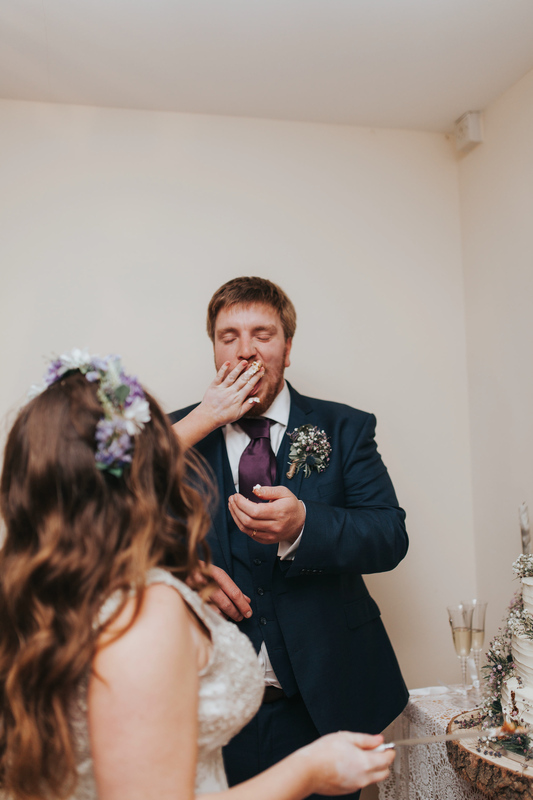 It really means the world to me to be included in such beautiful moments, and I look forward to many more weddings as beautiful as this one, which I can thoroughly enjoy and be honoured to be involved with. 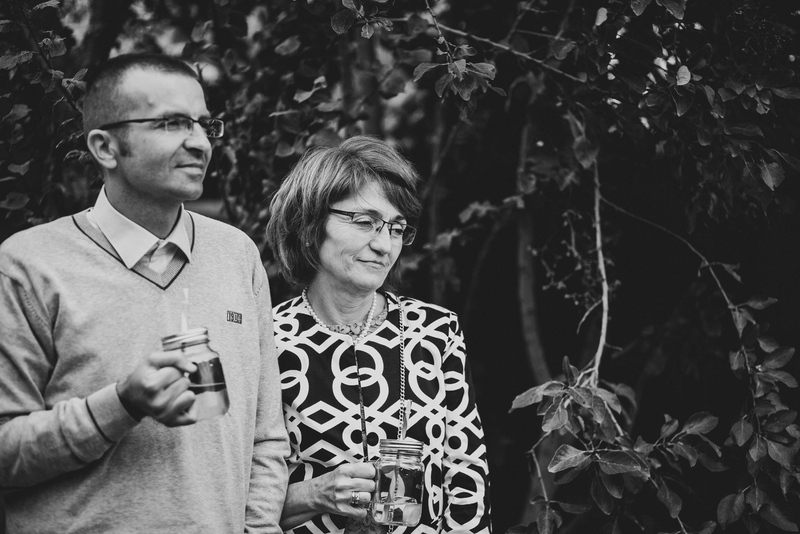 Congratulations again, guys, I know you will be happy together and wish you every happiness in your marriage. 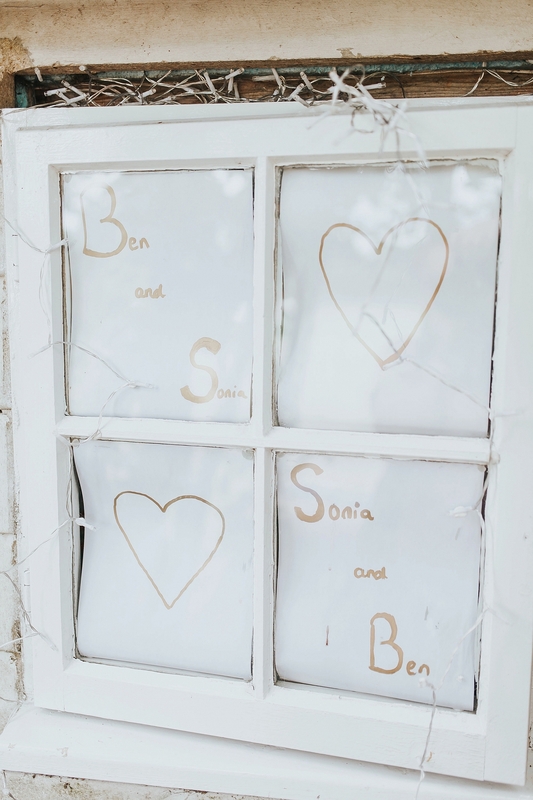 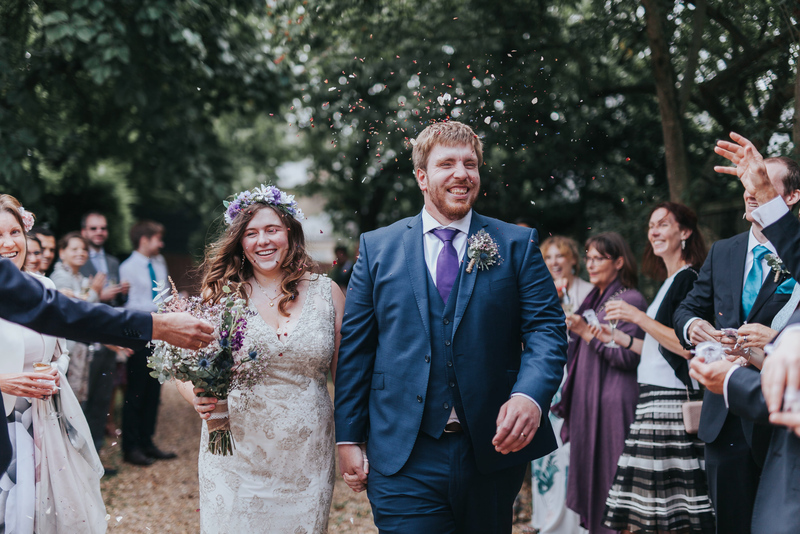 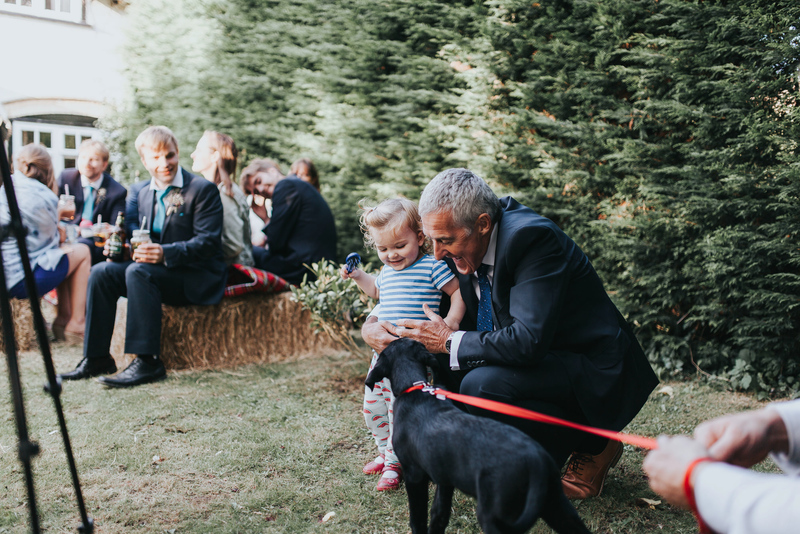 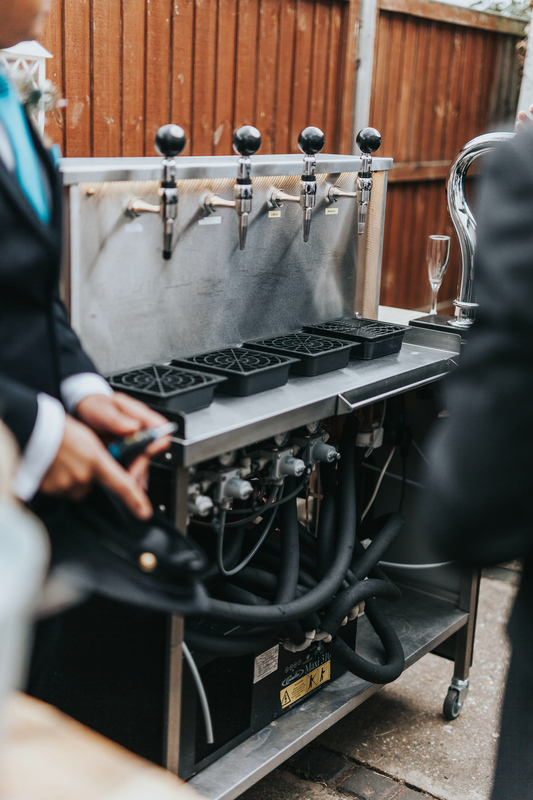 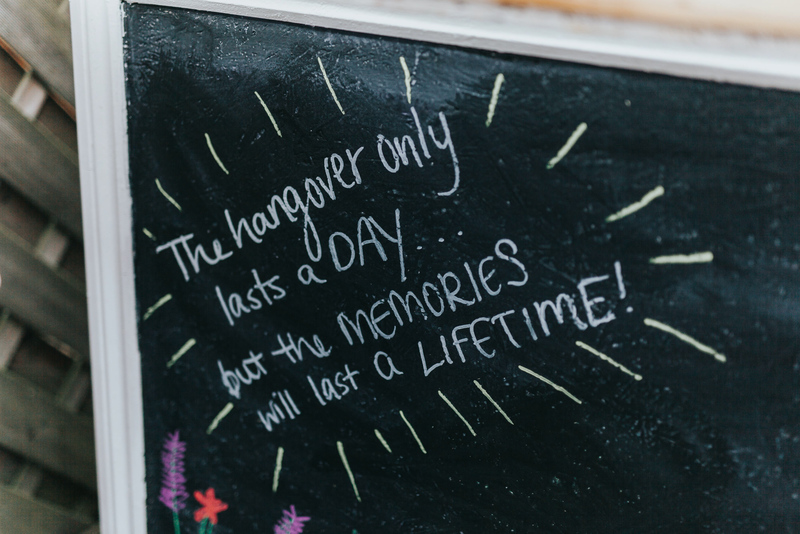 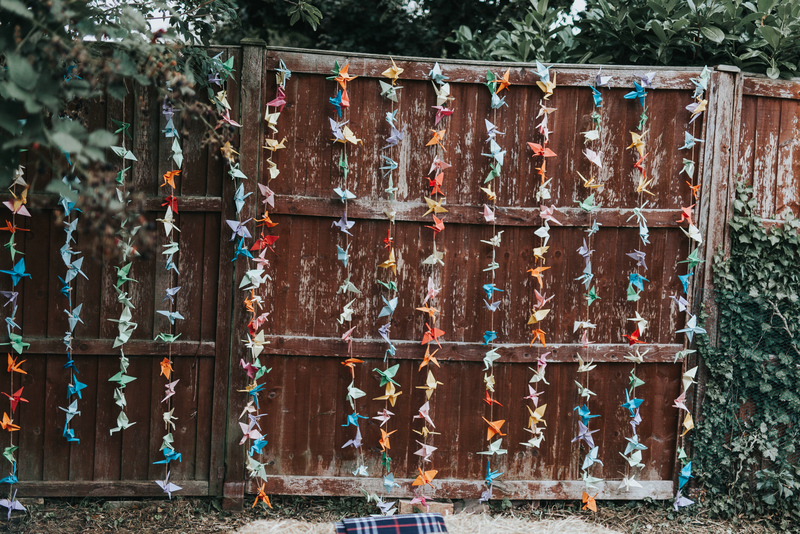 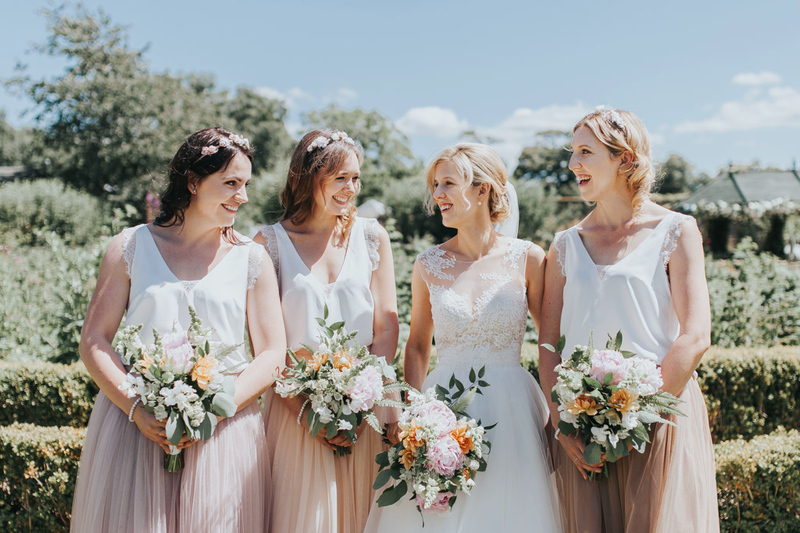 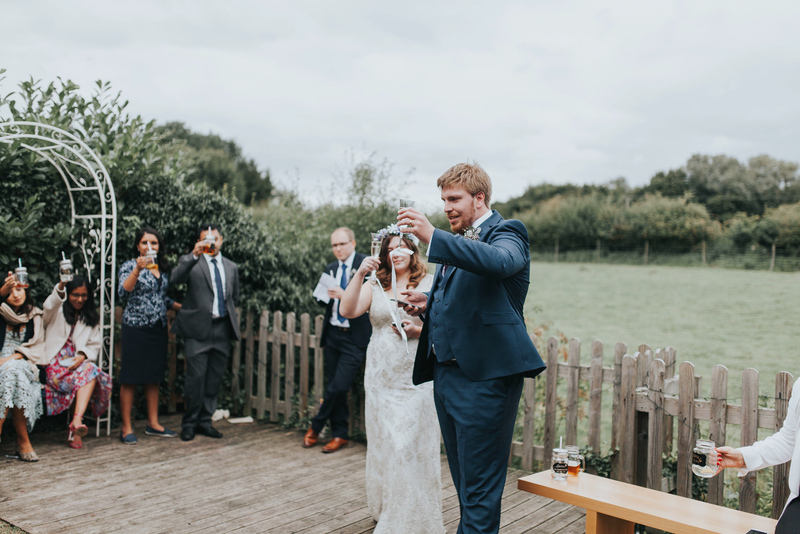 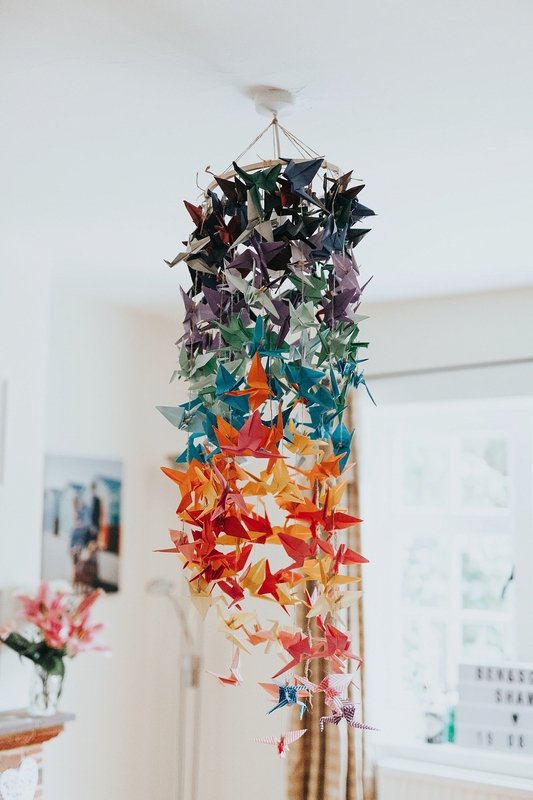 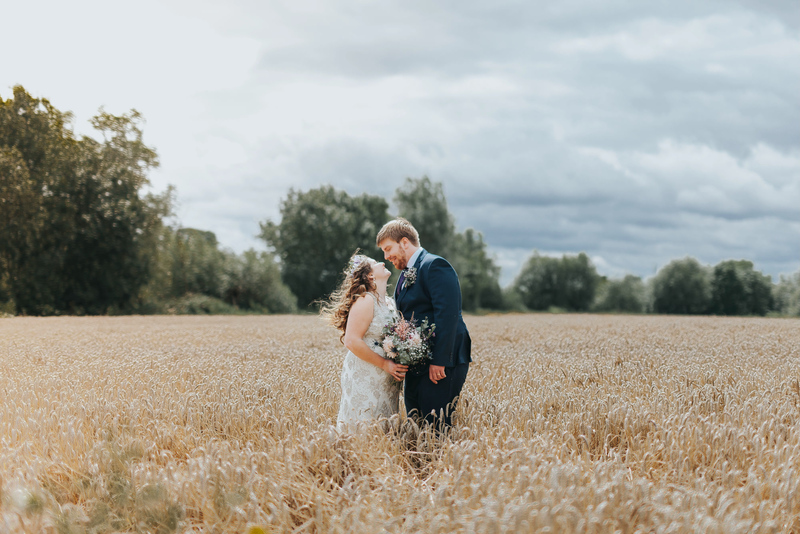 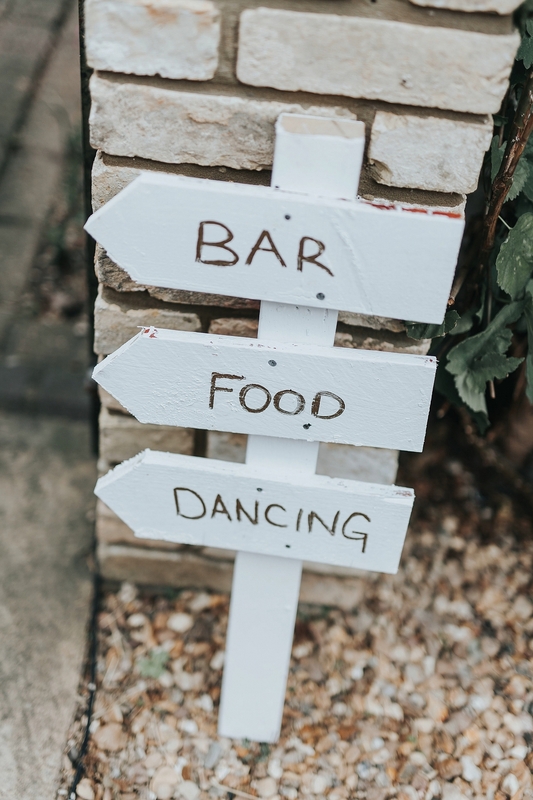 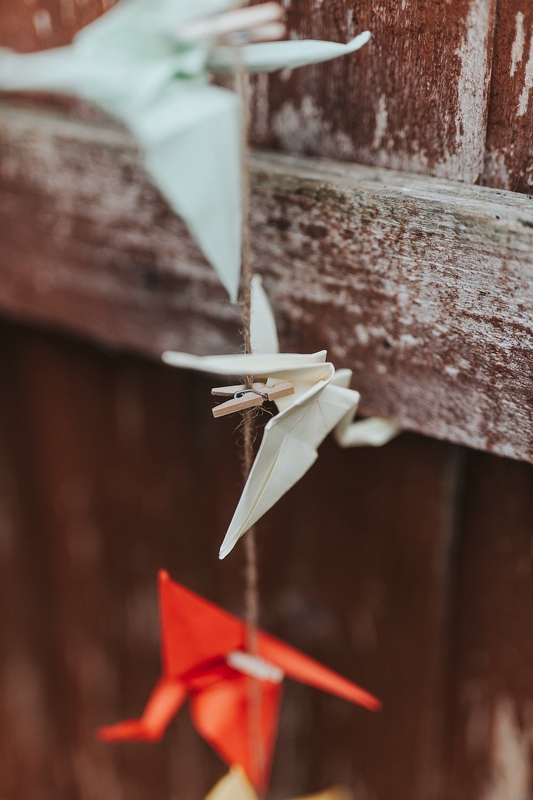 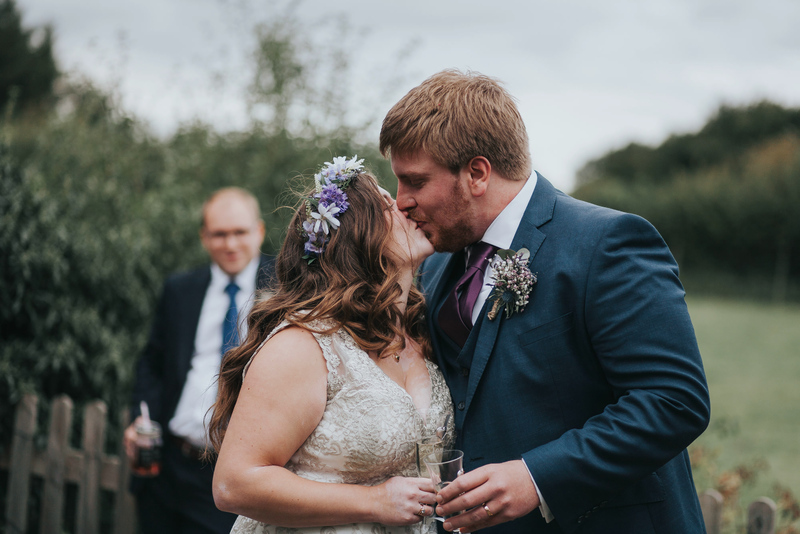 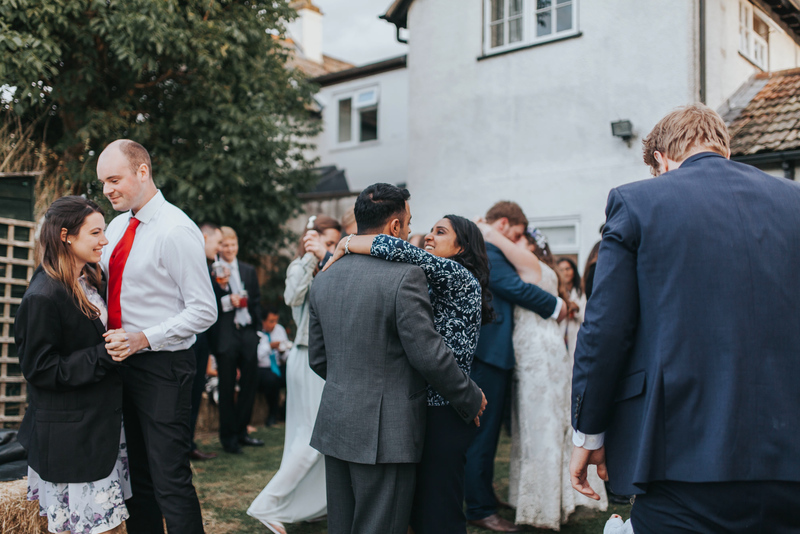 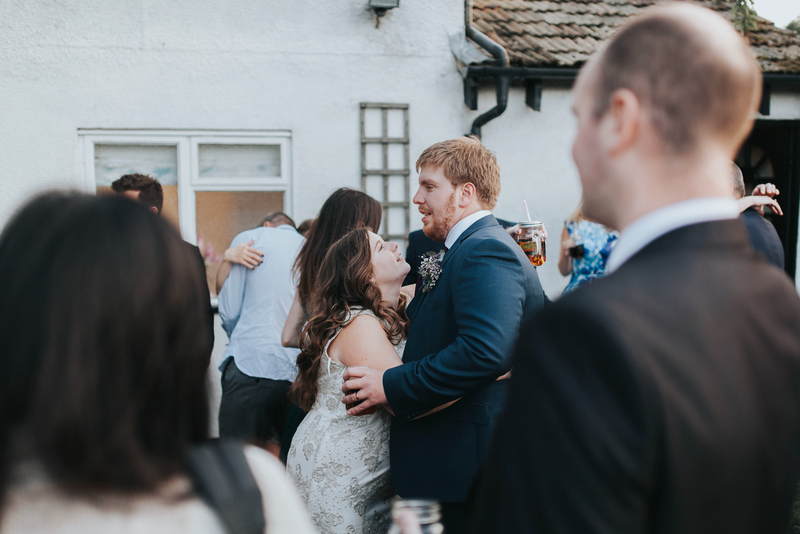 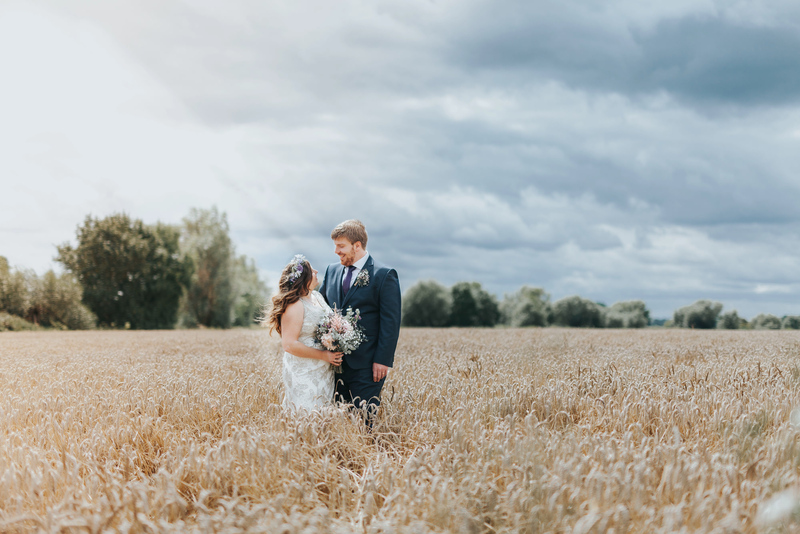 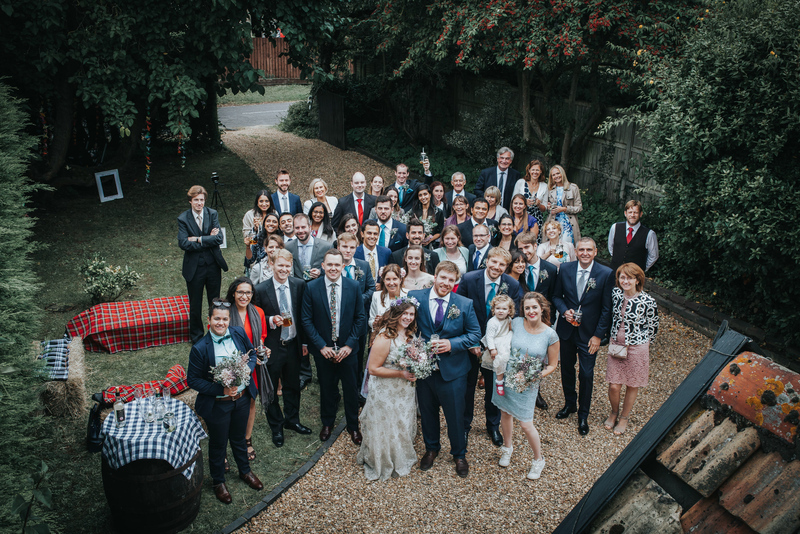 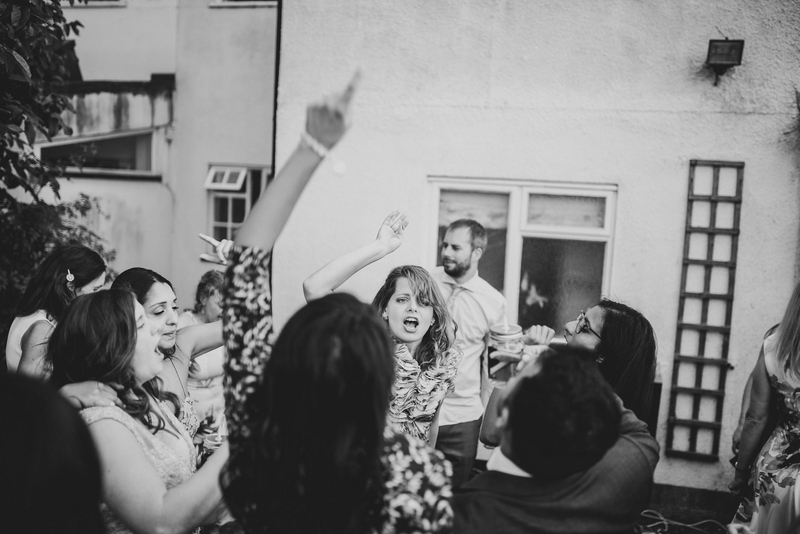 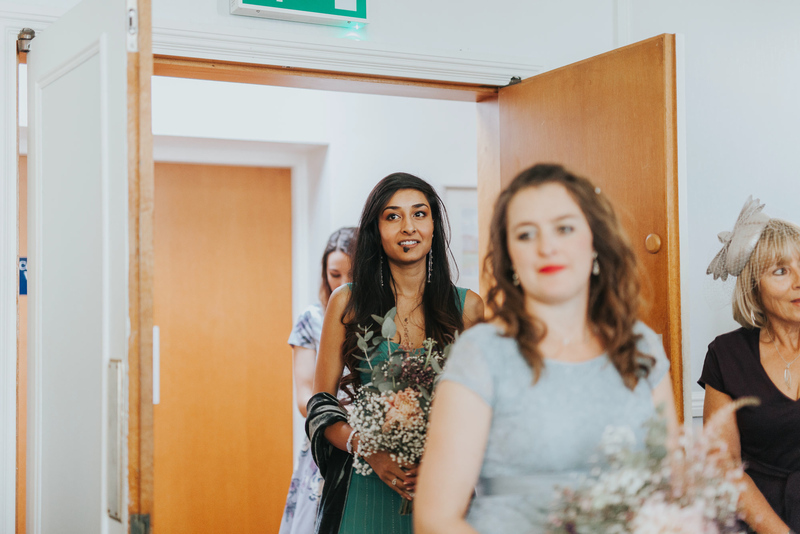 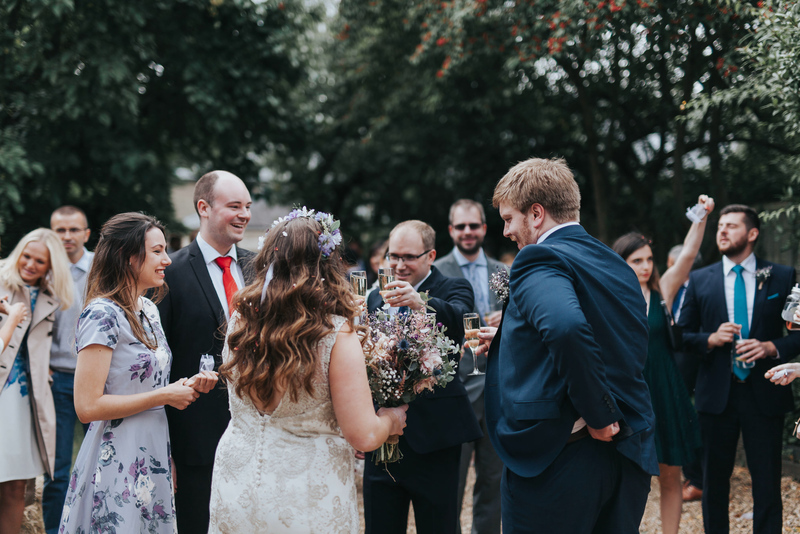 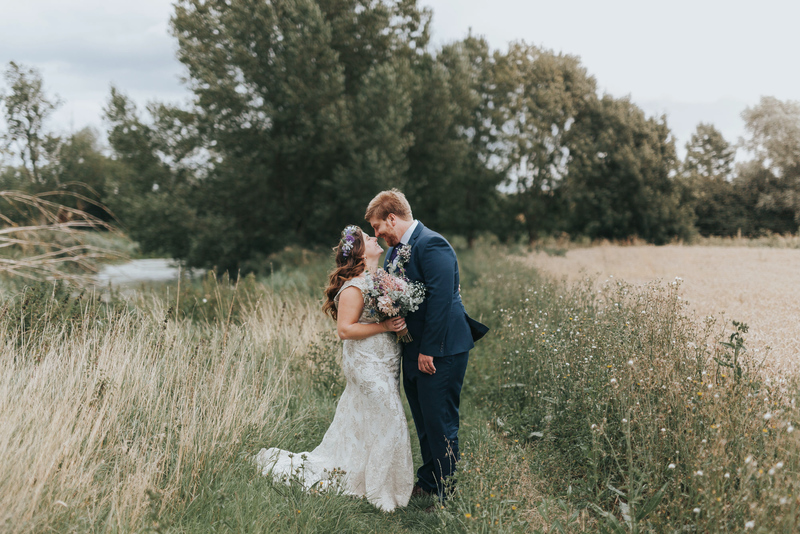 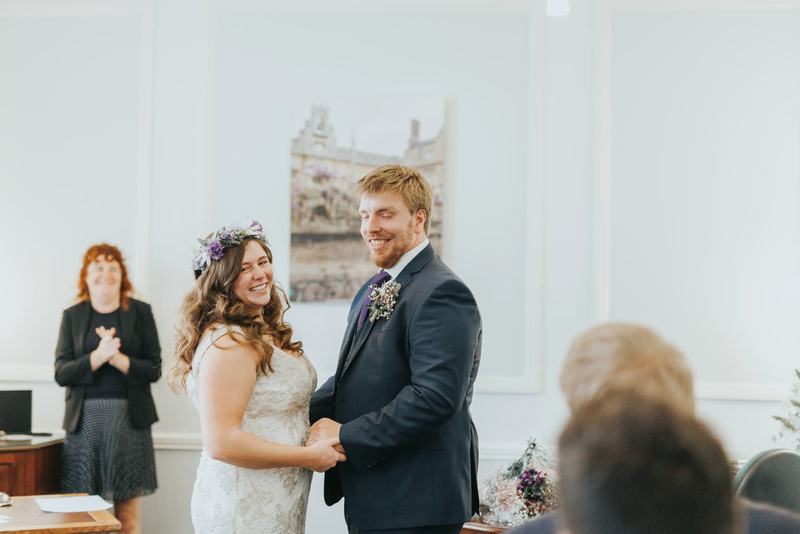 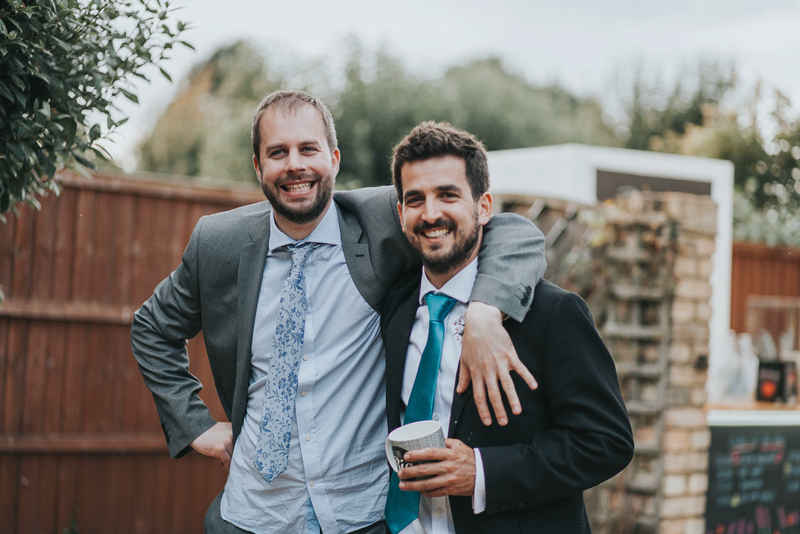 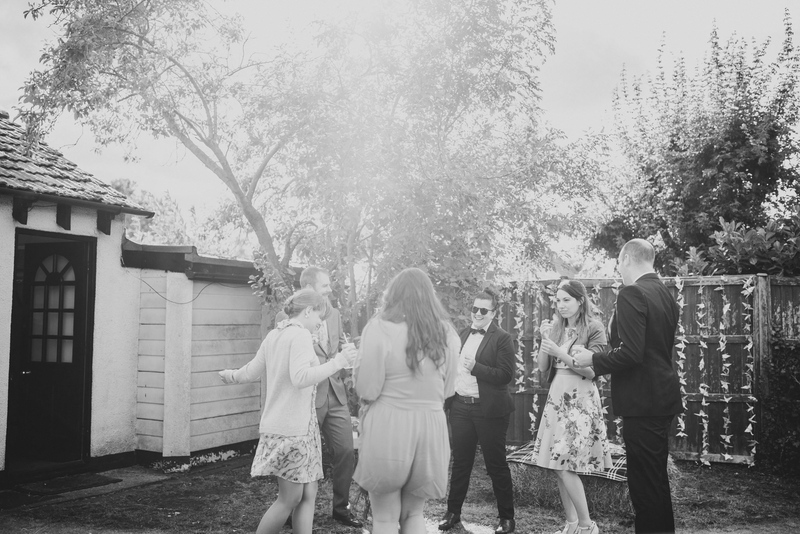 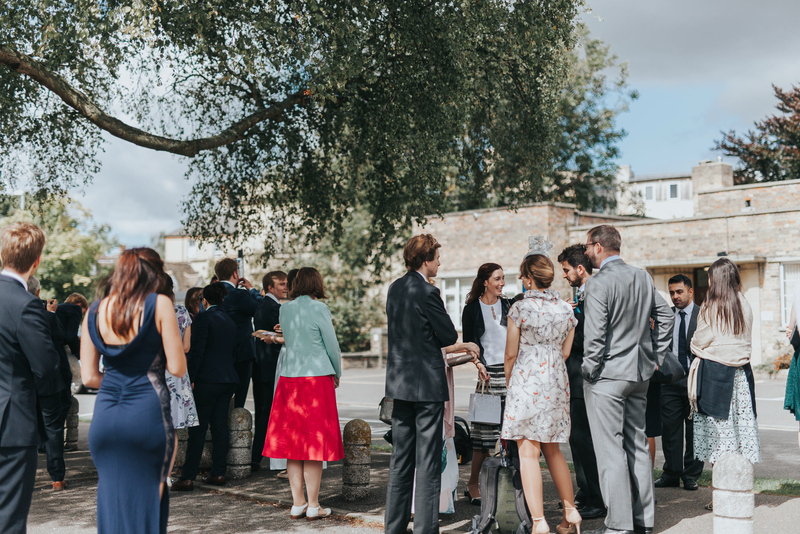 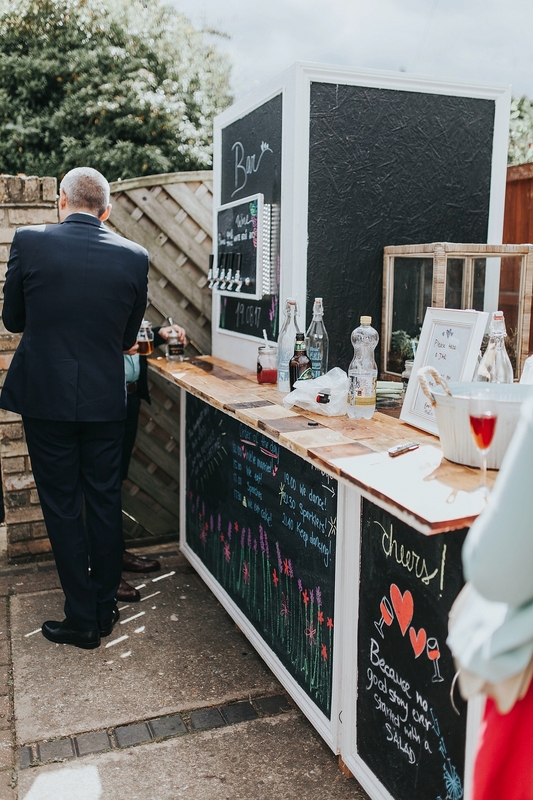 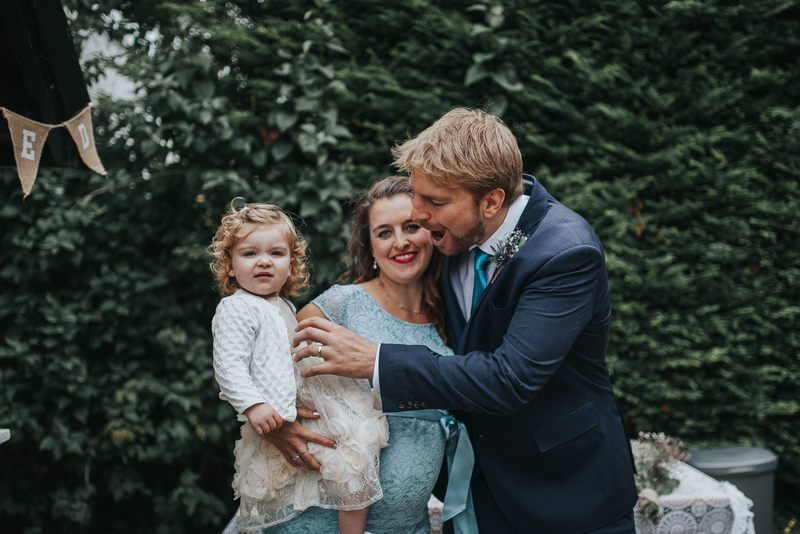 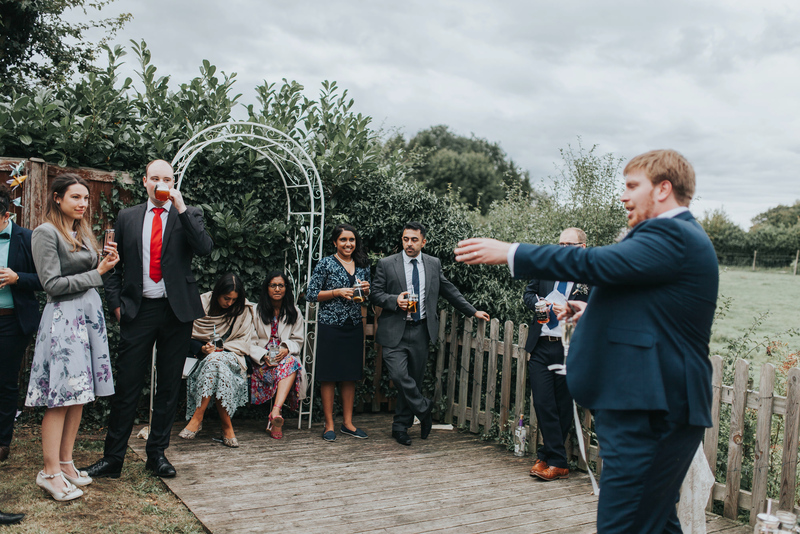 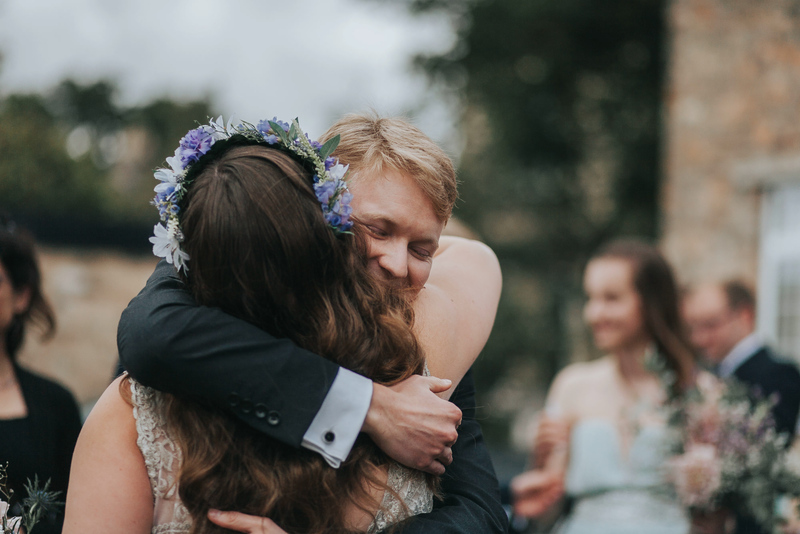 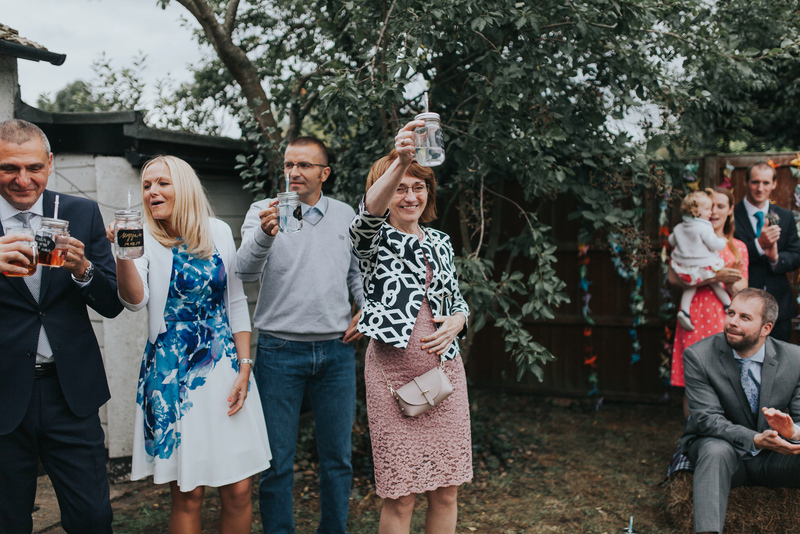 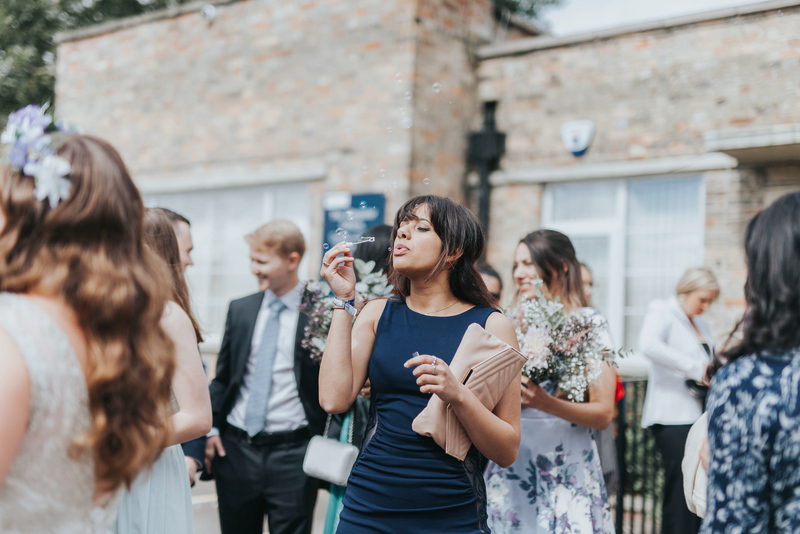 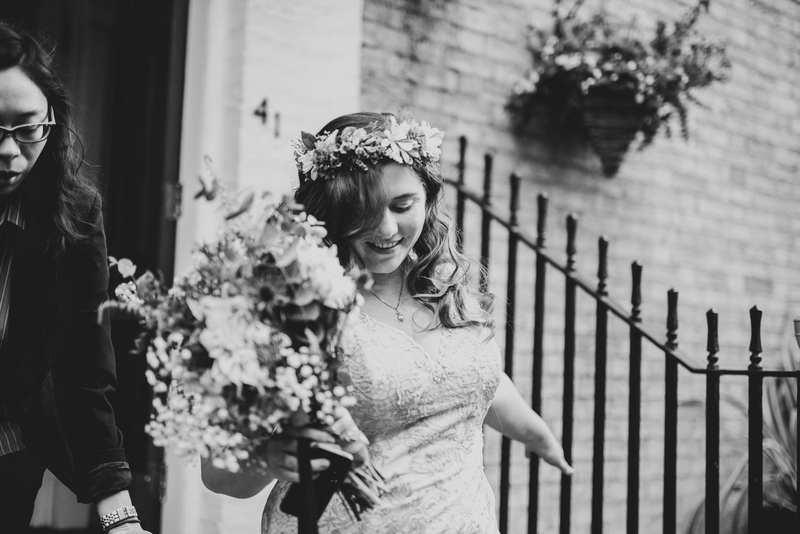 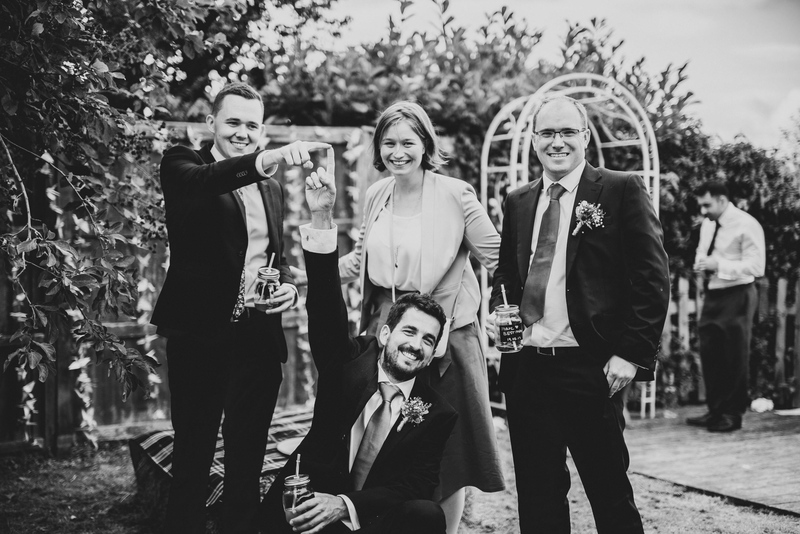 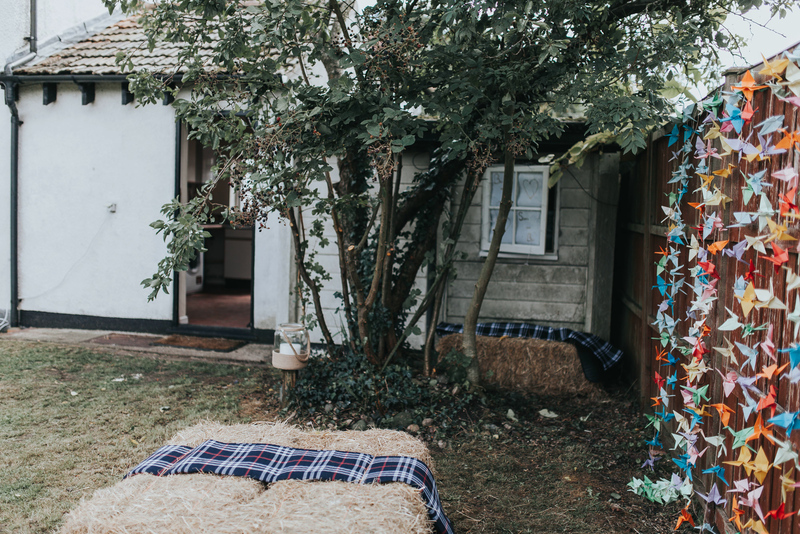 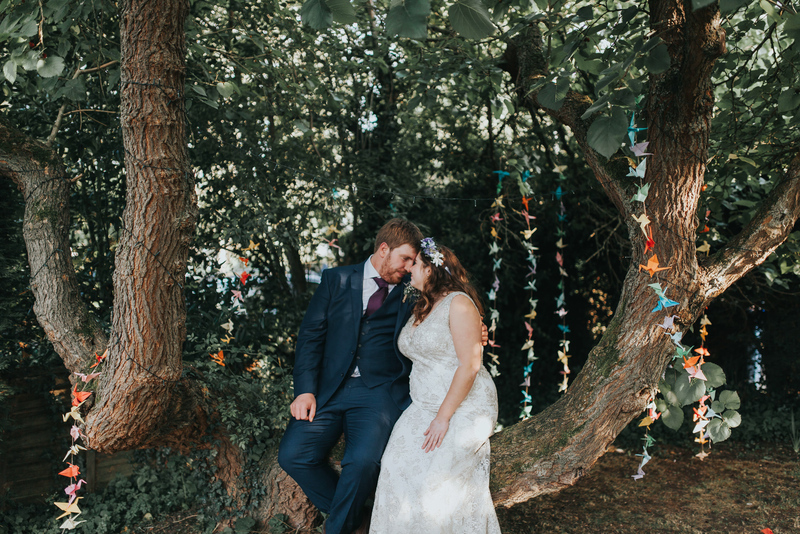 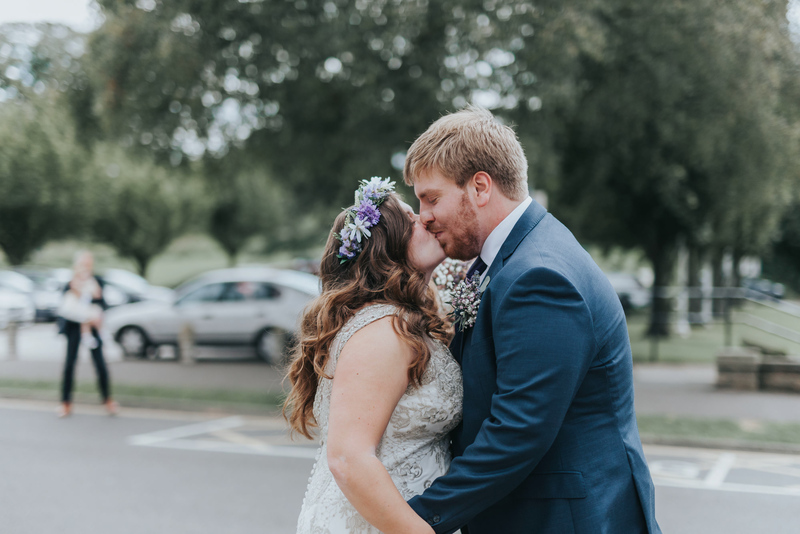 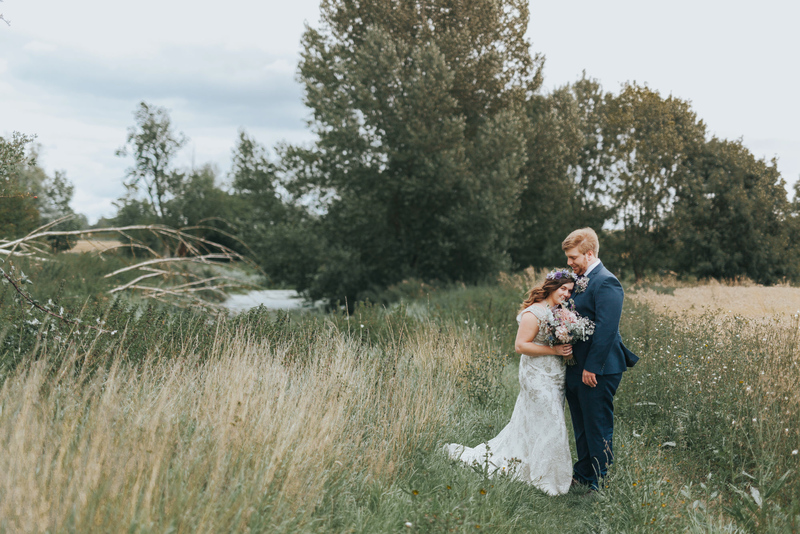 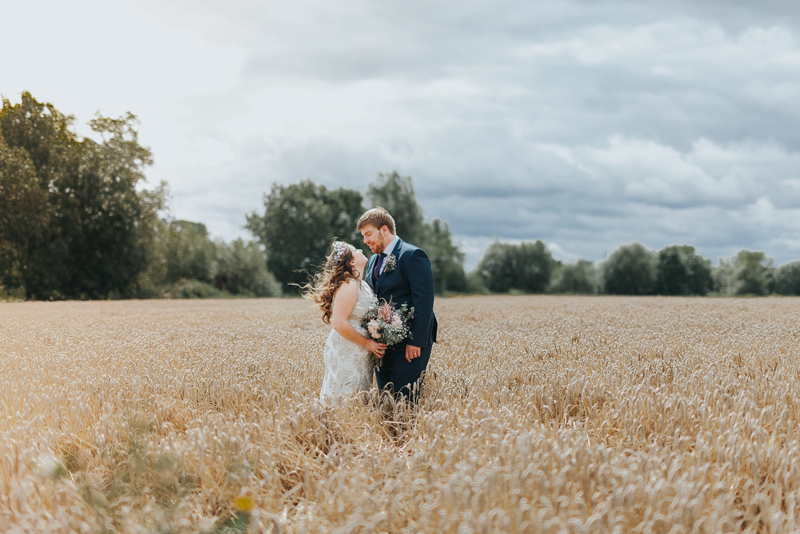 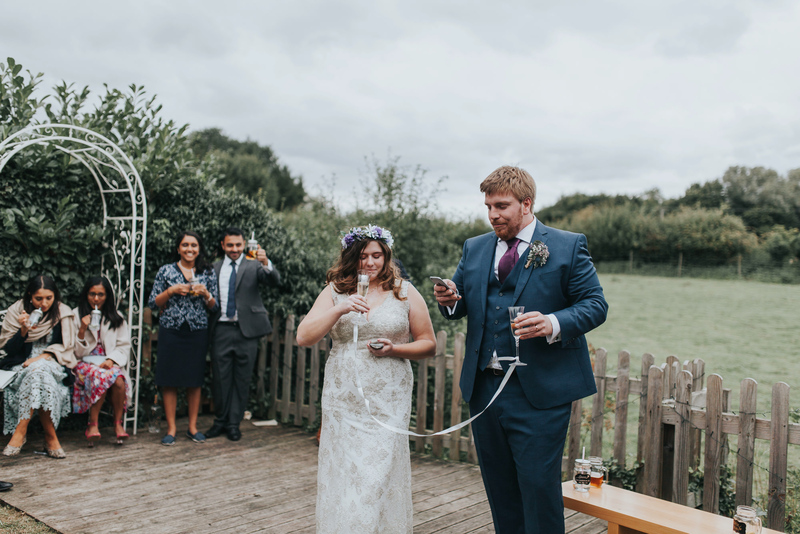 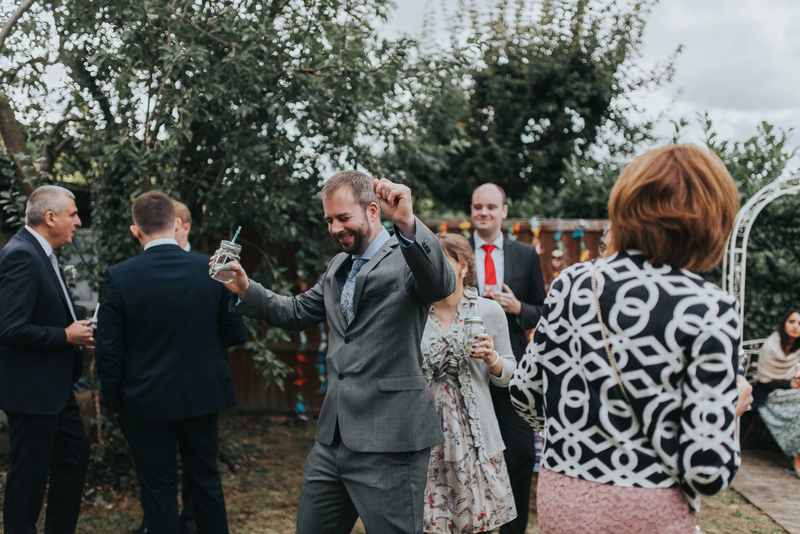 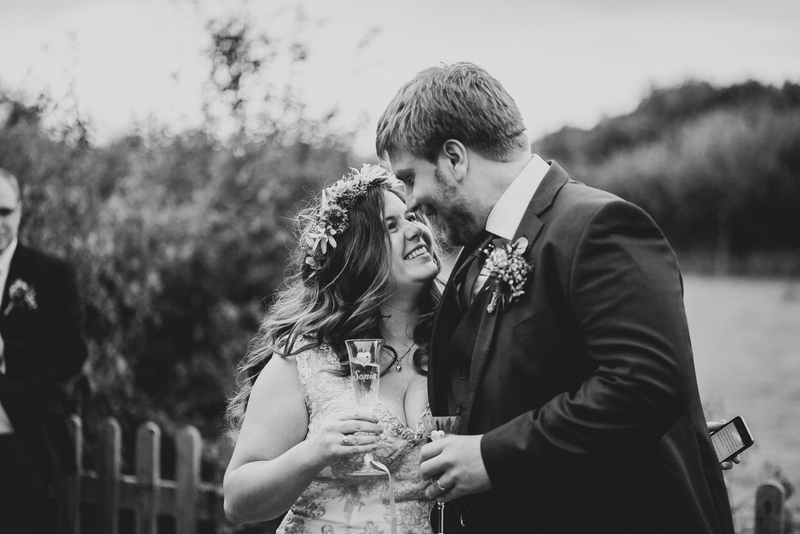 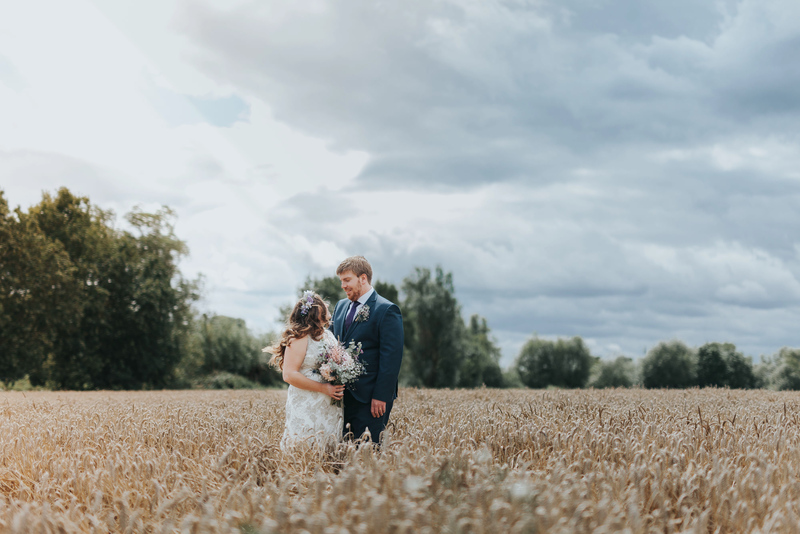 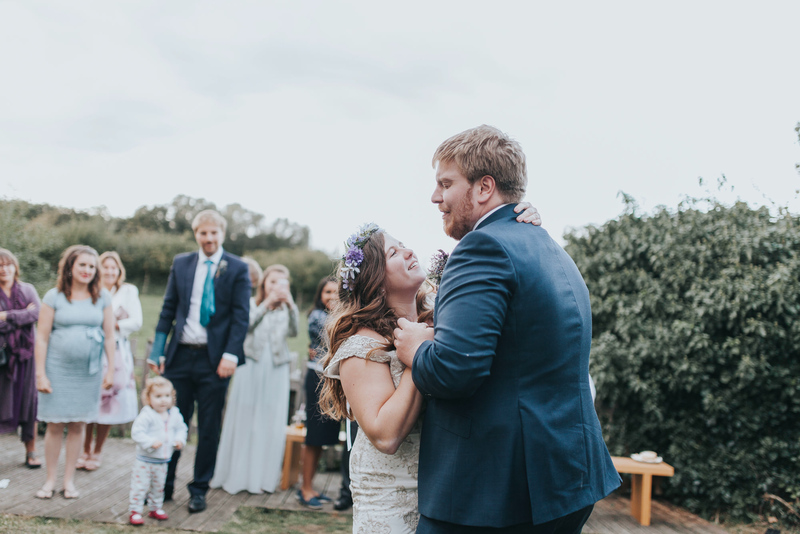 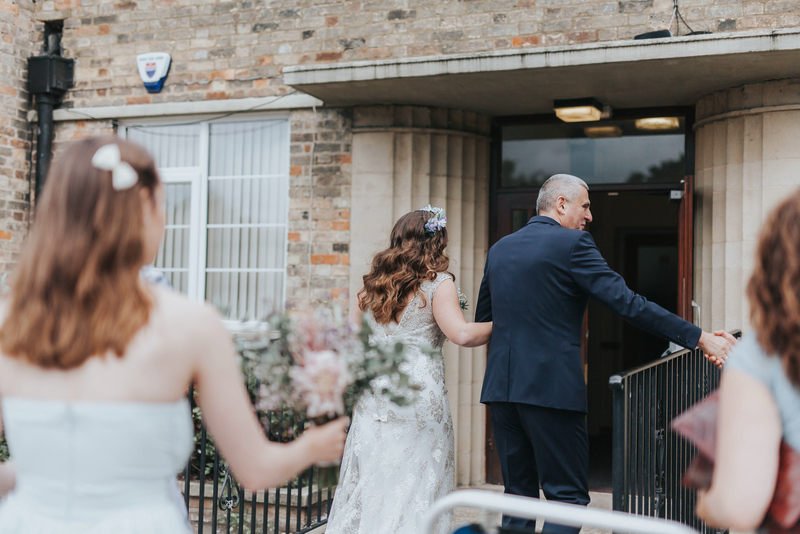 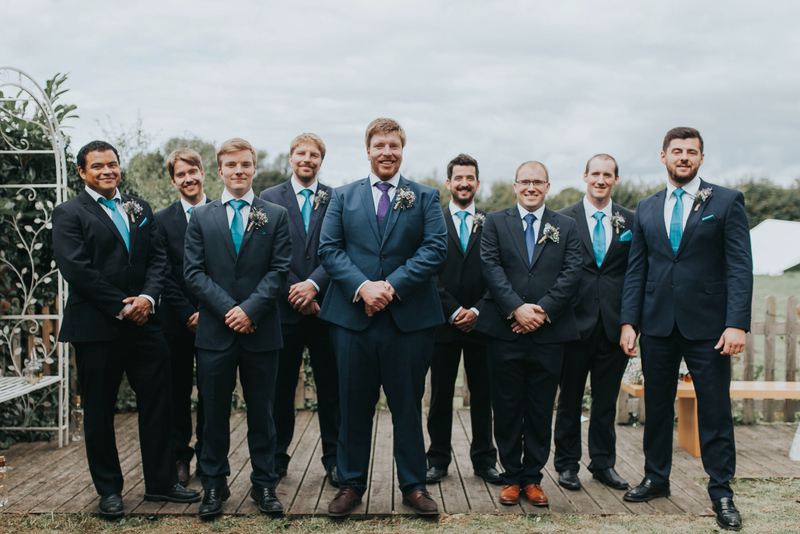 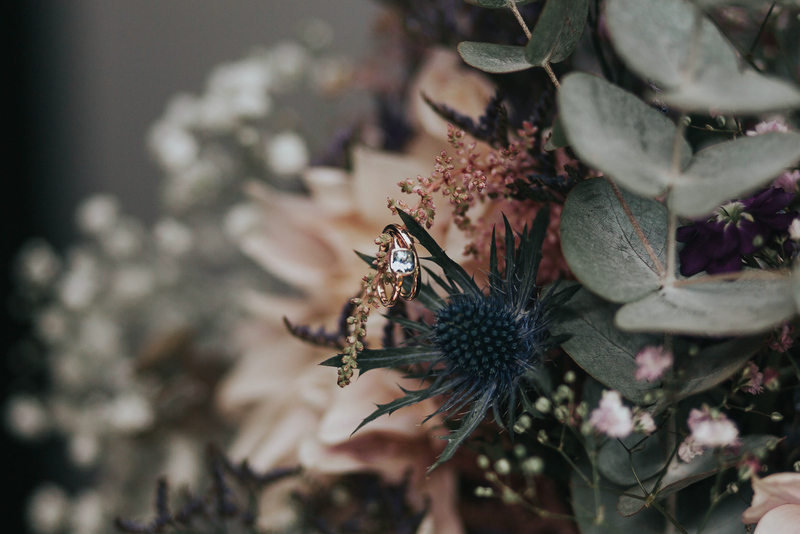 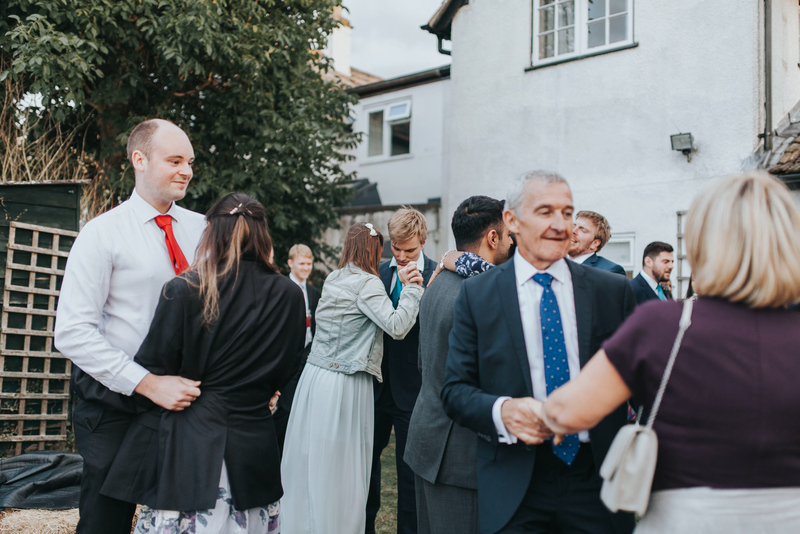 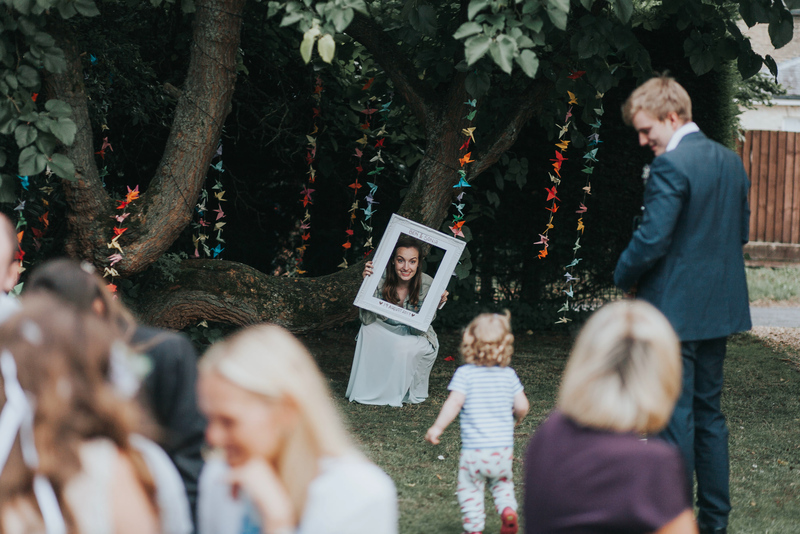 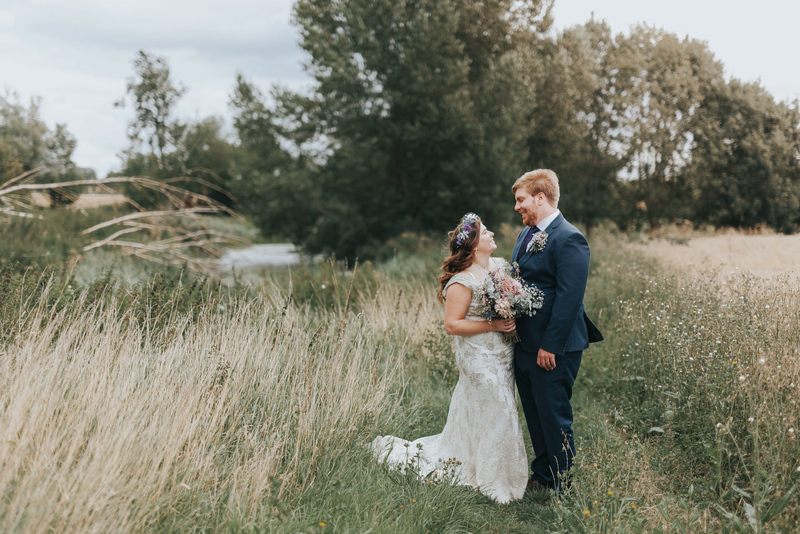 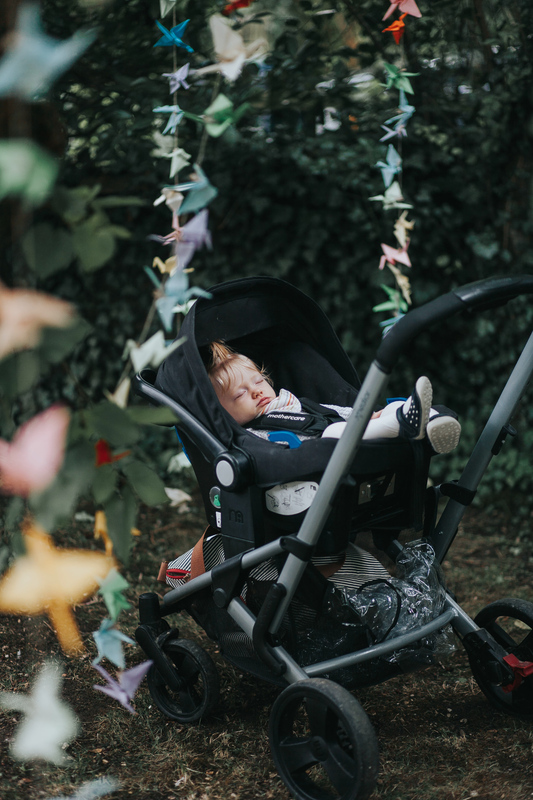 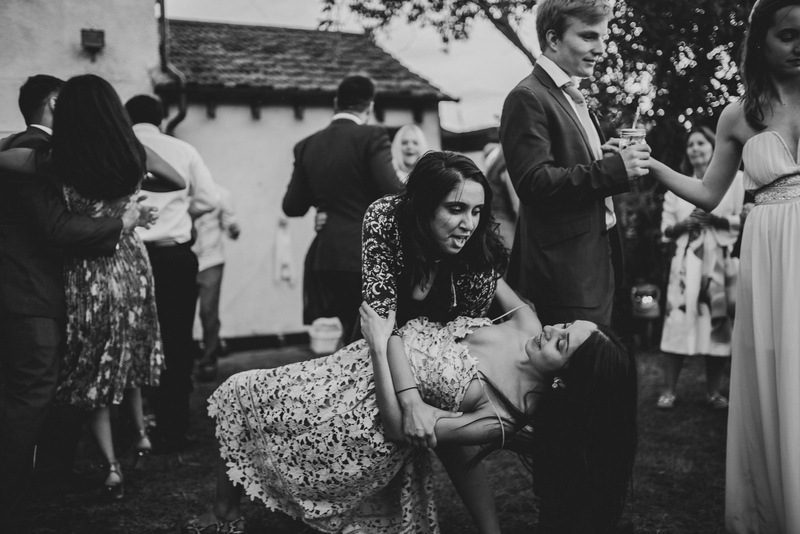 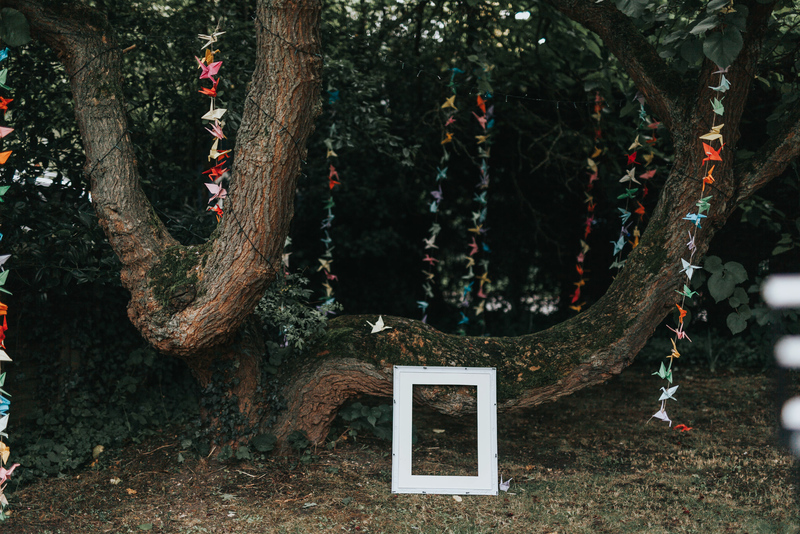 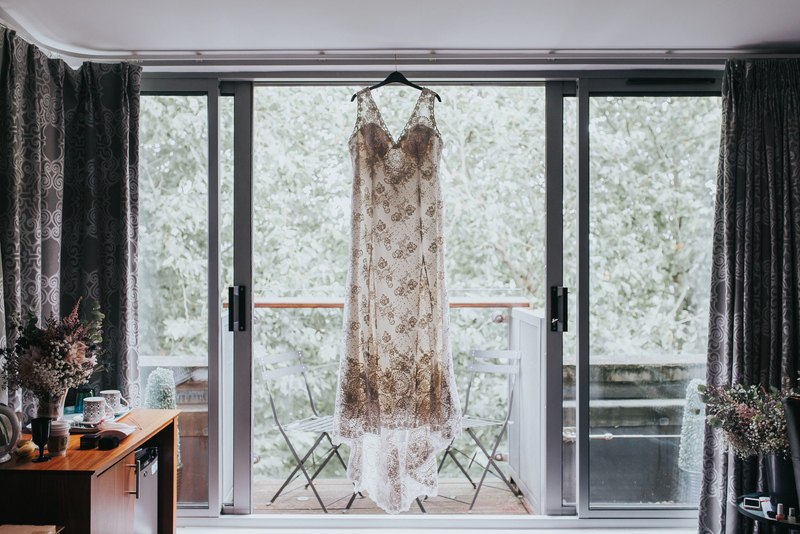 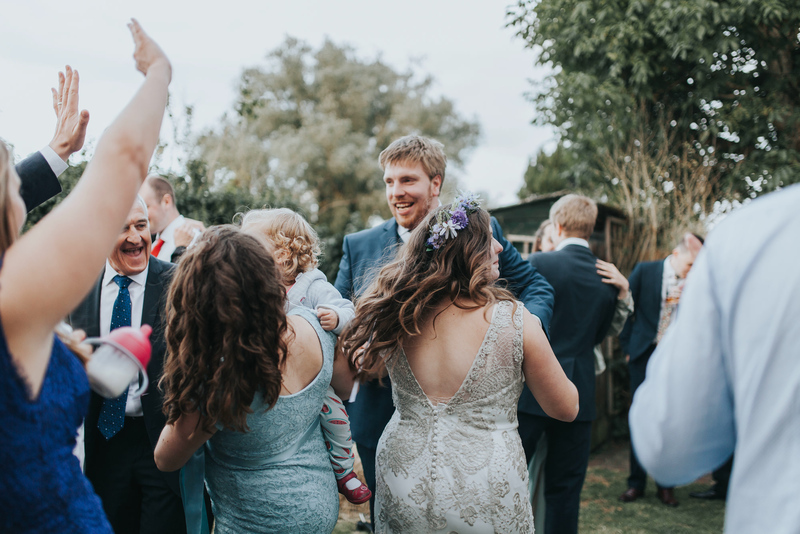 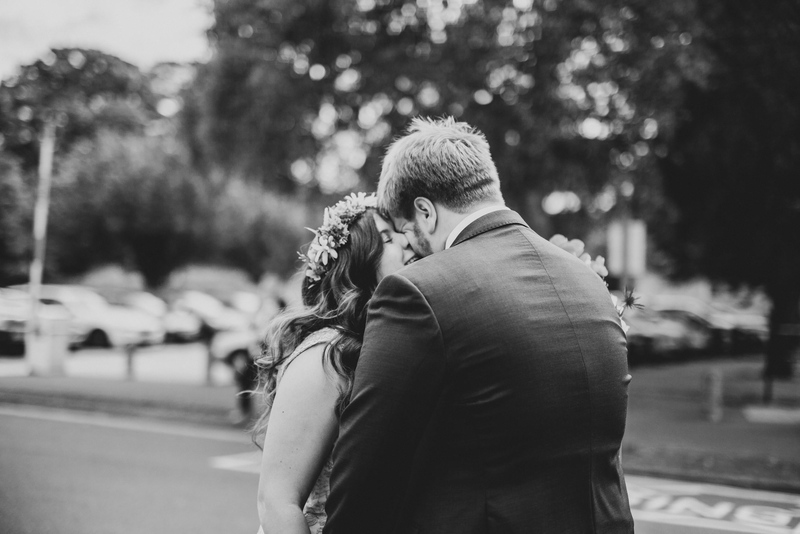 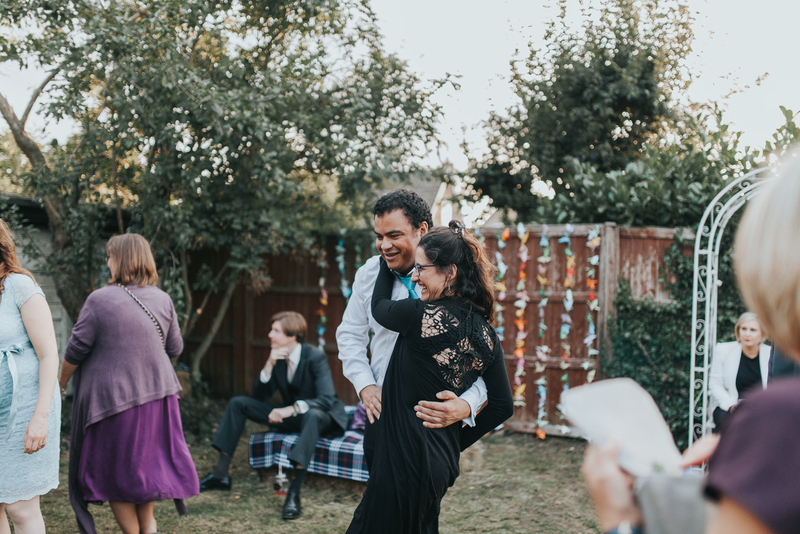 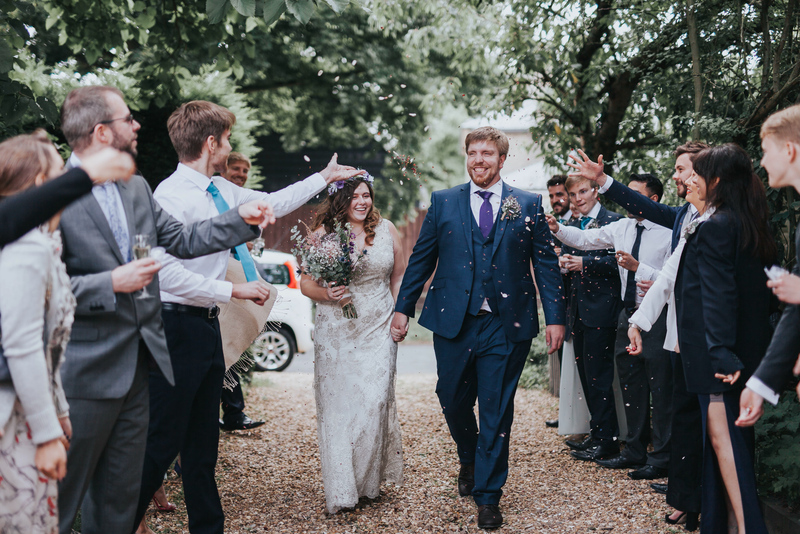 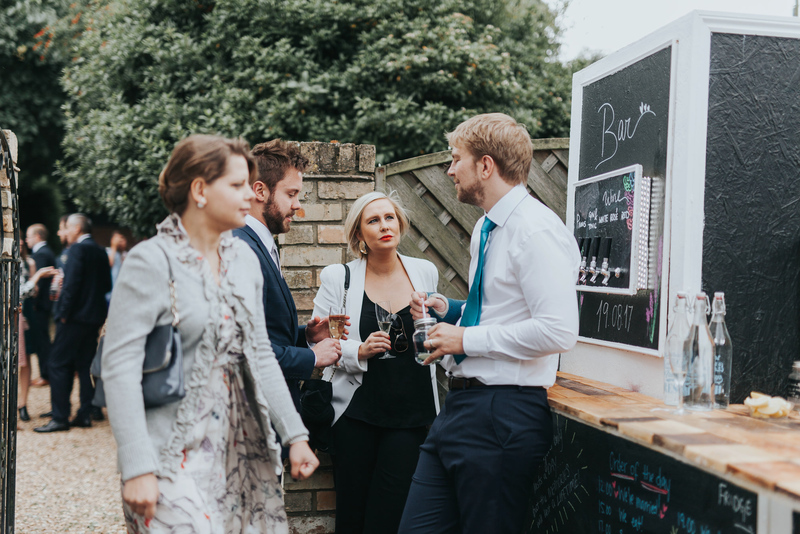 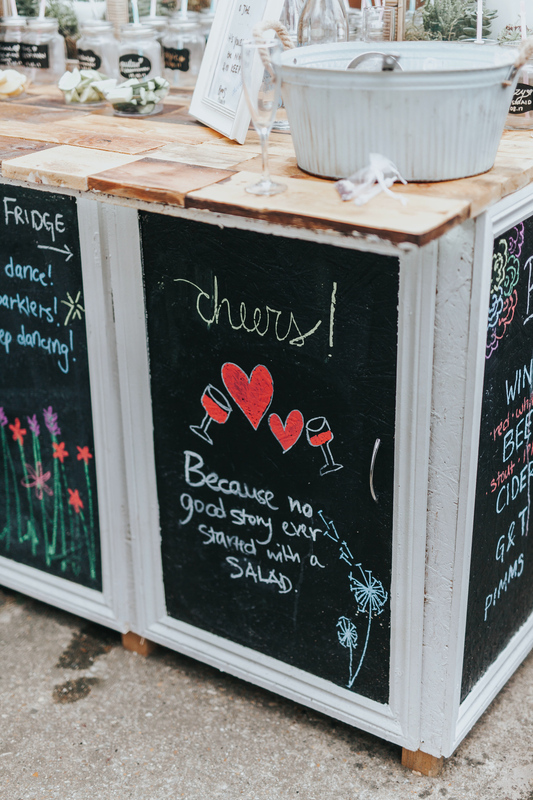 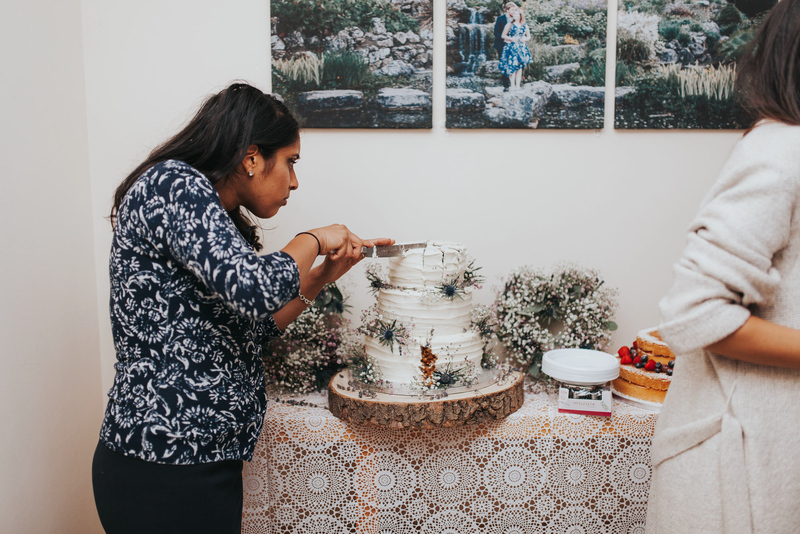 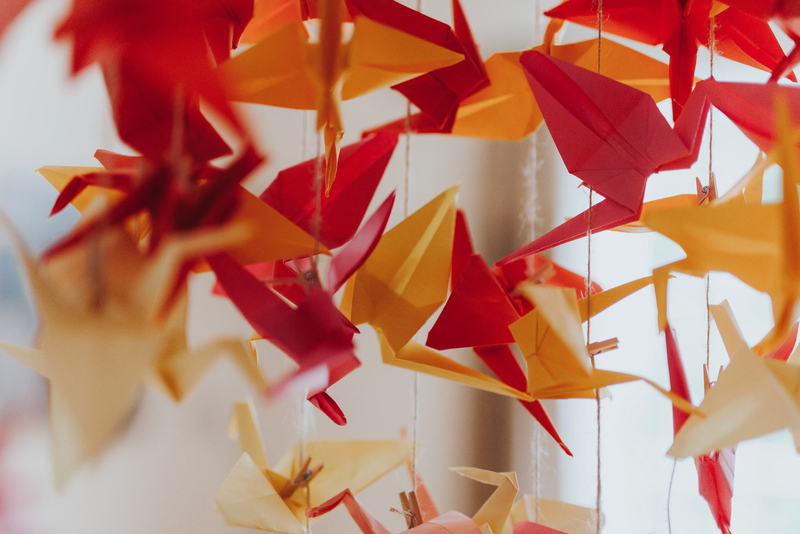 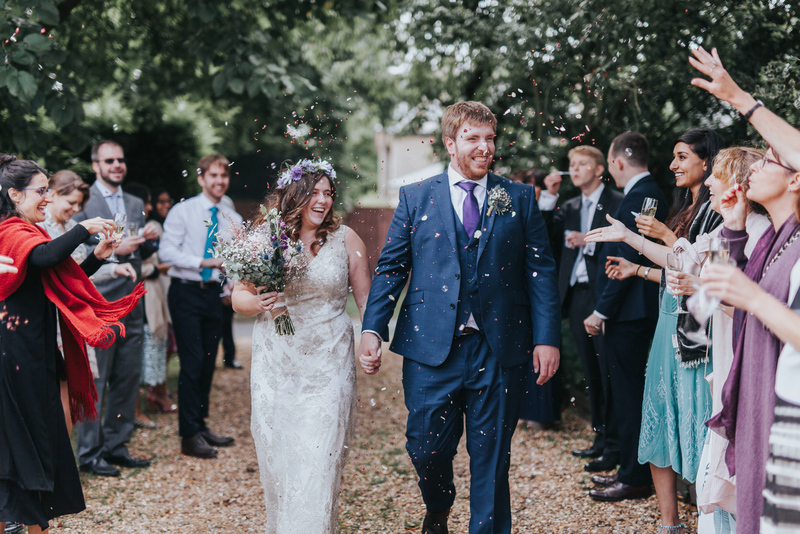 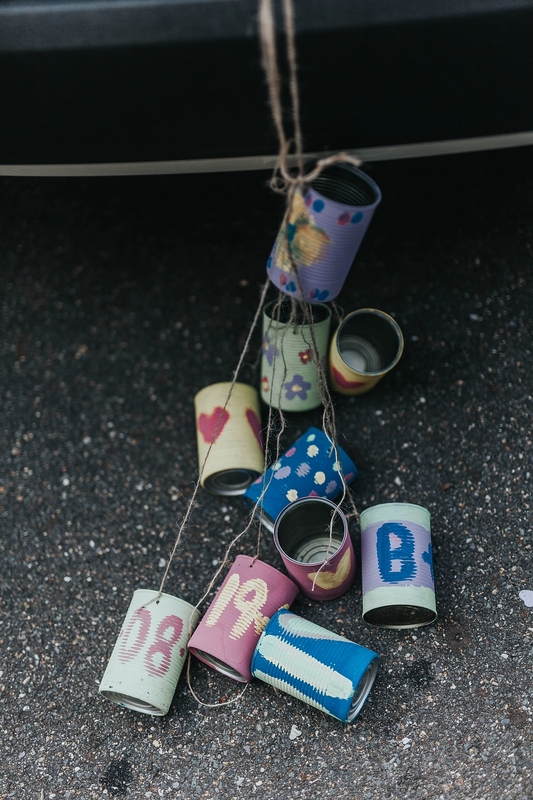 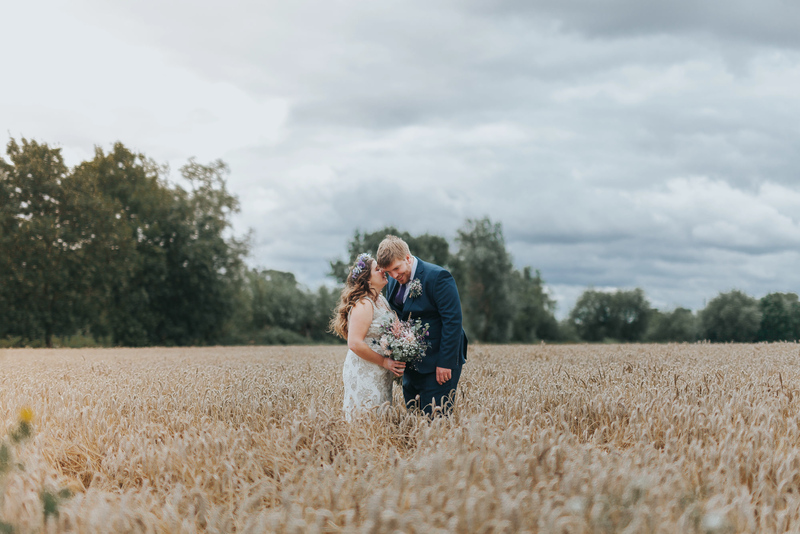 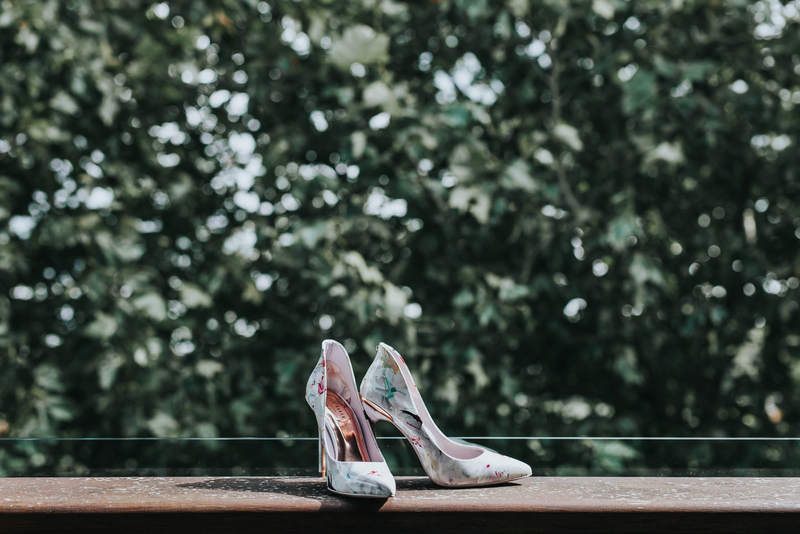 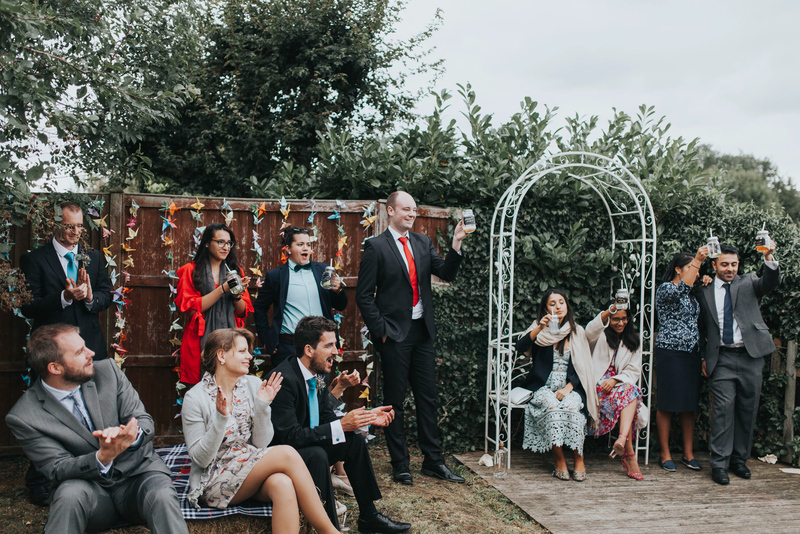 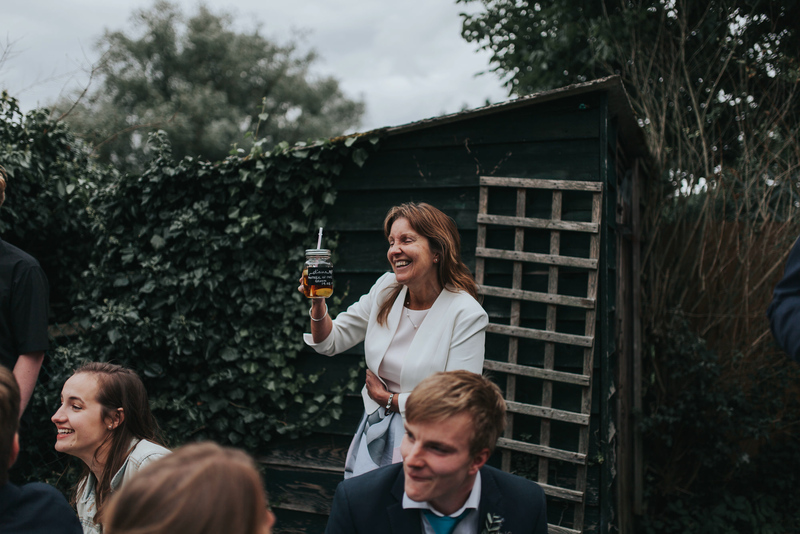 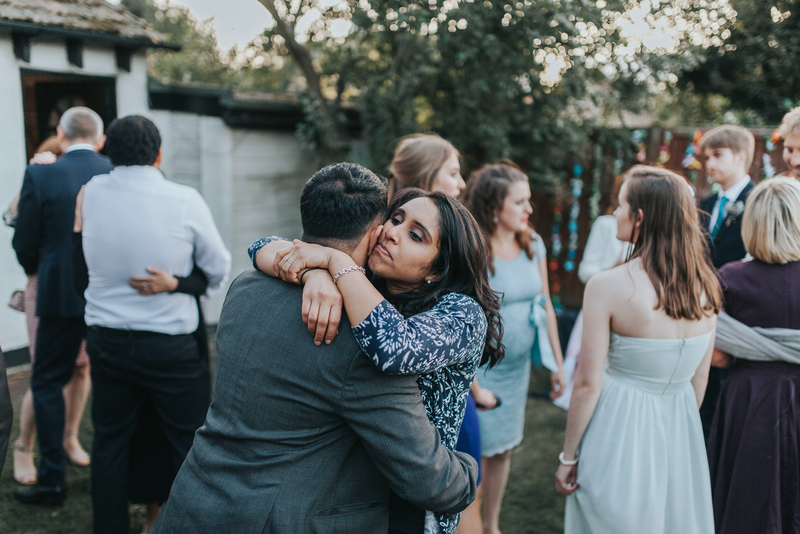 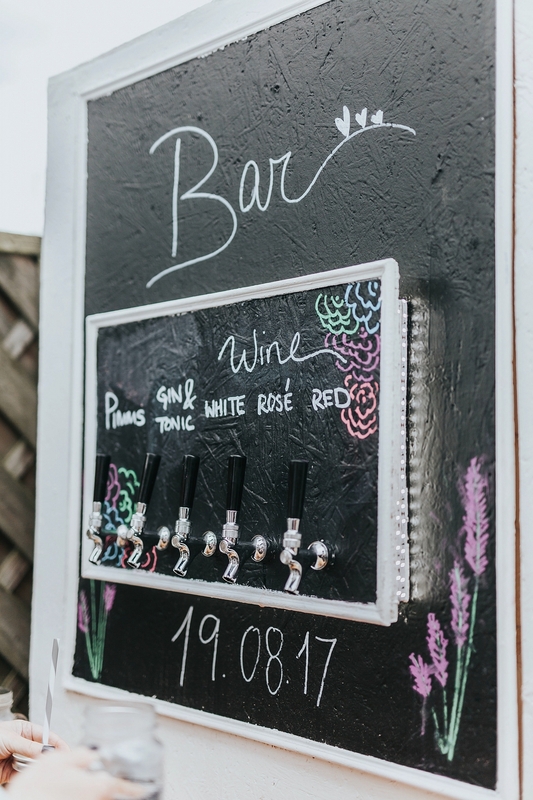 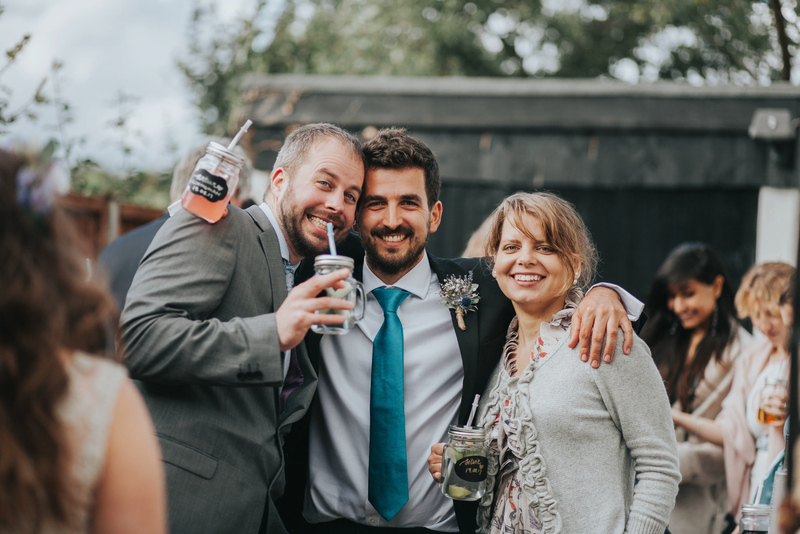 And to everyone reading, I hope you enjoyed re-living some of sonia and ben’s cambridge backyard wedding with me, and possibly now have your own backyard wedding ideas… Here are a few more snaps from their day! 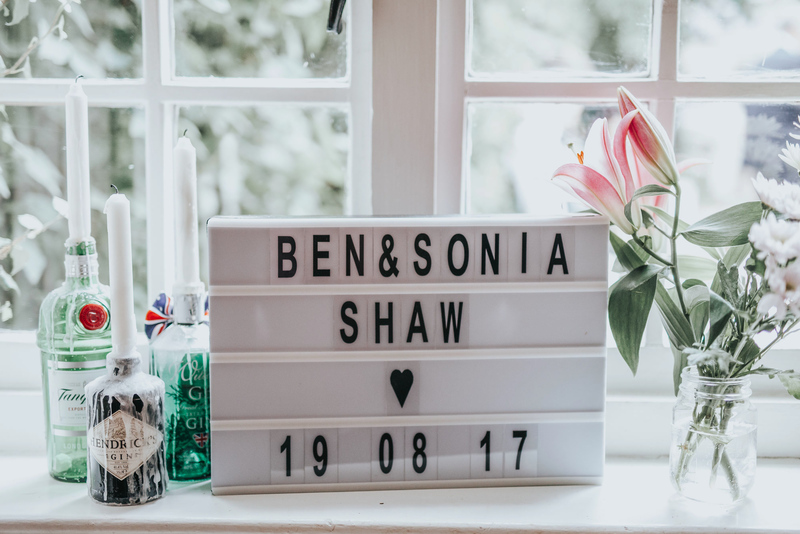 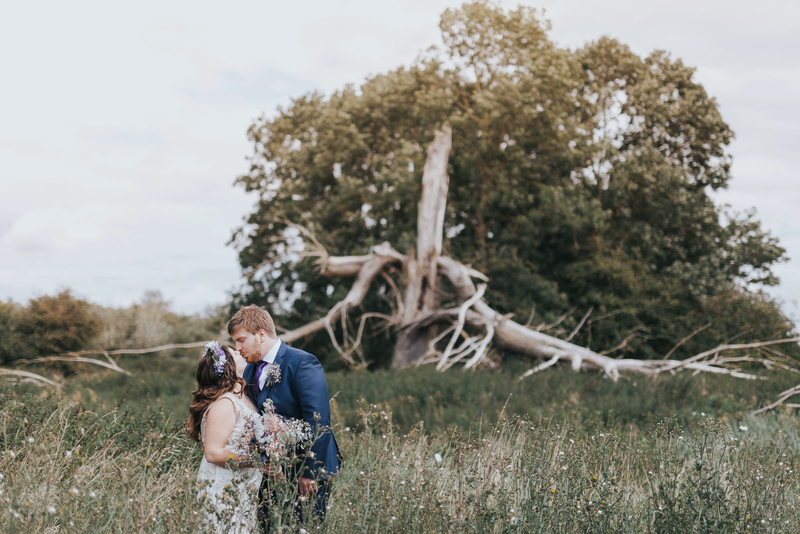 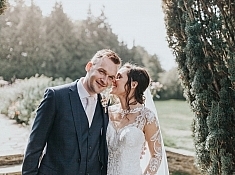 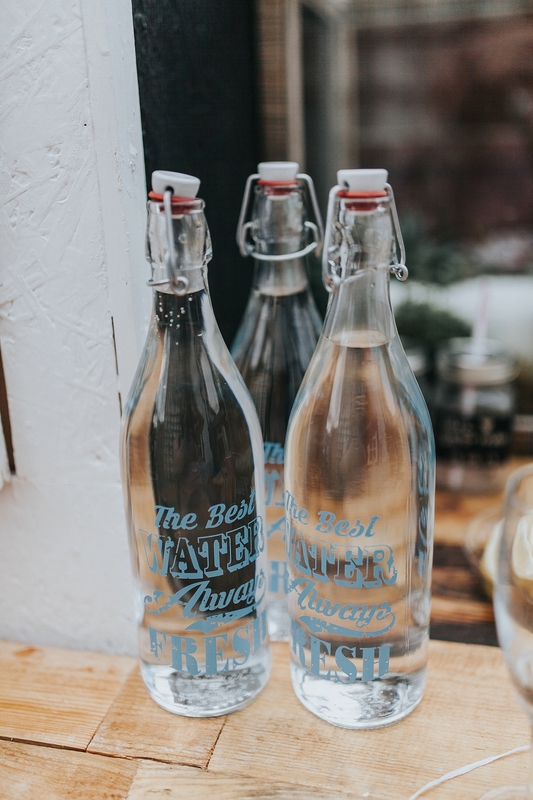 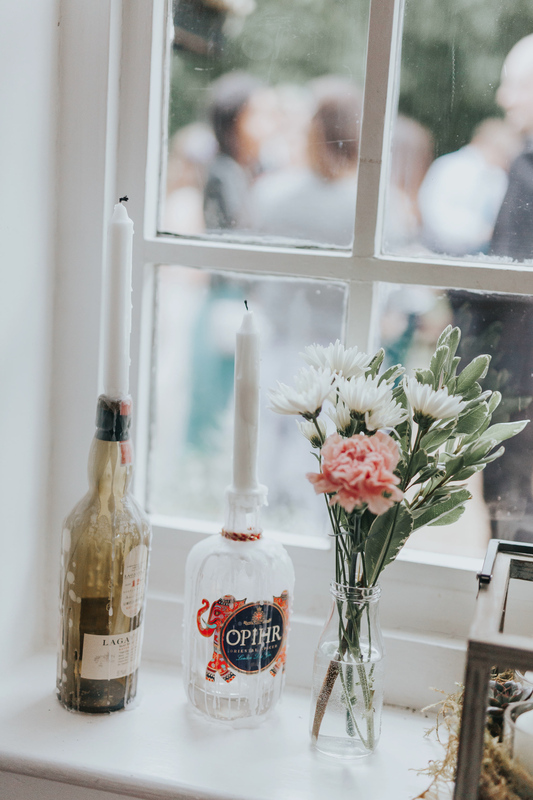 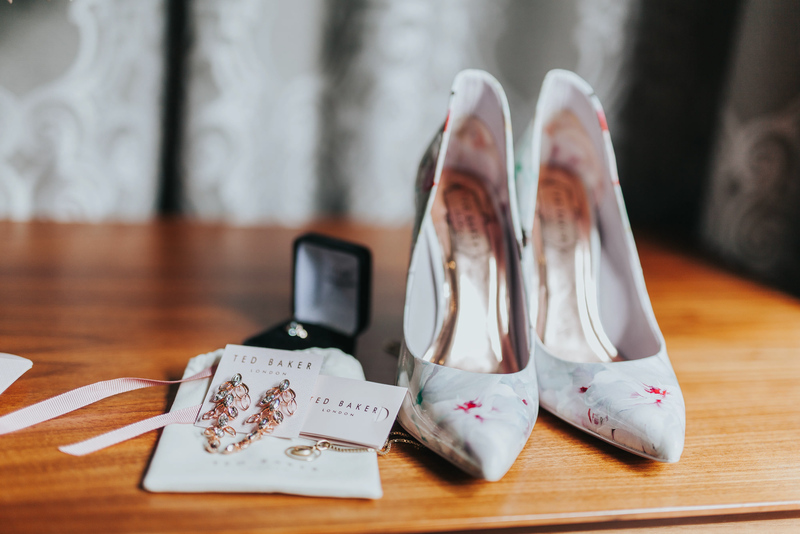 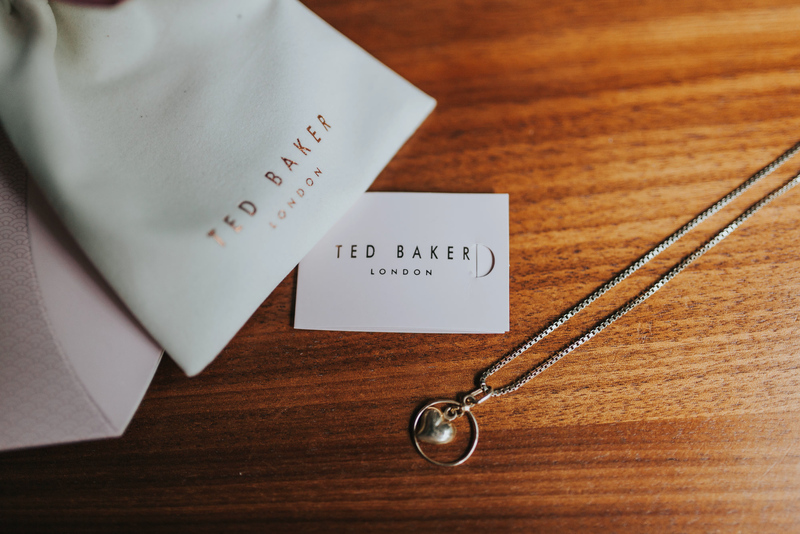 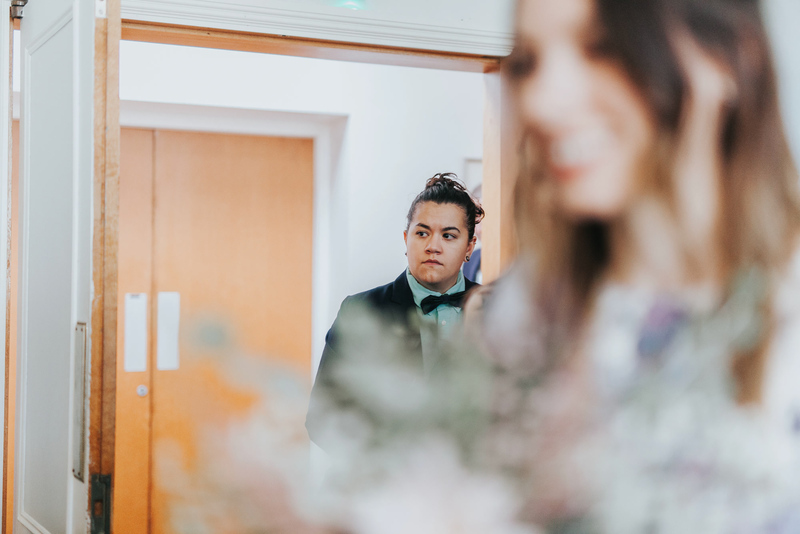 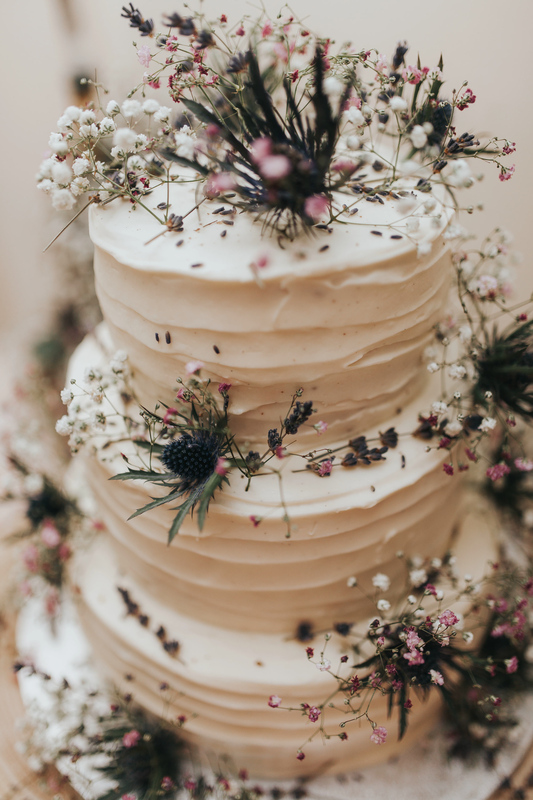 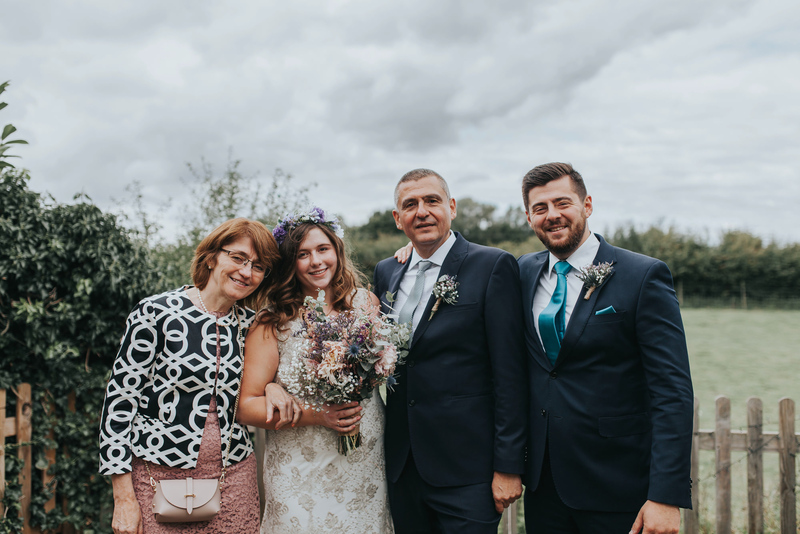 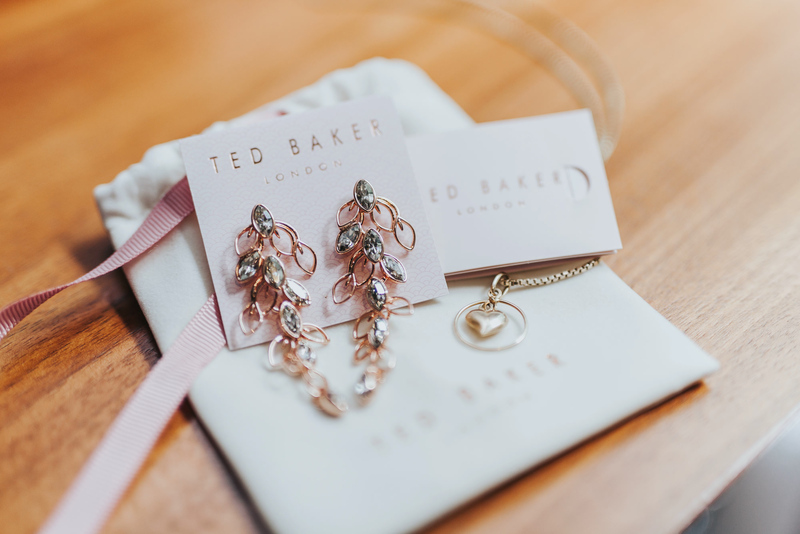 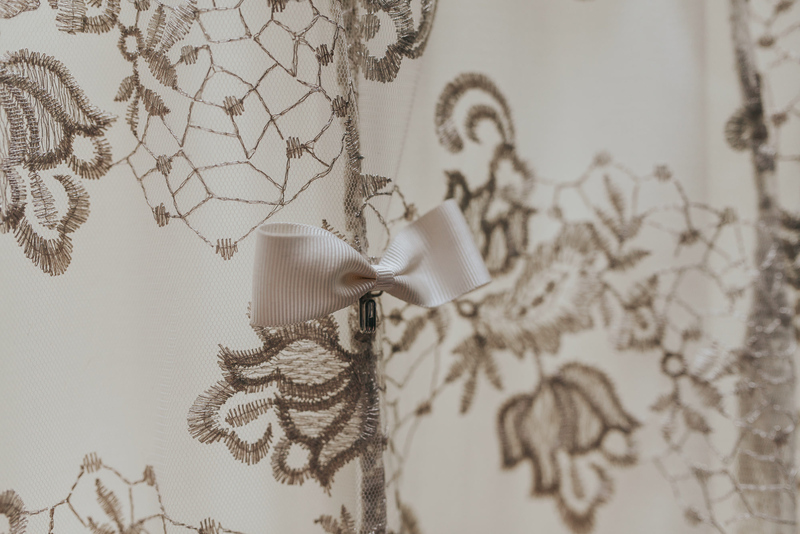 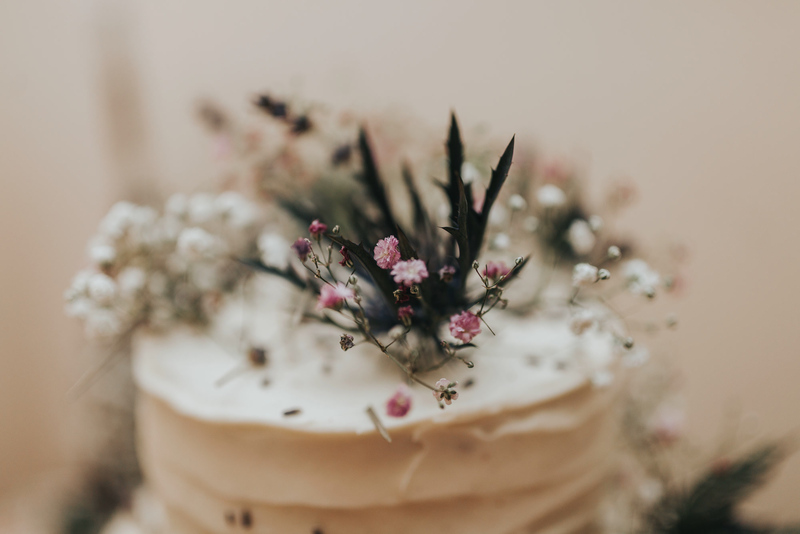 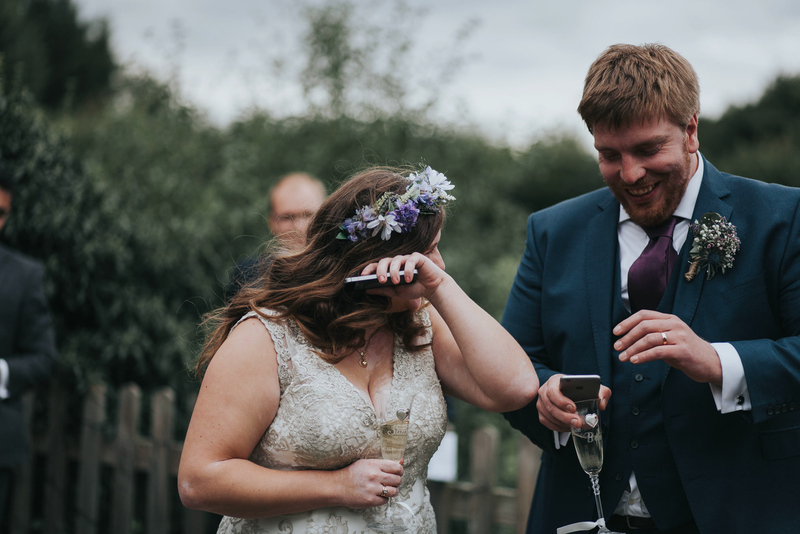 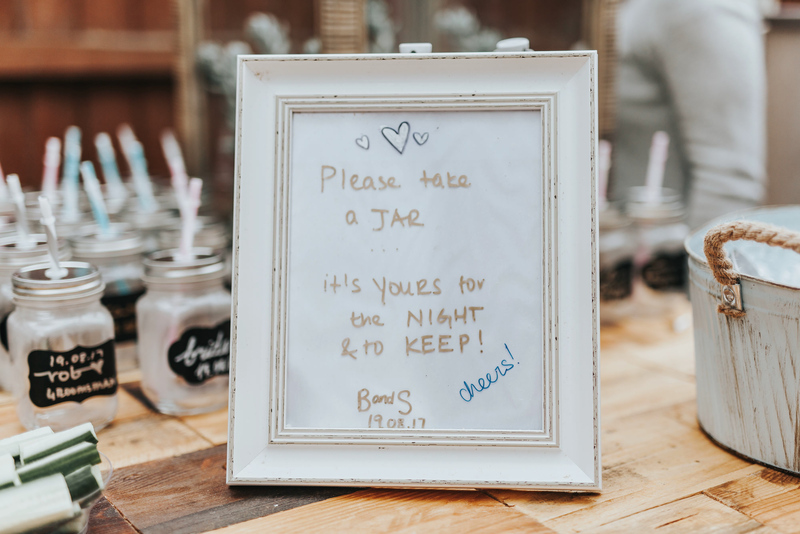 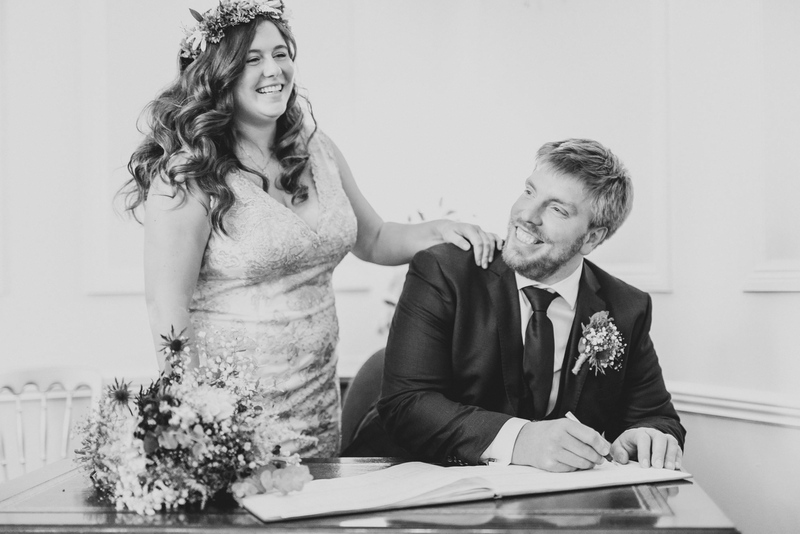 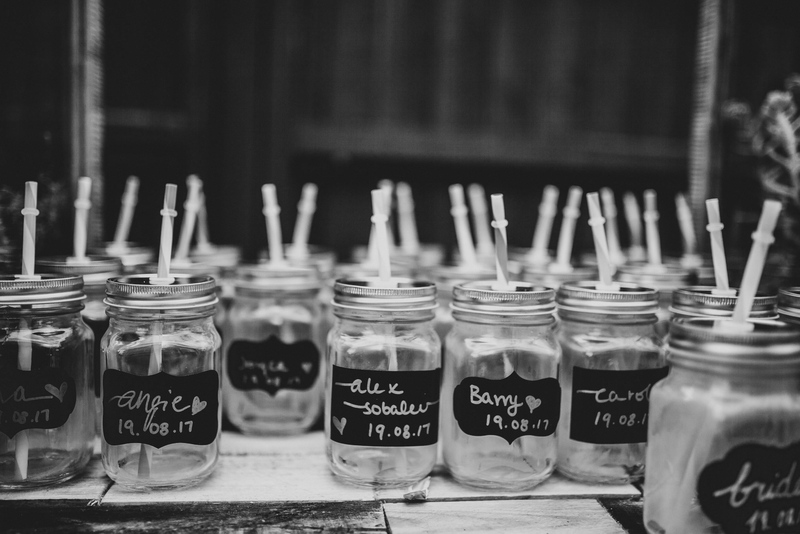 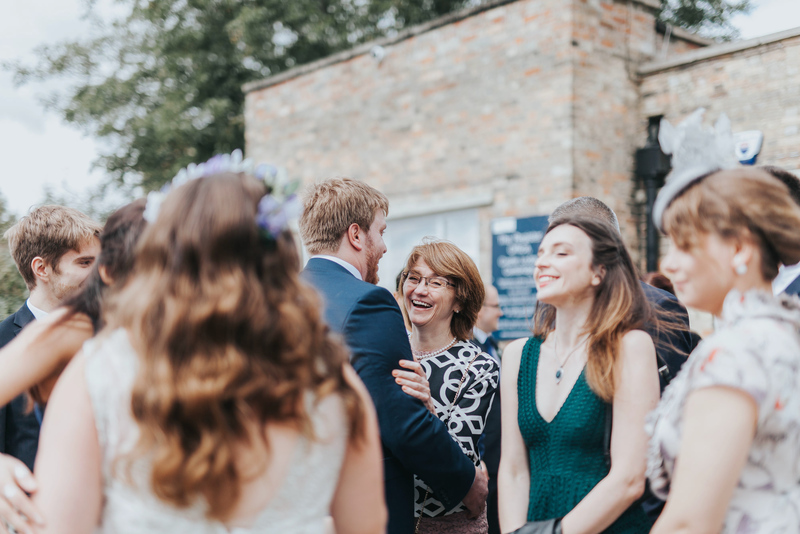 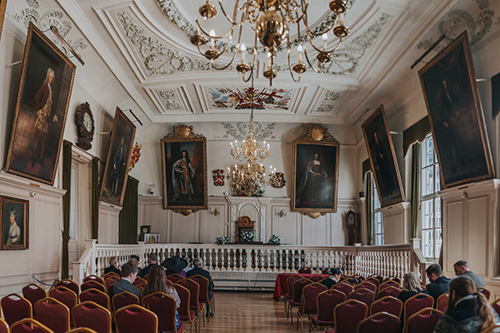 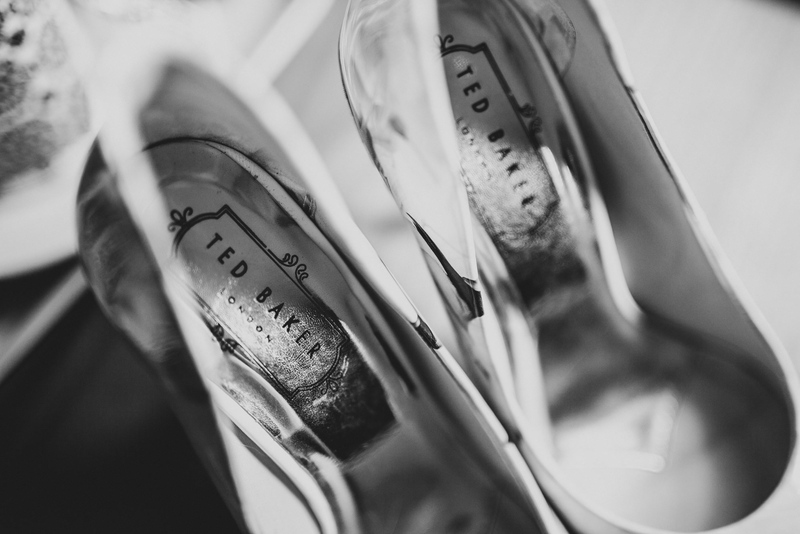 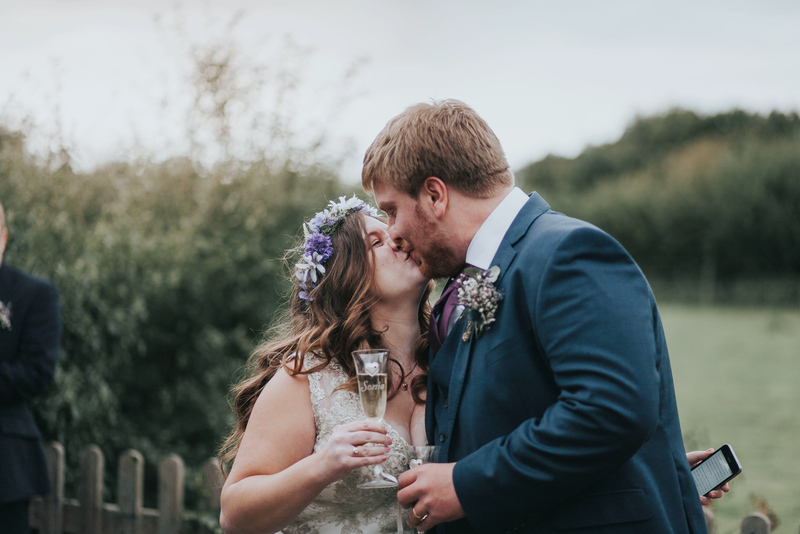 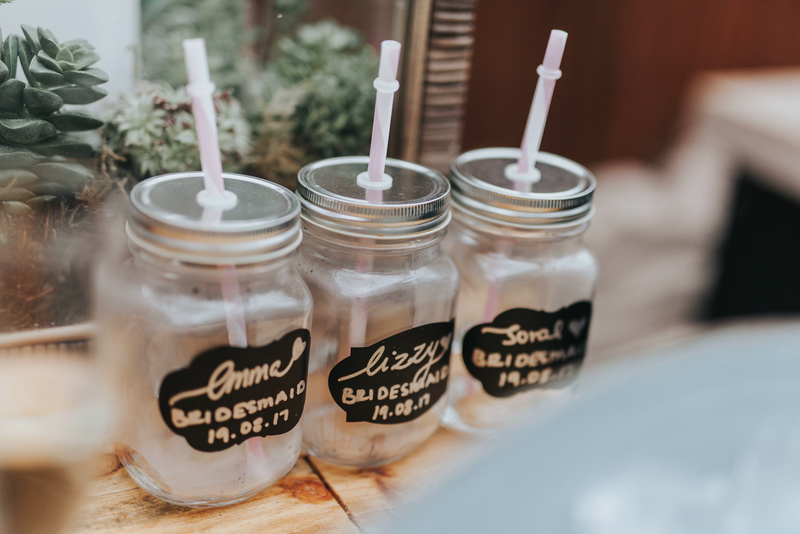 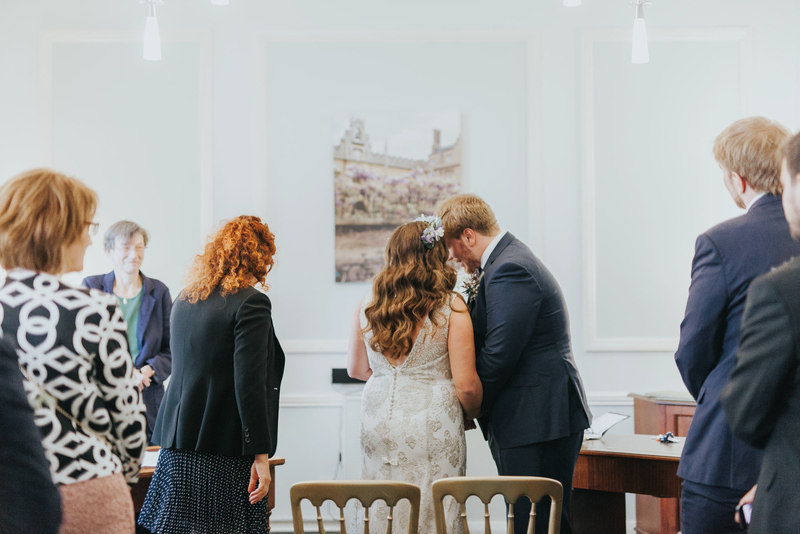 If you liked this wedding and would like to see more, read my blog – or get in touch to chat about your own wedding. 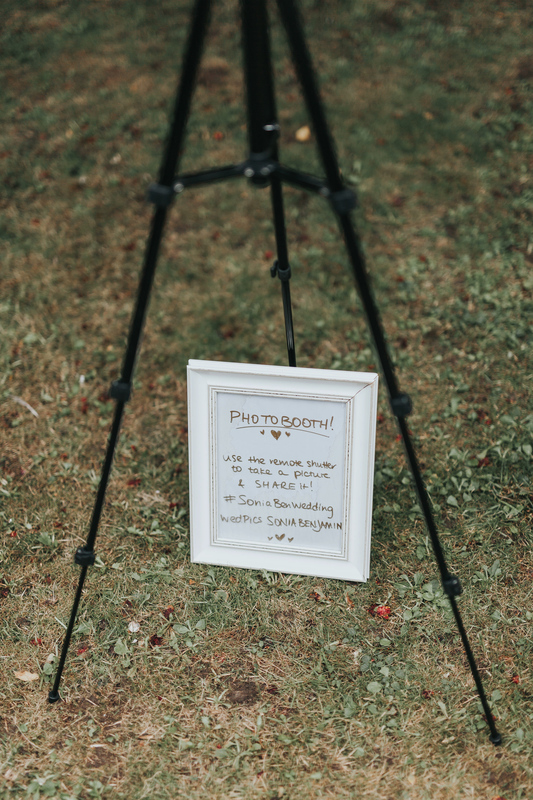 You can also visit my Facebook page or Instagram! 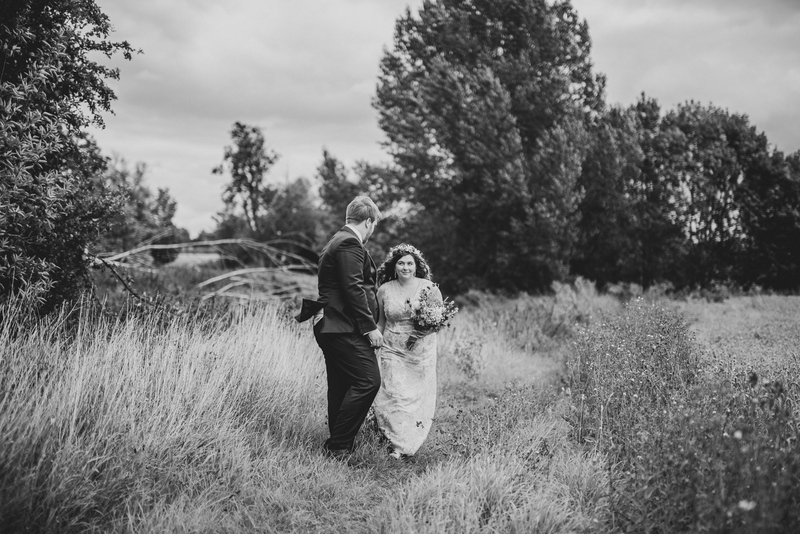 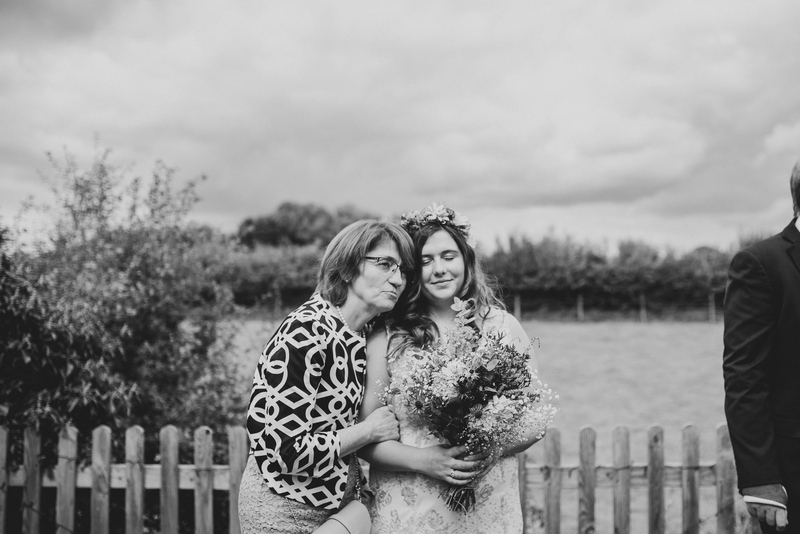 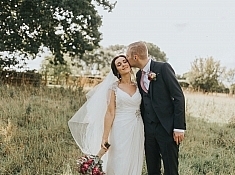 Previous: Hayne House – Kent Wedding Photography – Sian & Stephen’s Exclusive Summer Wedding!